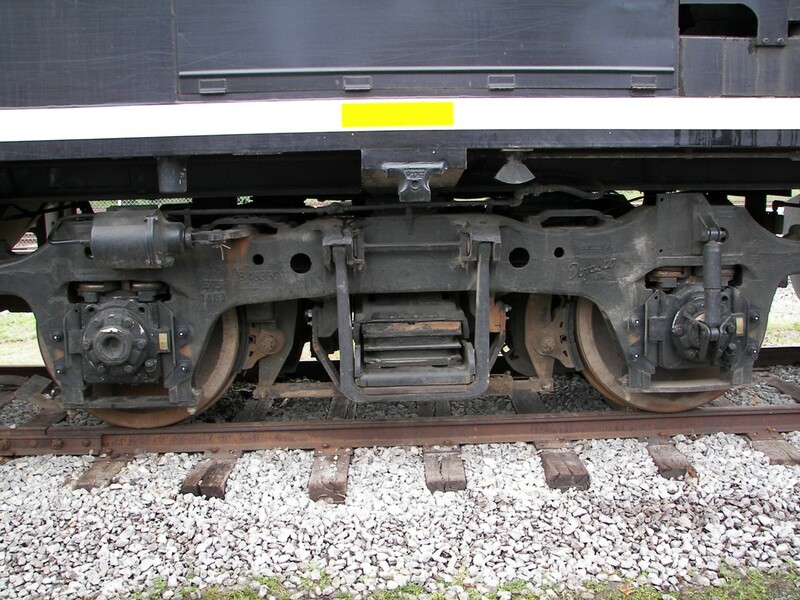 'American' type locomotives are identified by having a lead truck with four unpowered wheels, followed by four coupled drive wheels. 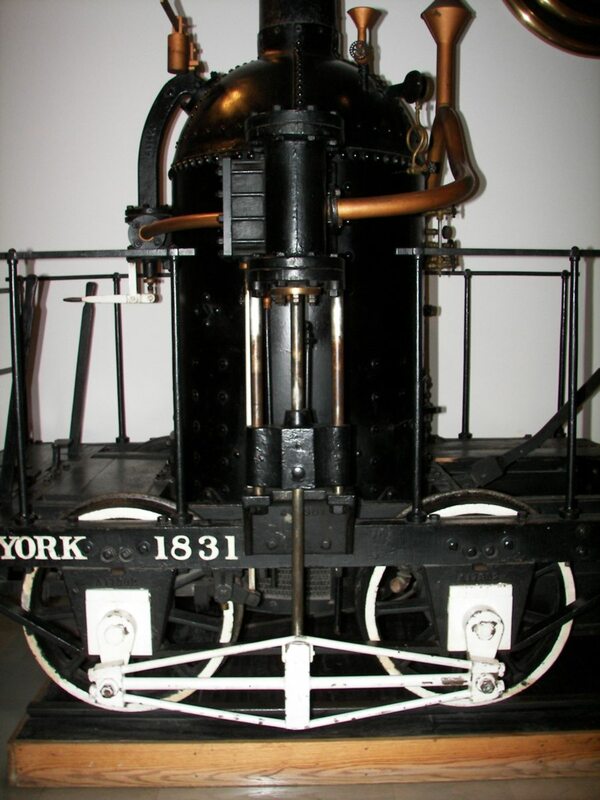 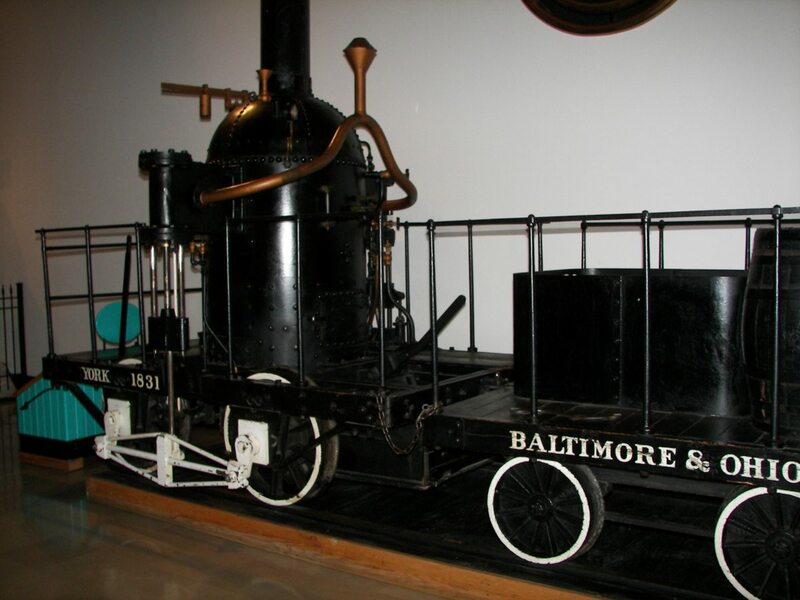 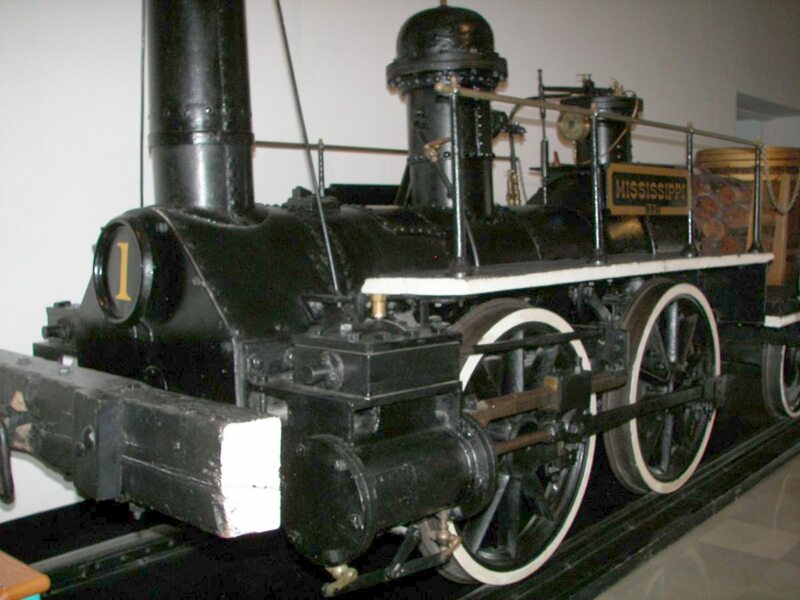 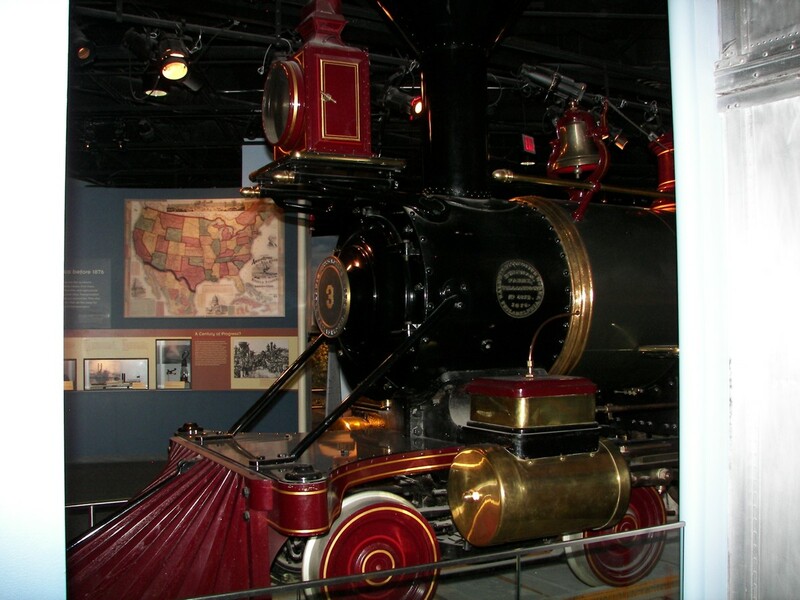 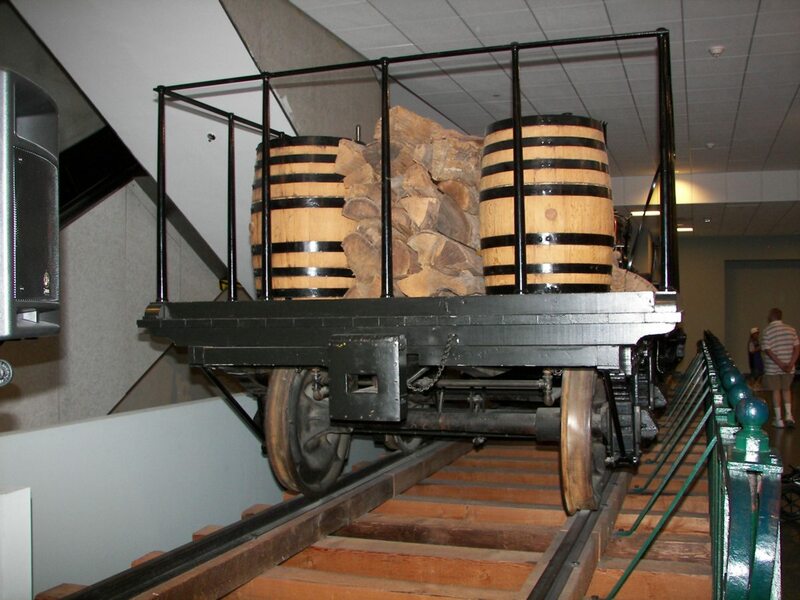 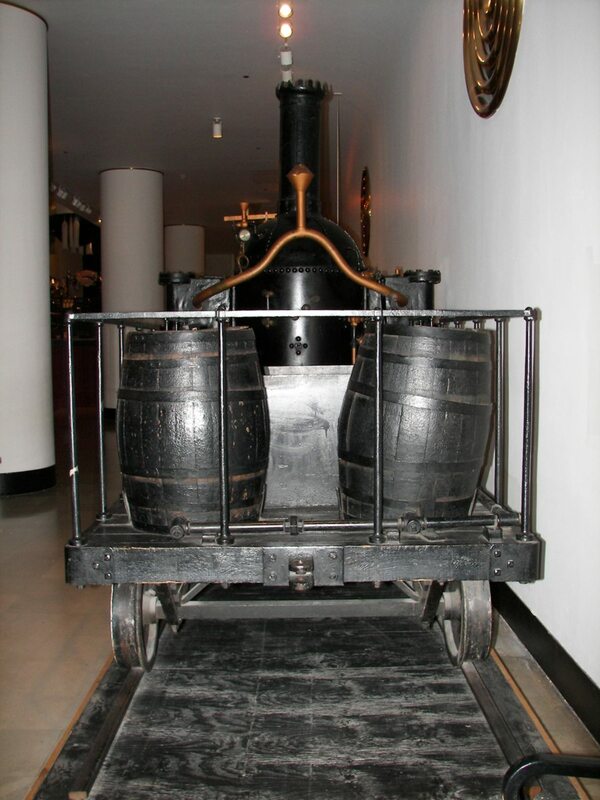 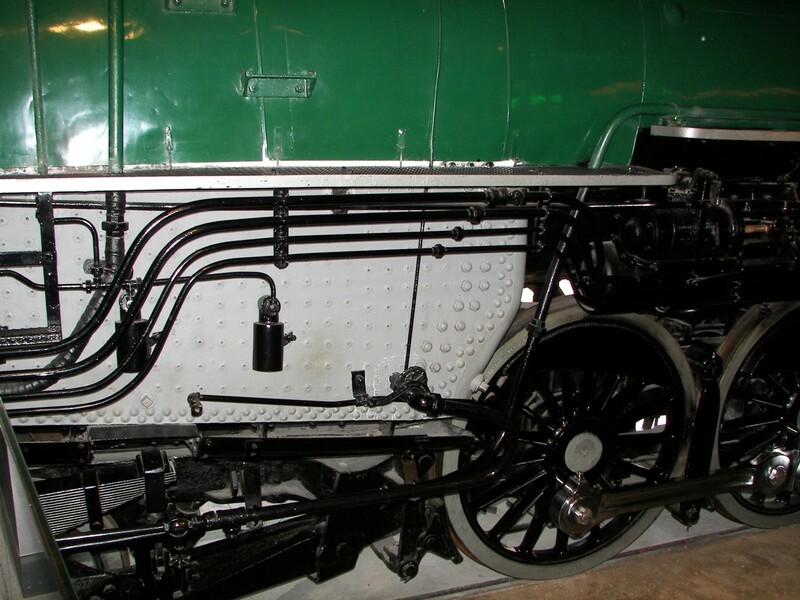 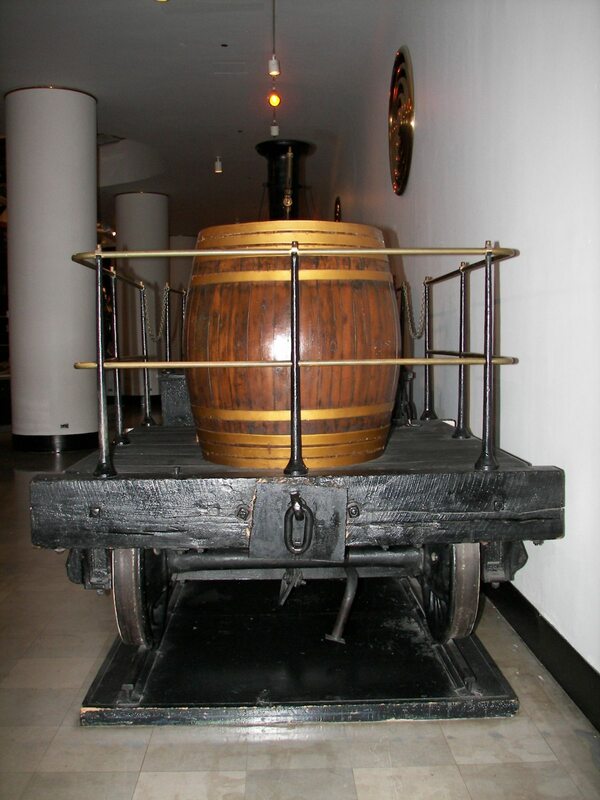 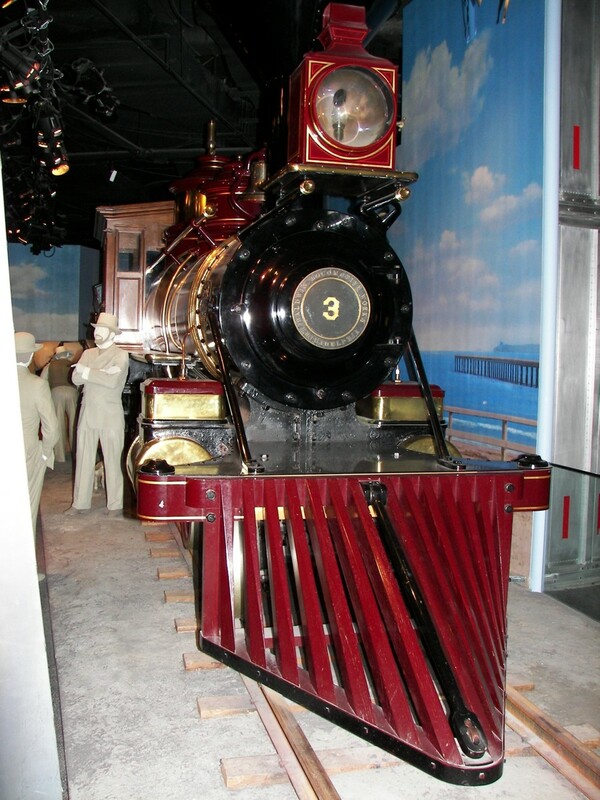 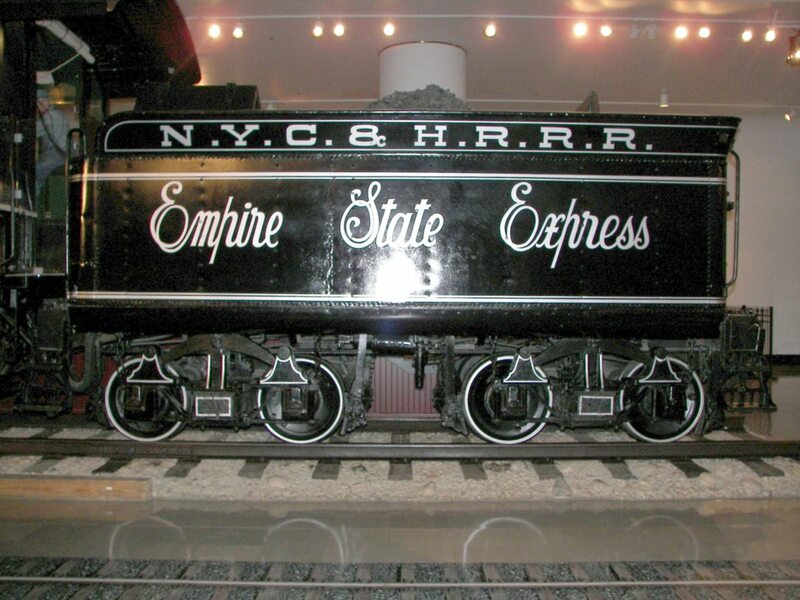 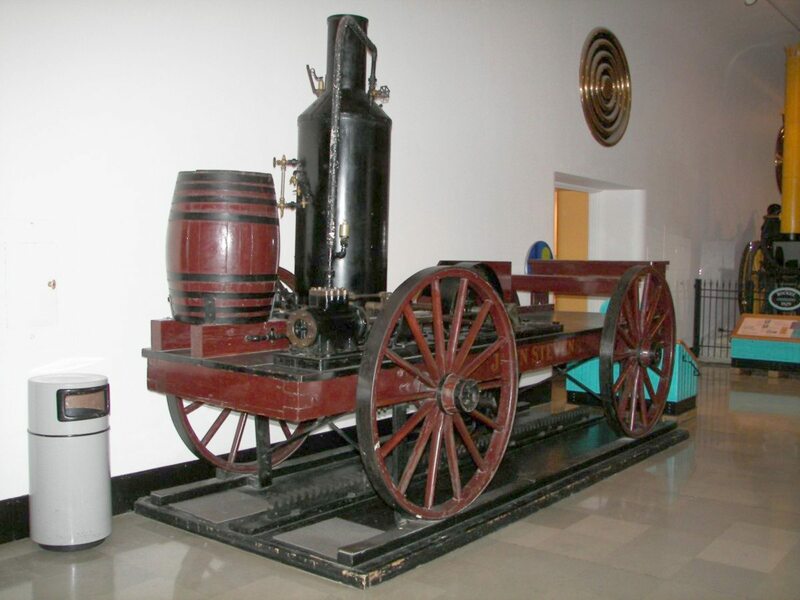 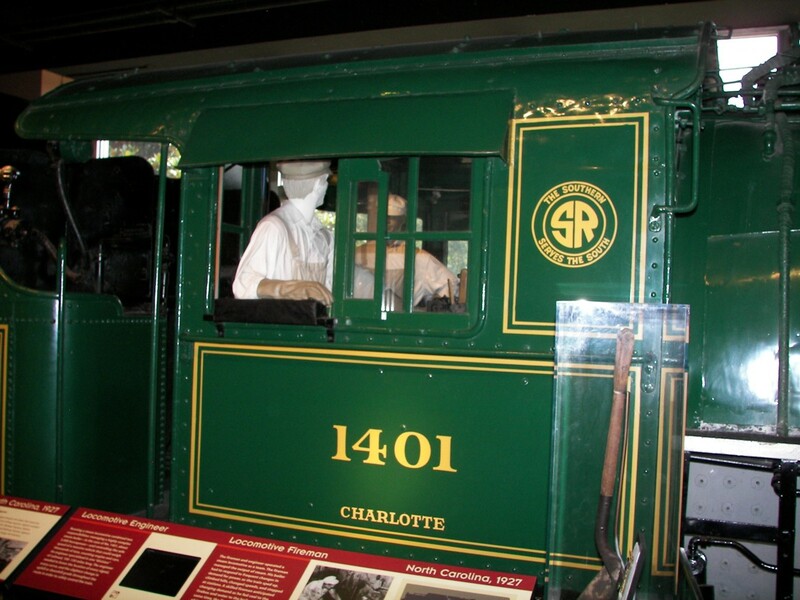 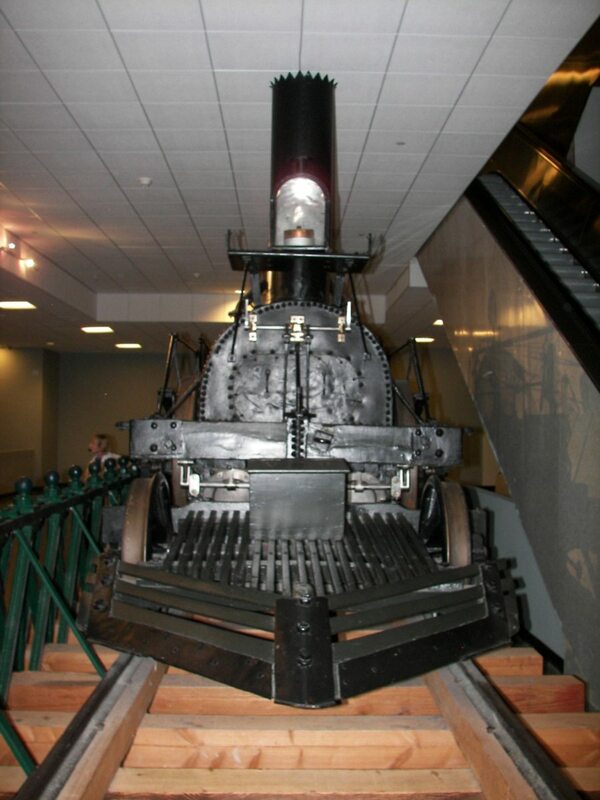 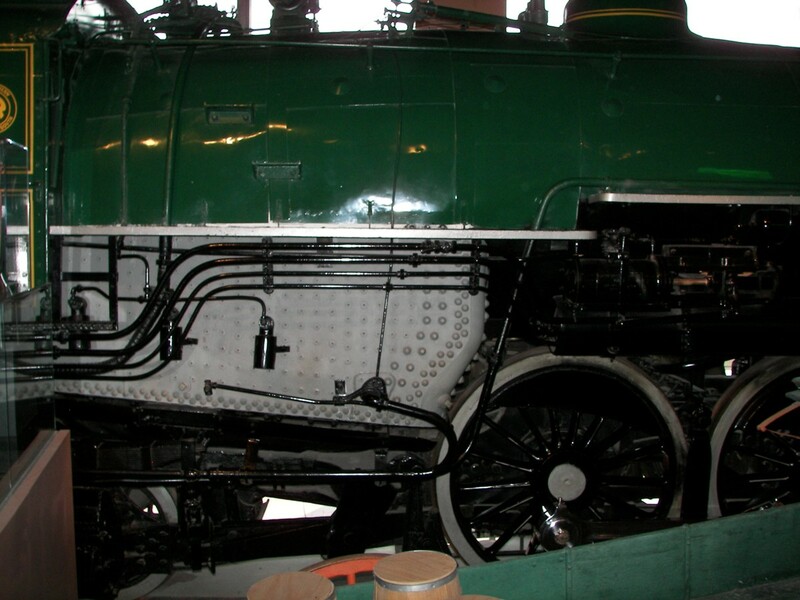 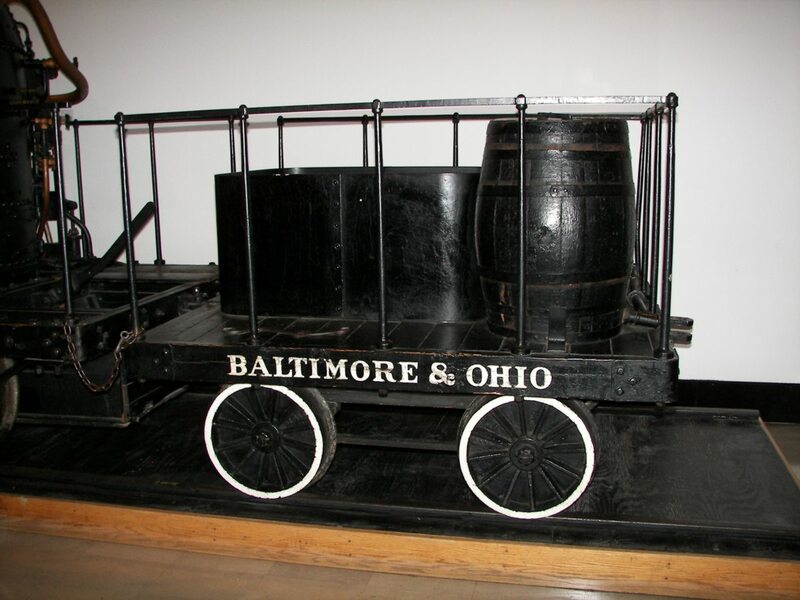 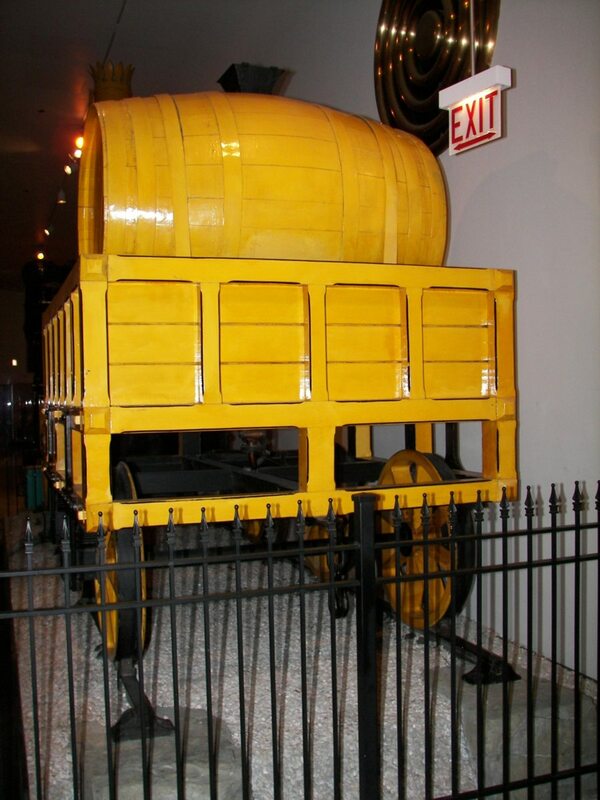 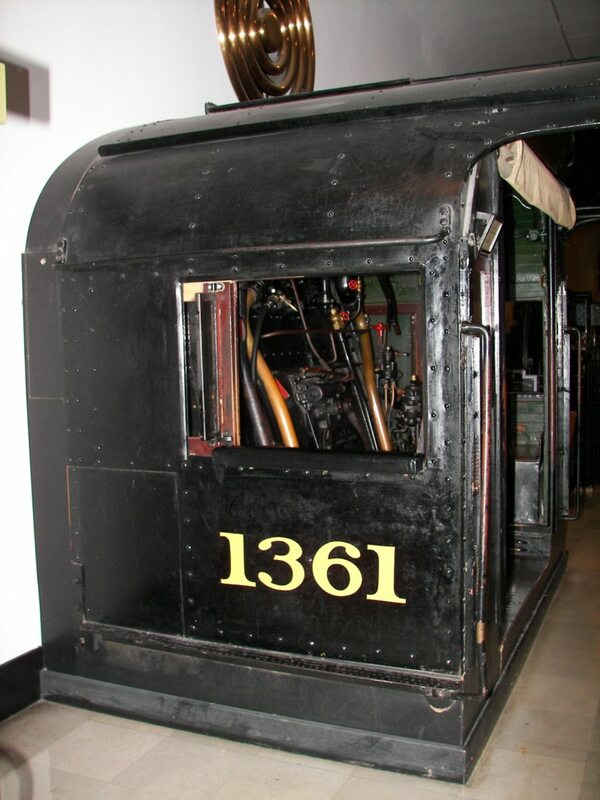 The 4-4-0 configuration was very common on US railroads in the mid 1800's. 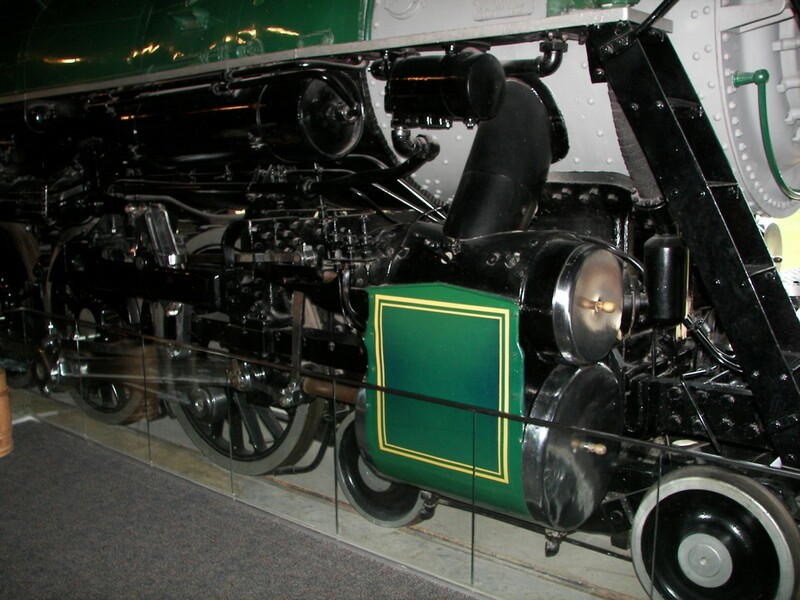 'Pacific' type locomotives are identified by having a lead truck with four unpowered wheels, six coupled drive wheels, and two unpowered trailing wheels. 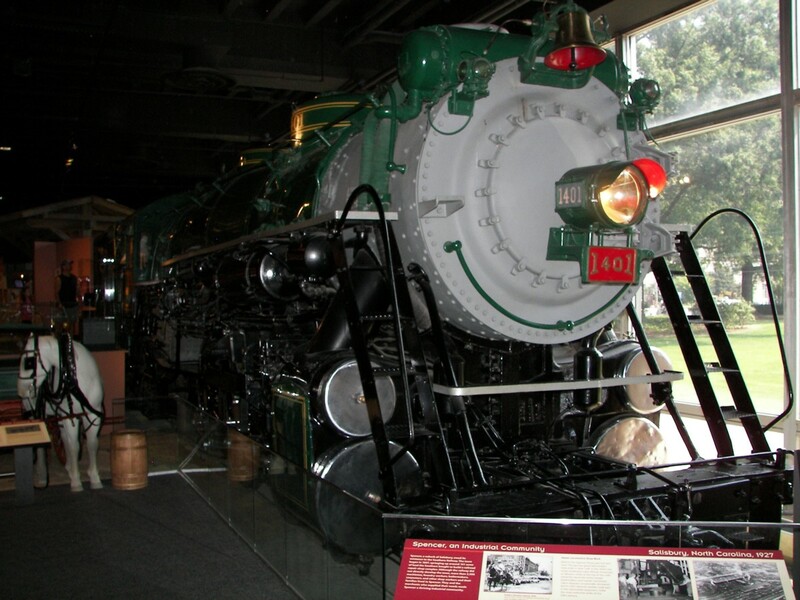 Often used for passenger service, Pacific locomotives were a common sight on American railways during the first half of the 20th century. 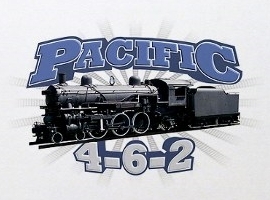 Pacific locomotive design available on t-shirts, mugs, mousepads, prints and stickers. 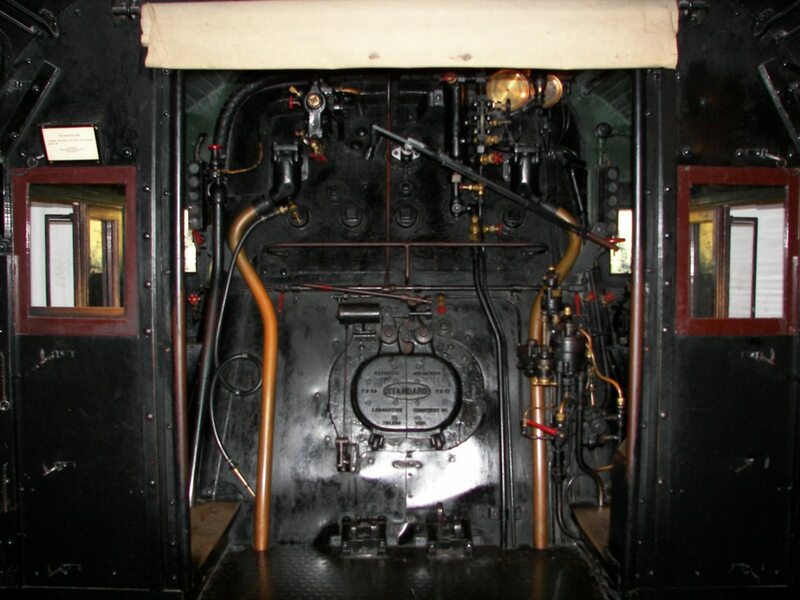 The words 'Pacific 4-6-2' surround the locomotive. 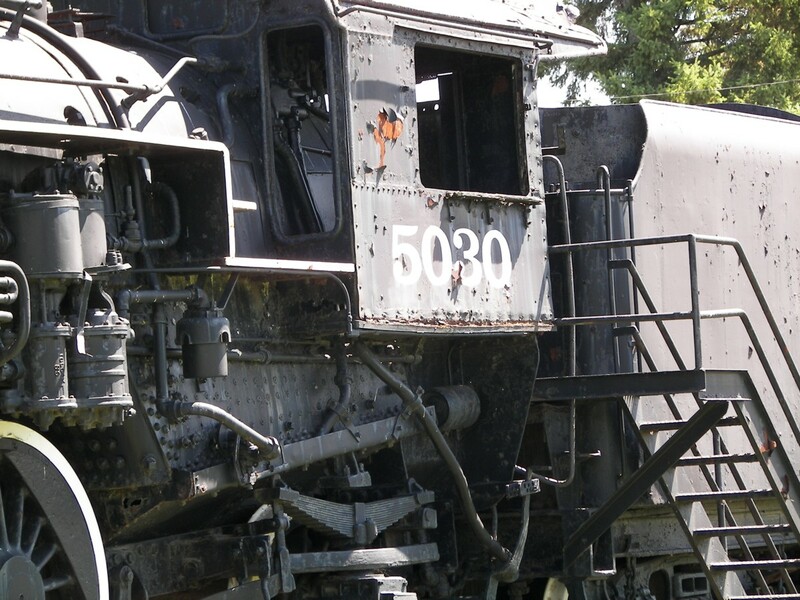 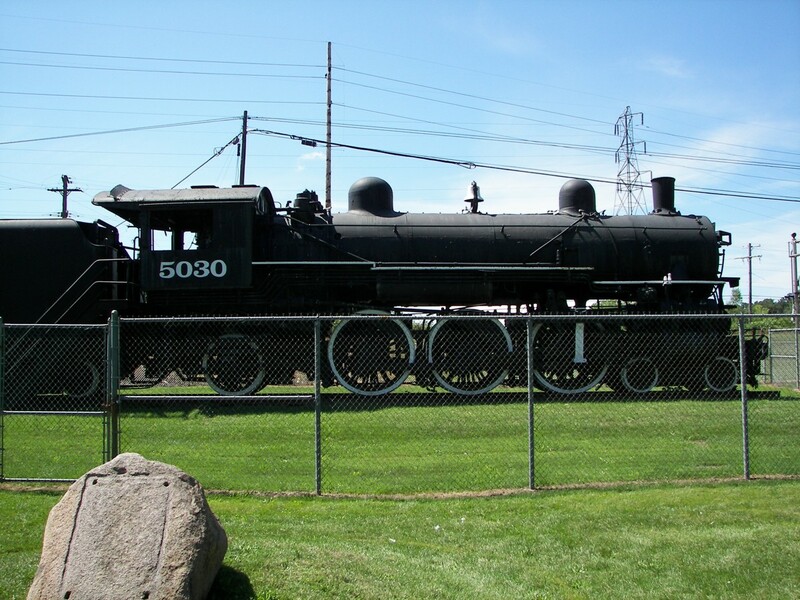 This image is of the former Grand Trunk Western 5030. 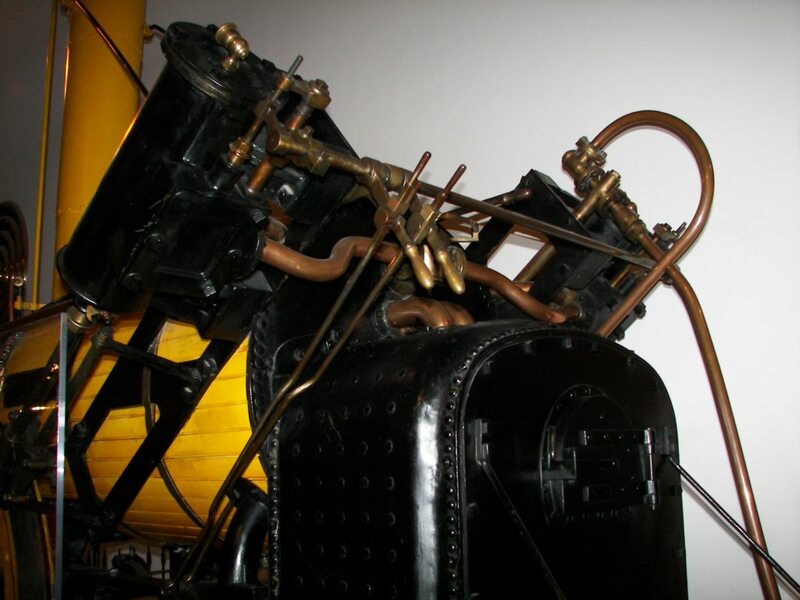 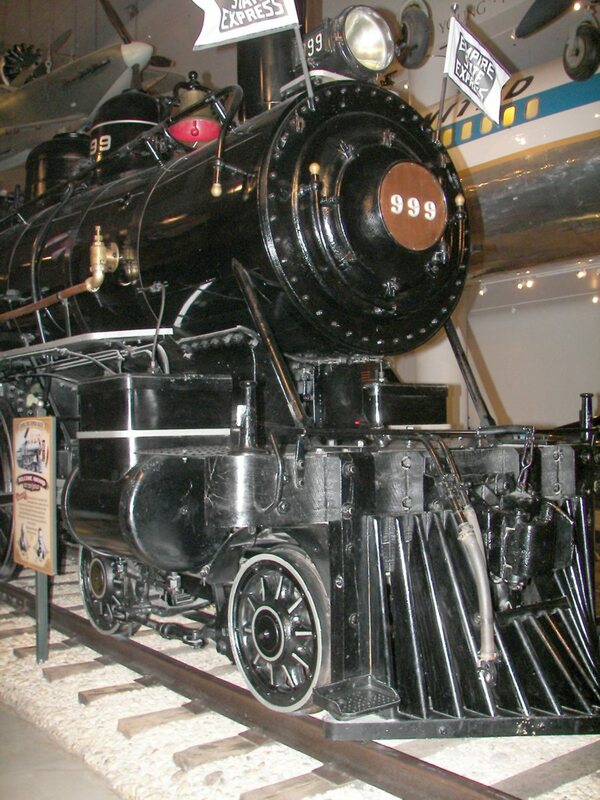 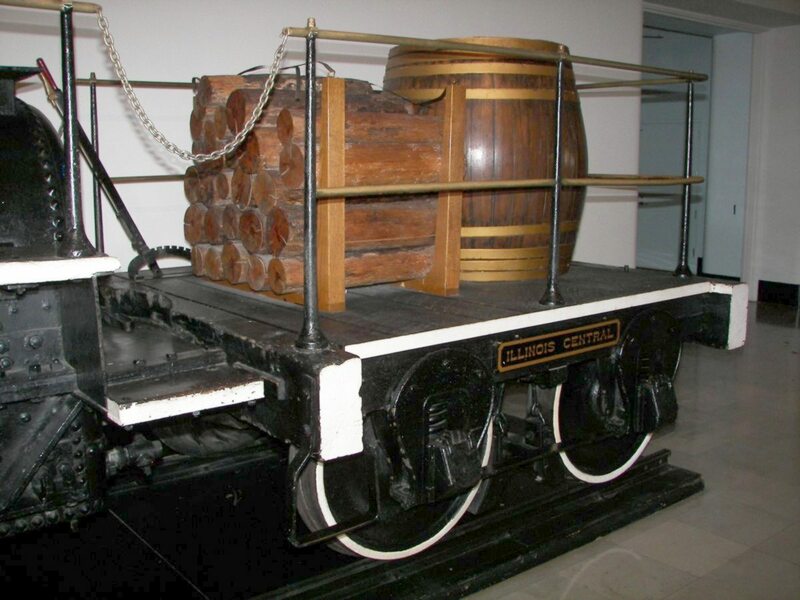 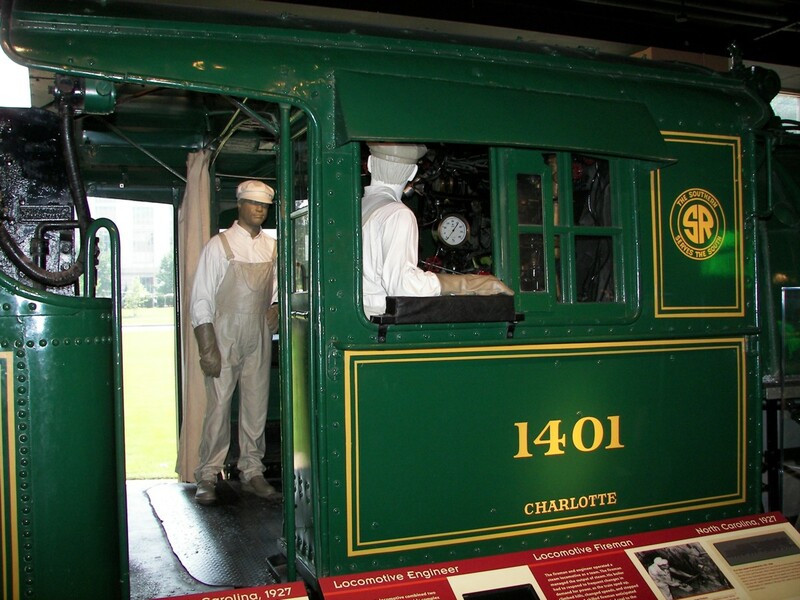 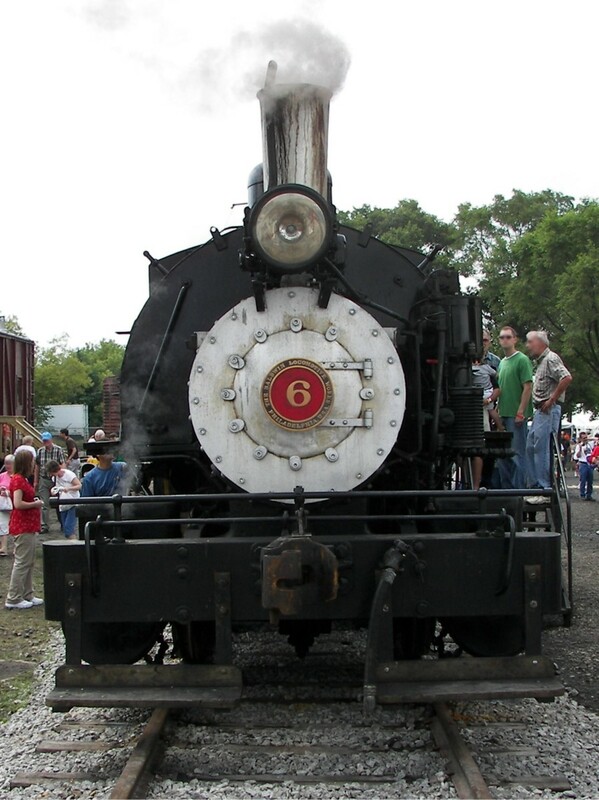 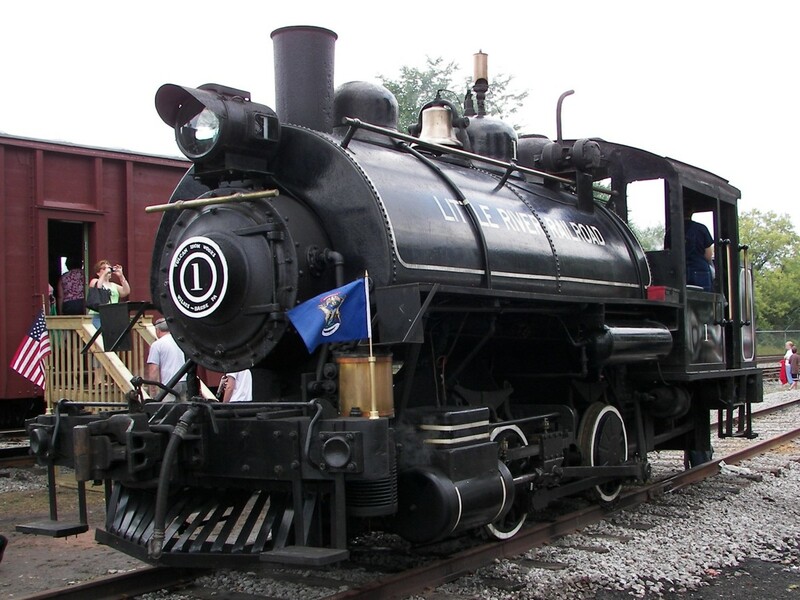 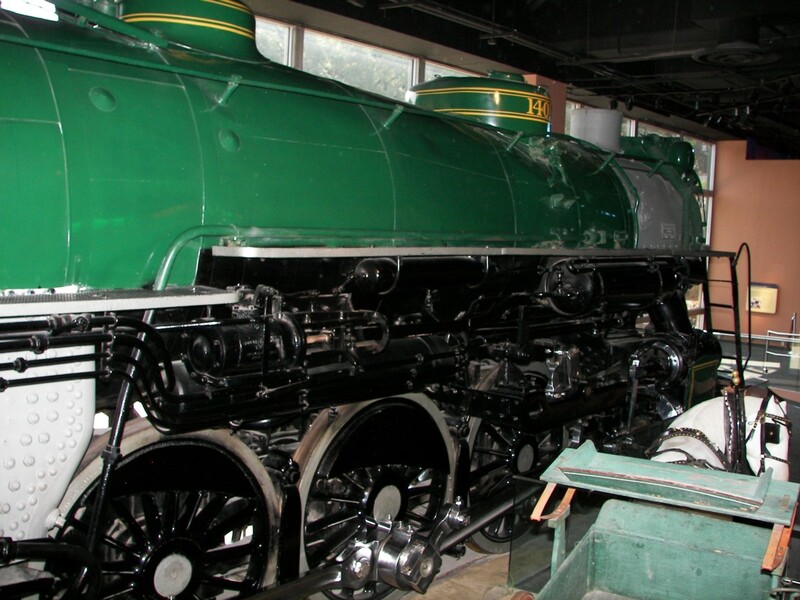 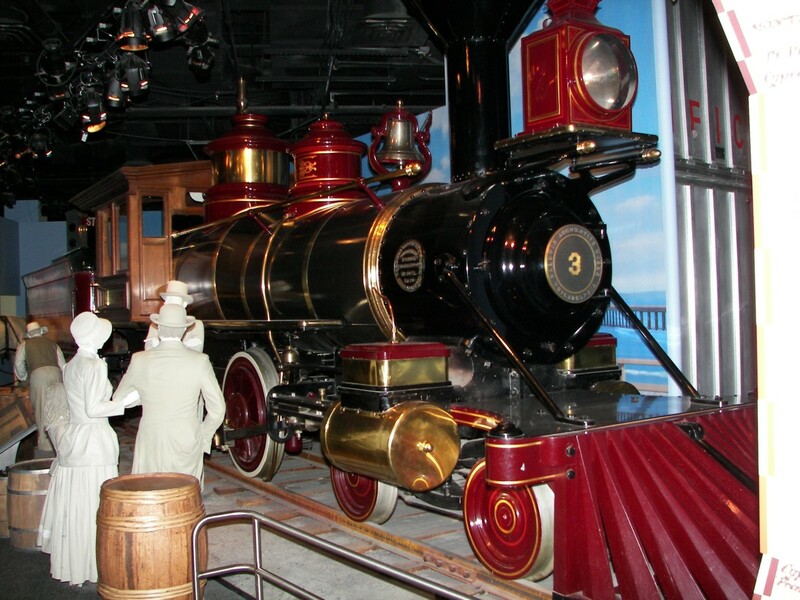 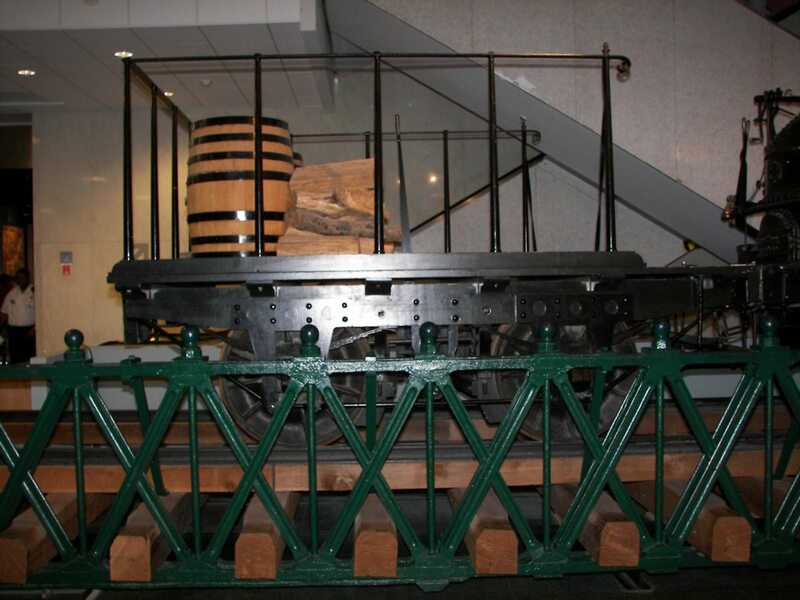 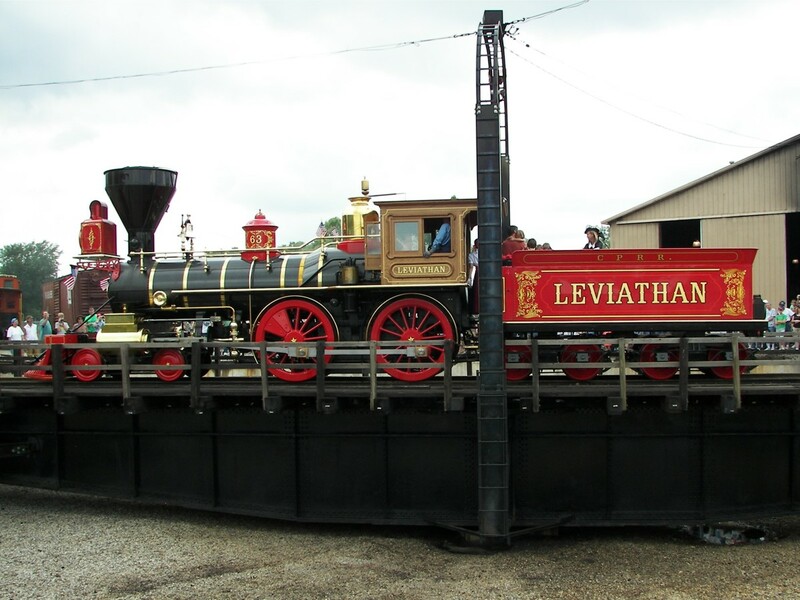 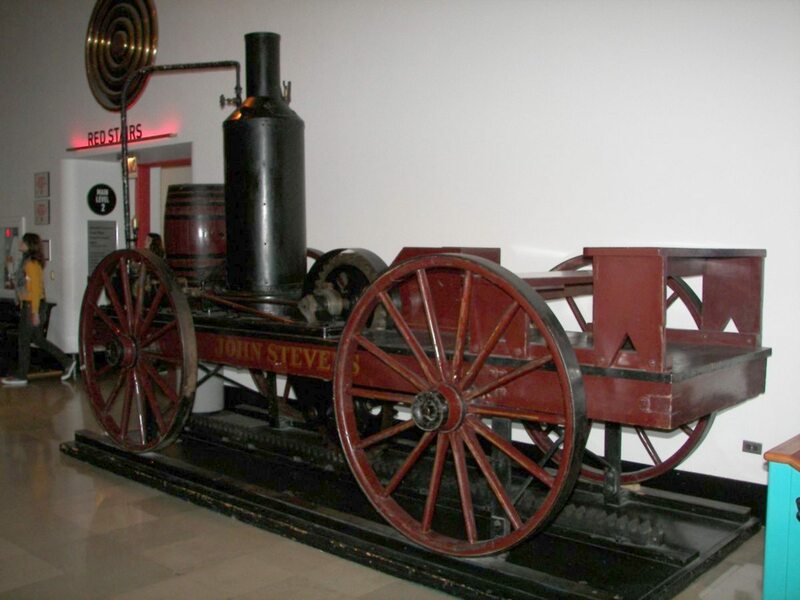 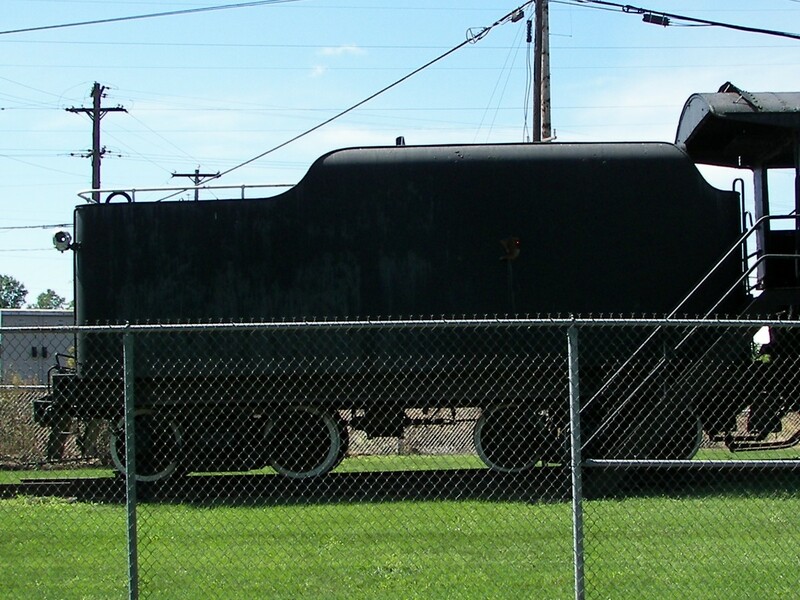 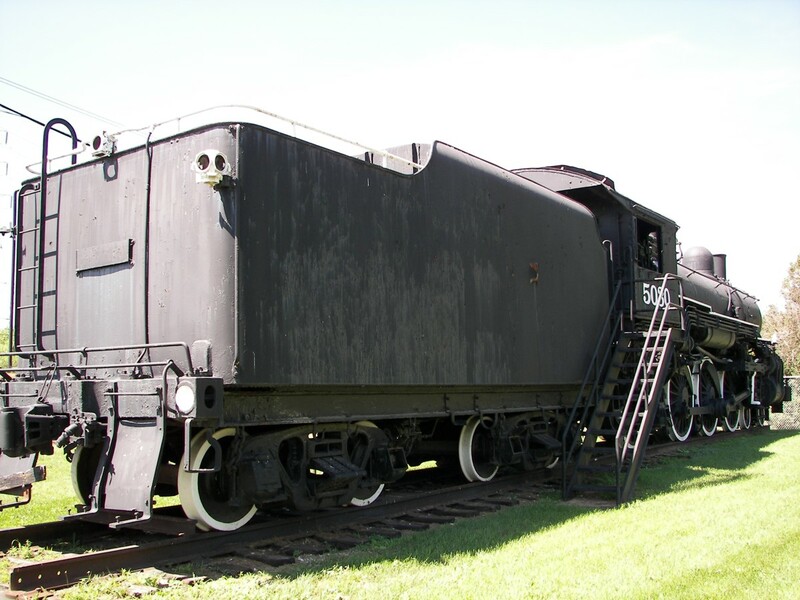 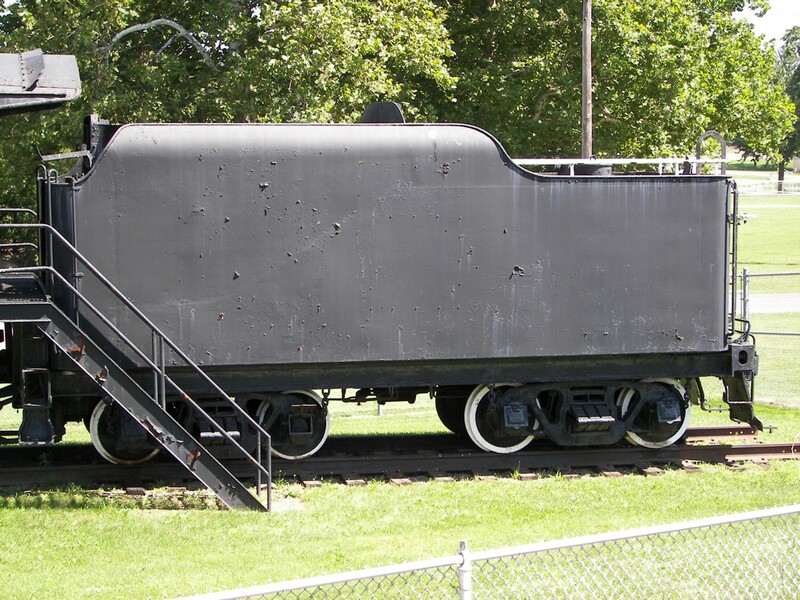 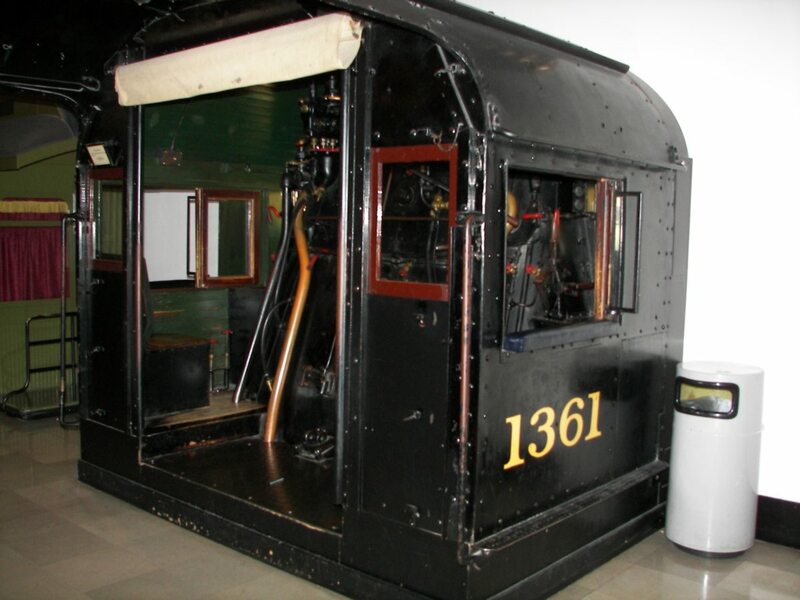 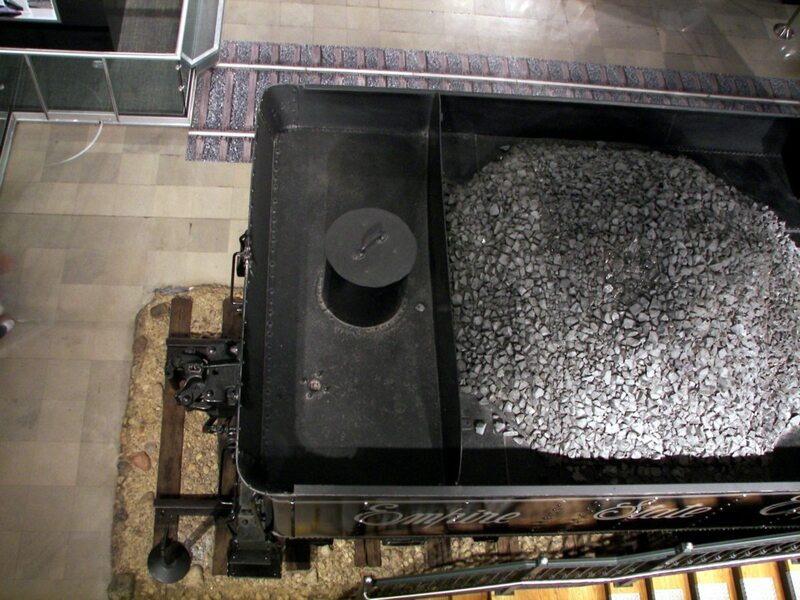 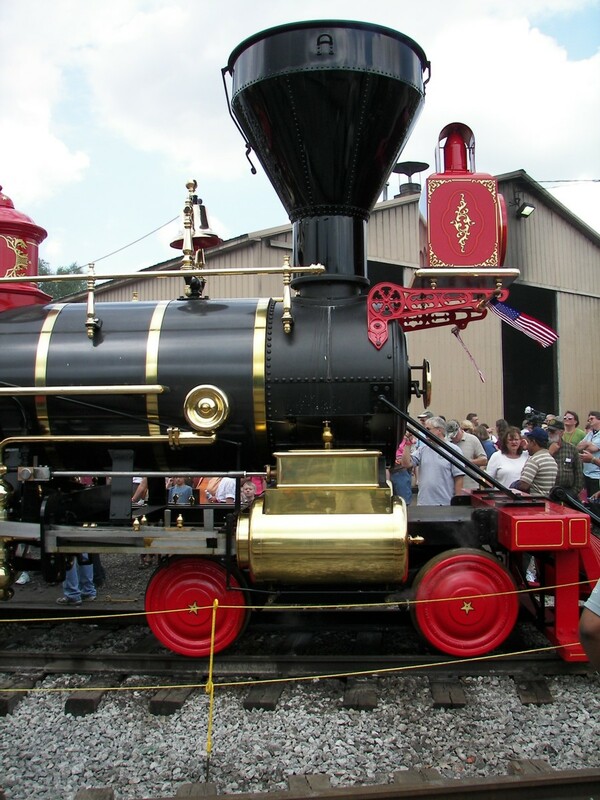 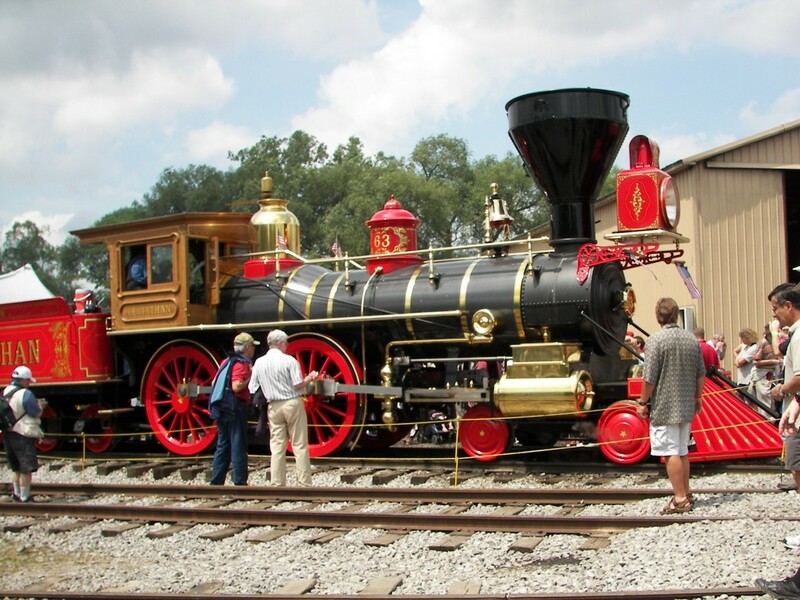 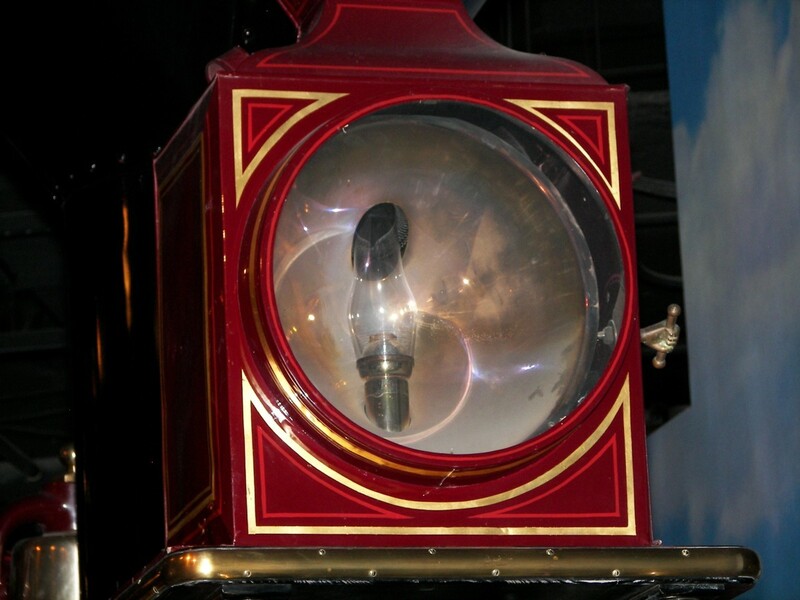 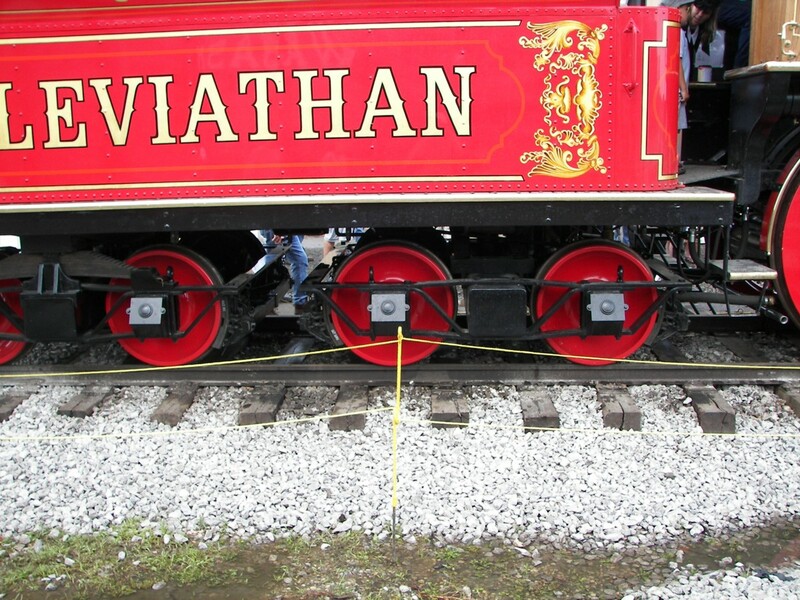 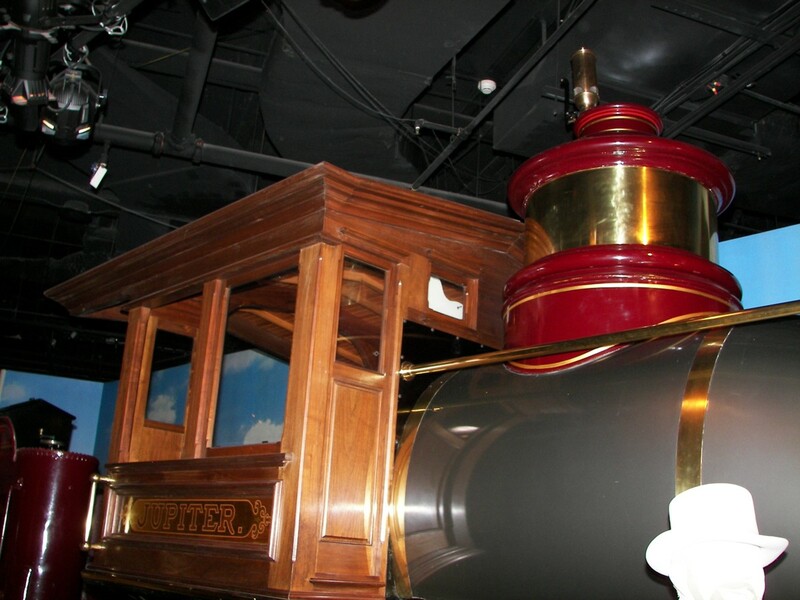 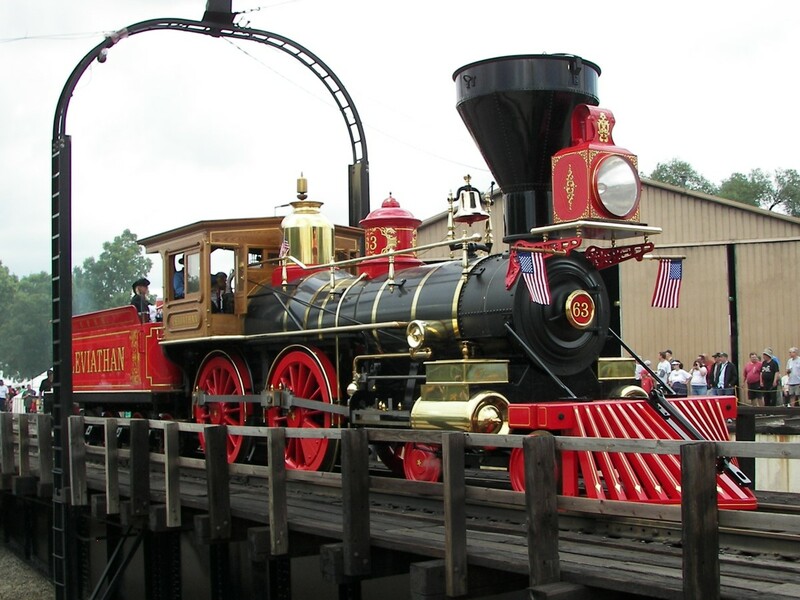 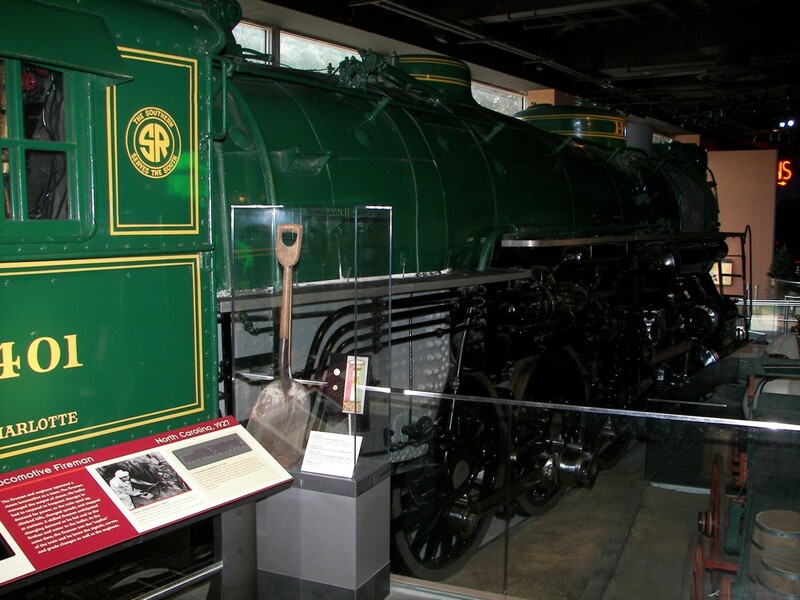 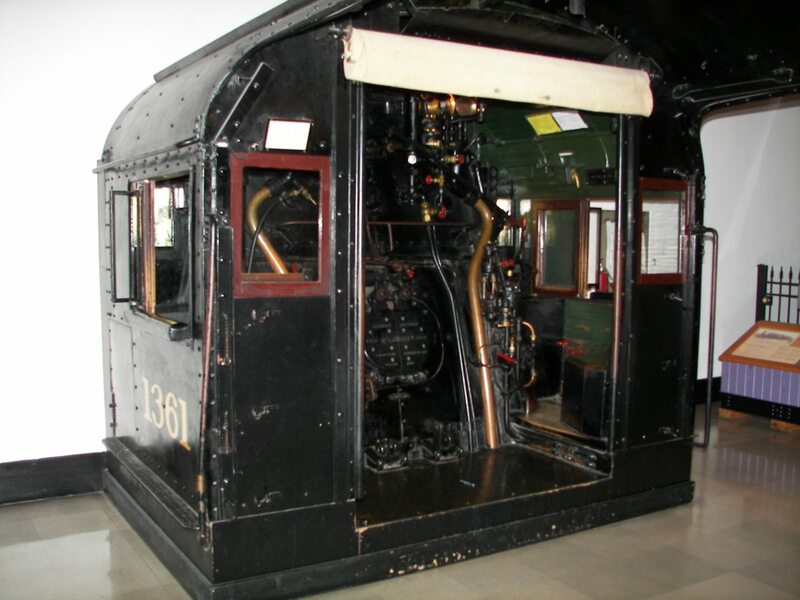 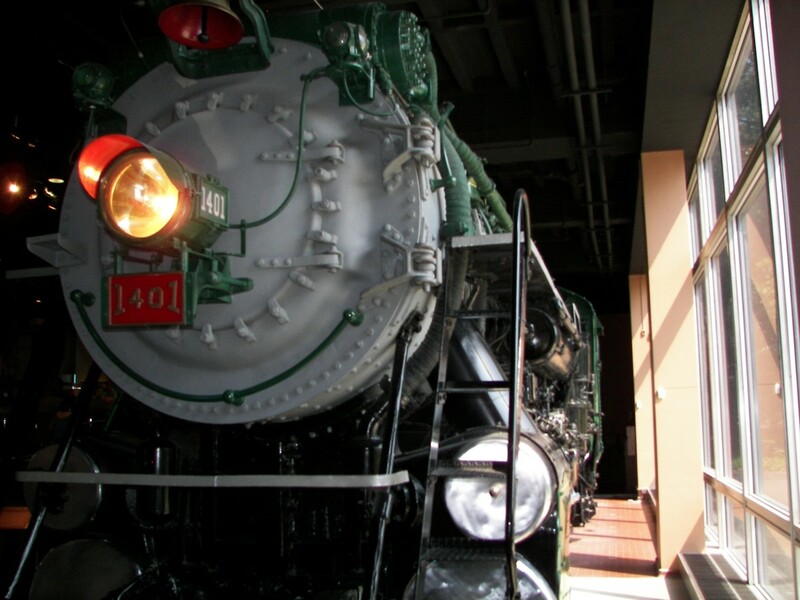 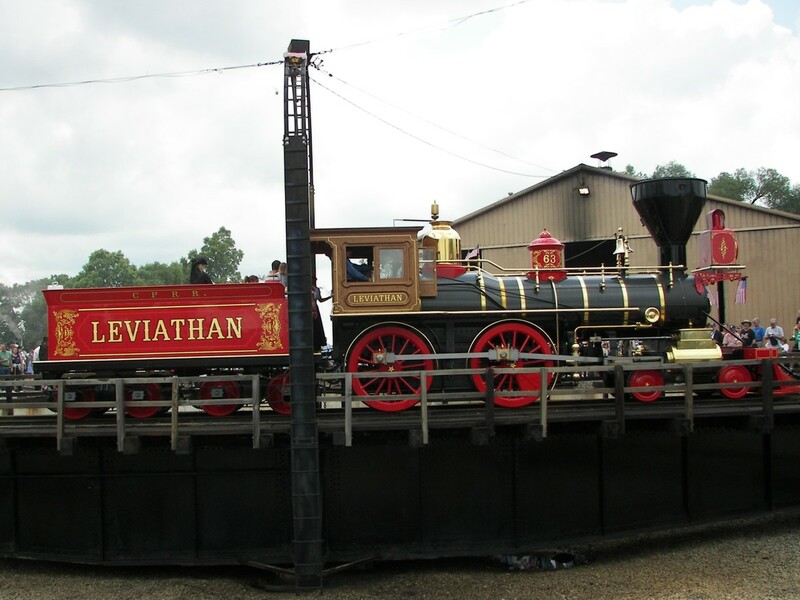 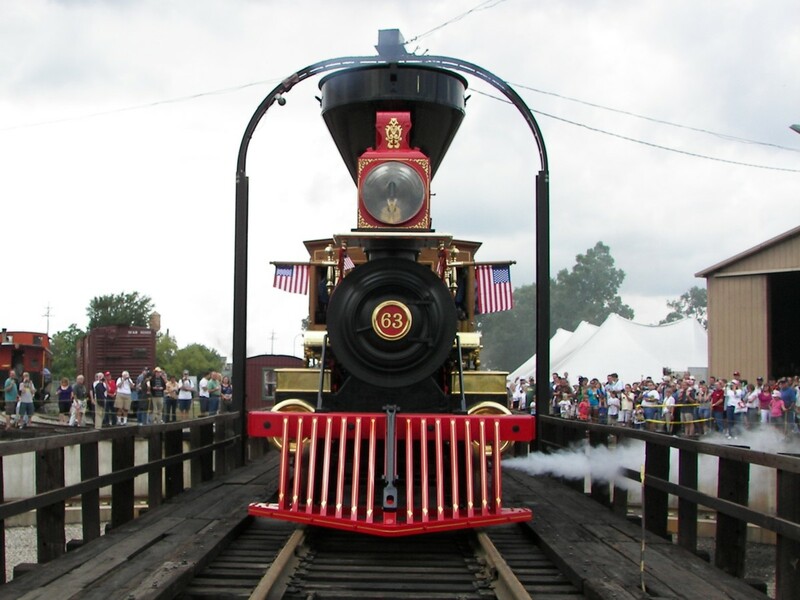 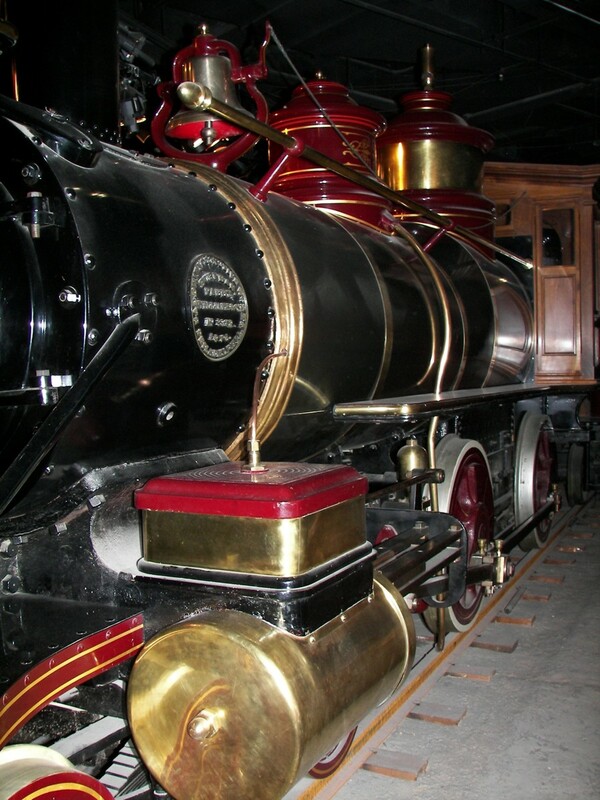 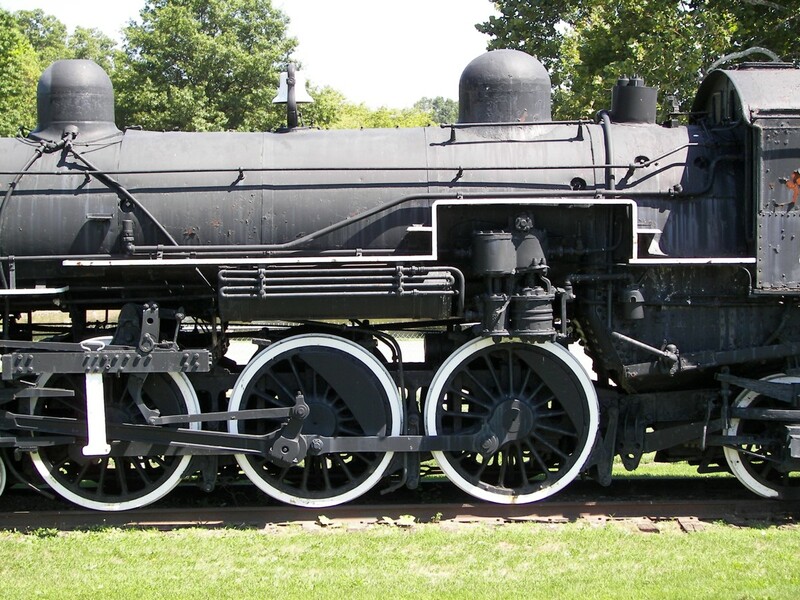 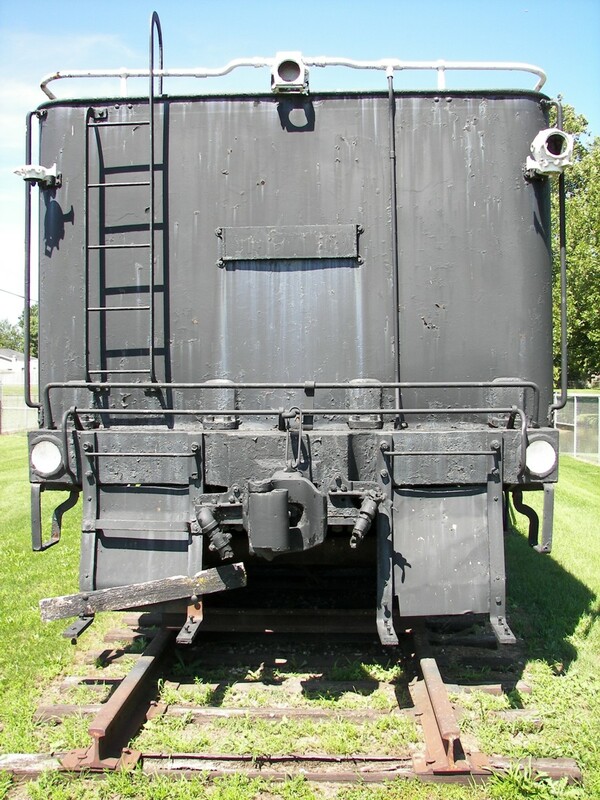 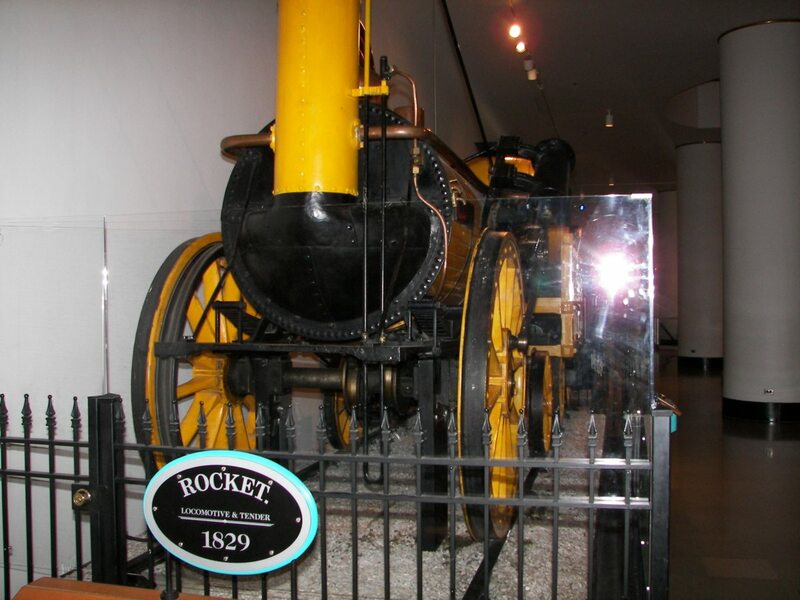 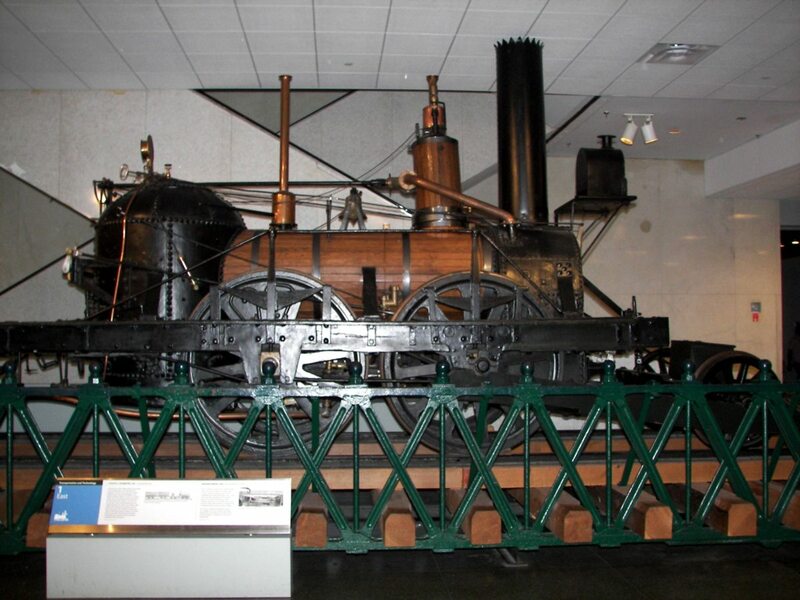 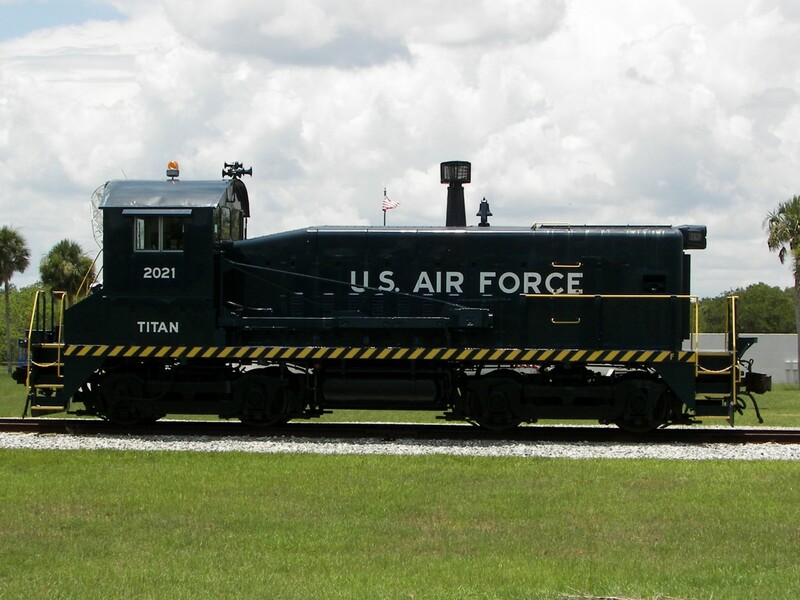 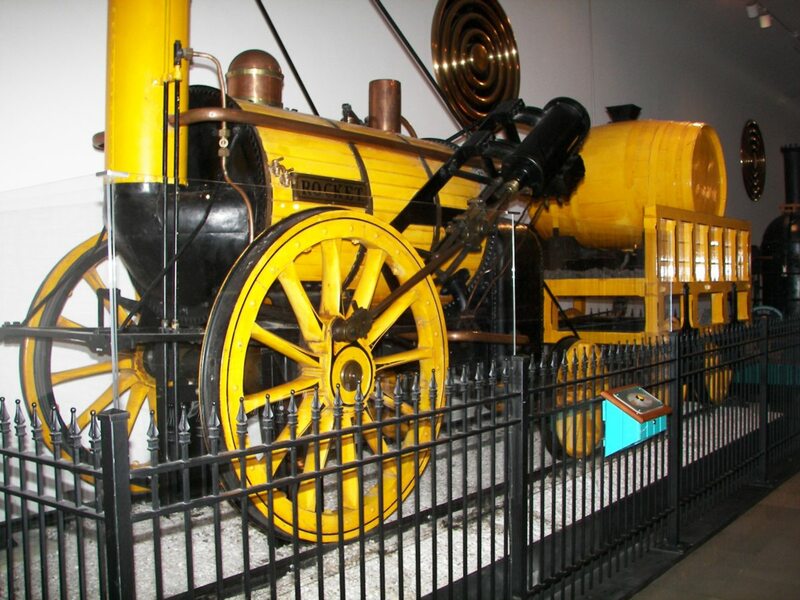 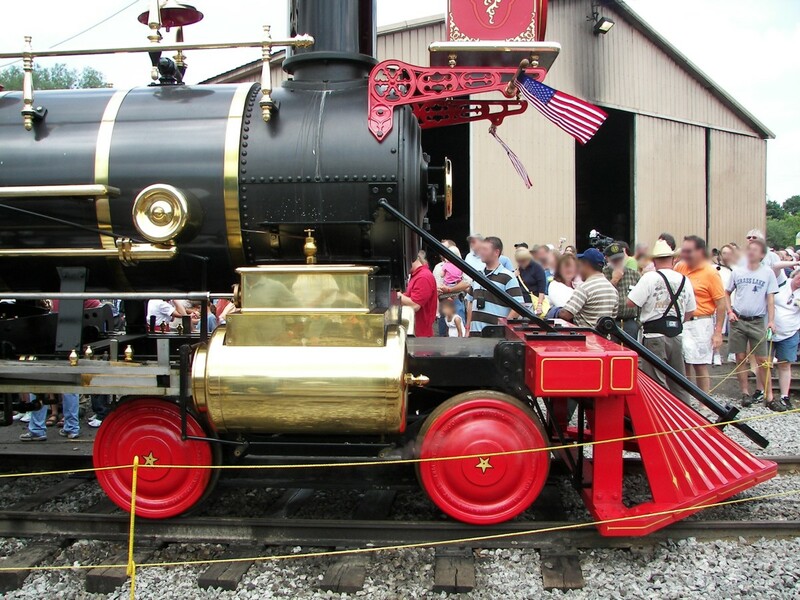 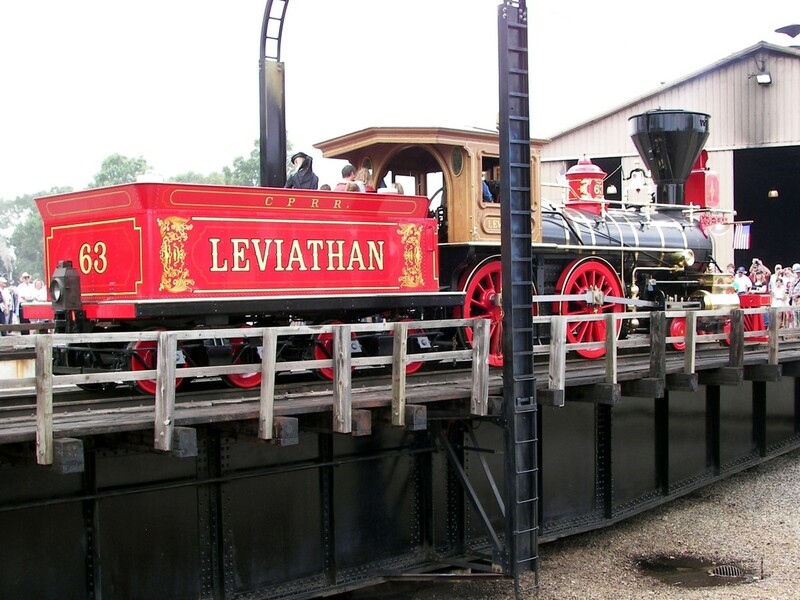 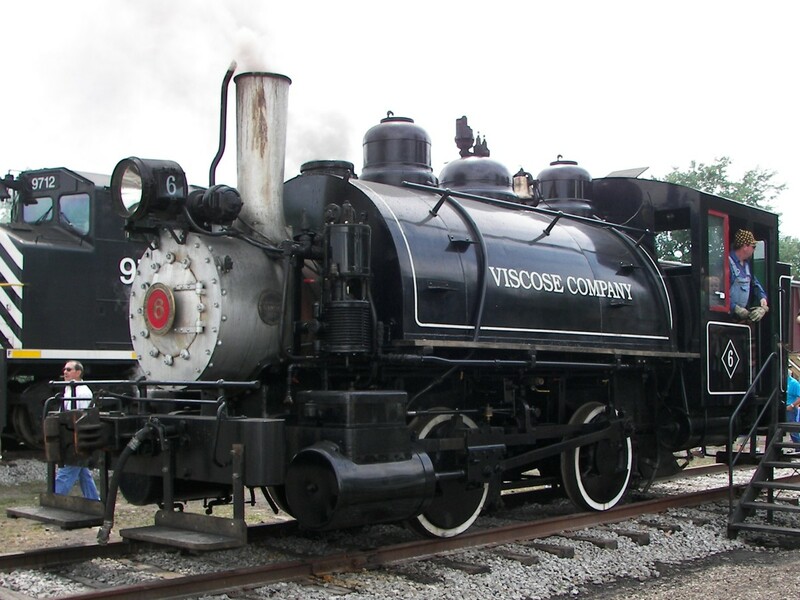 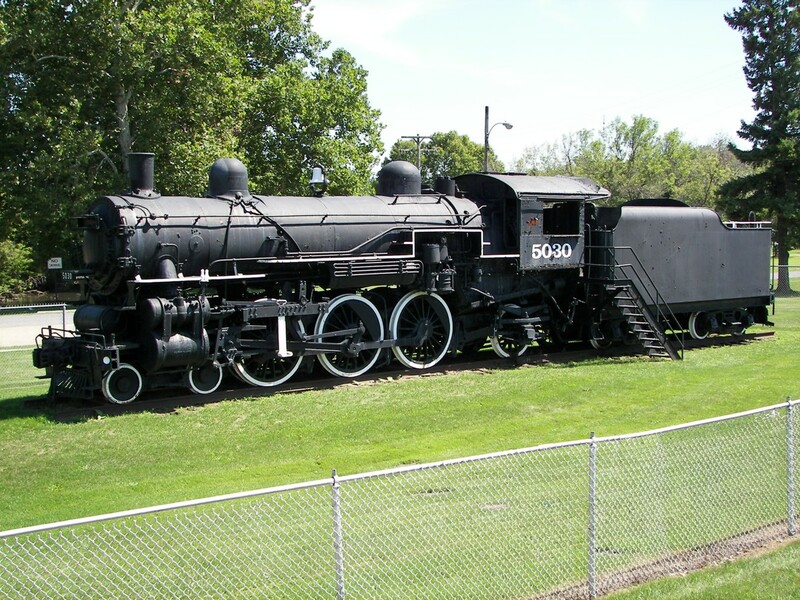 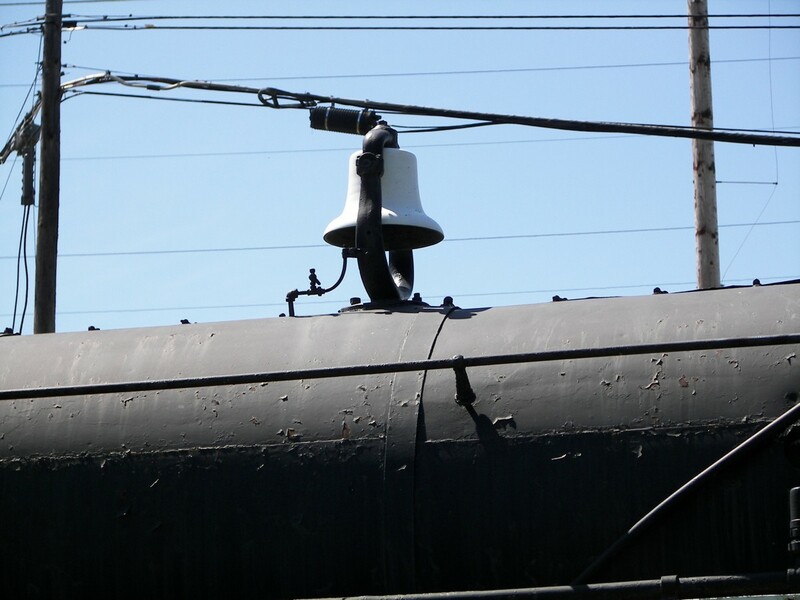 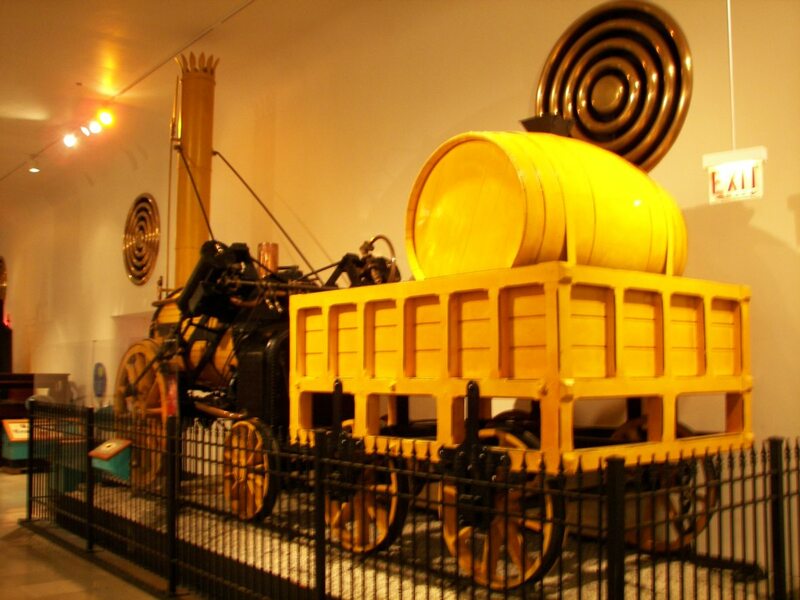 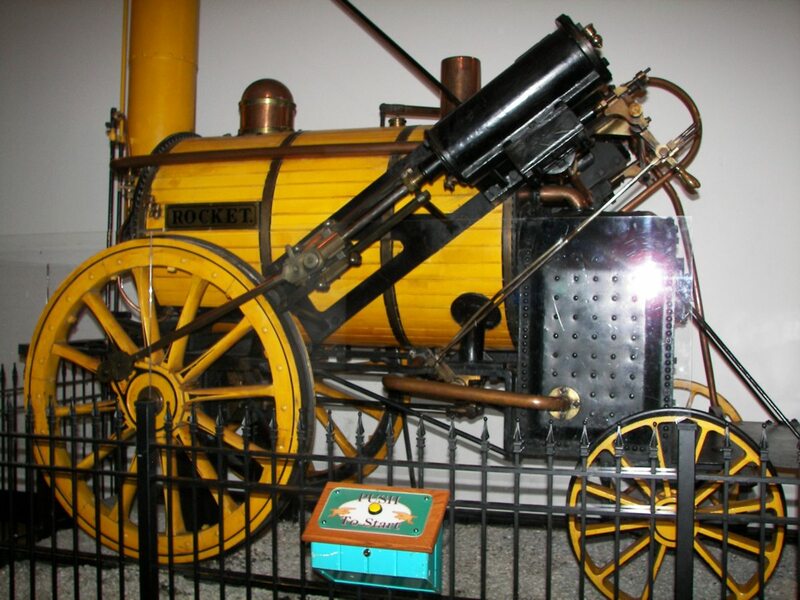 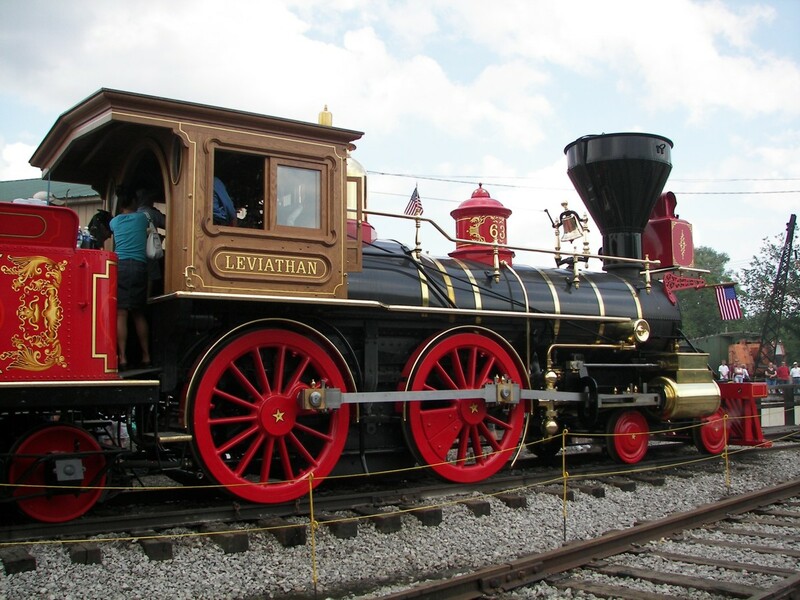 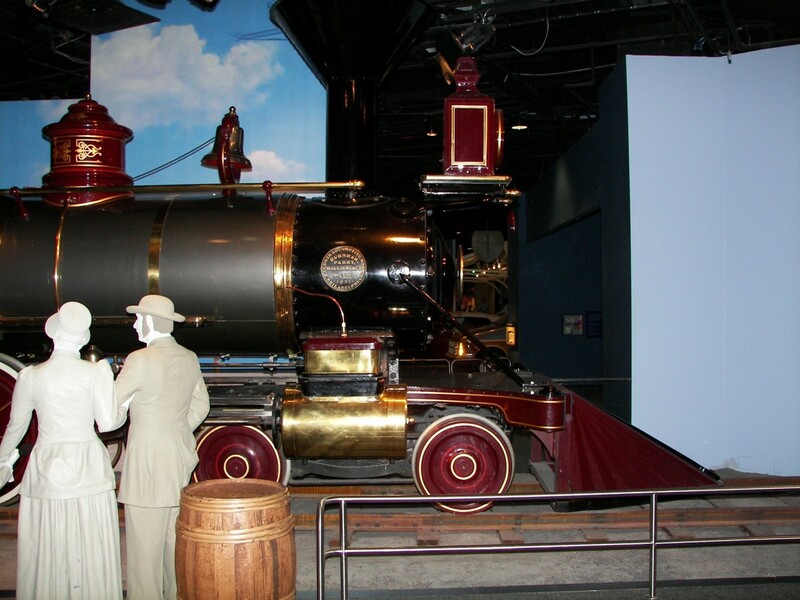 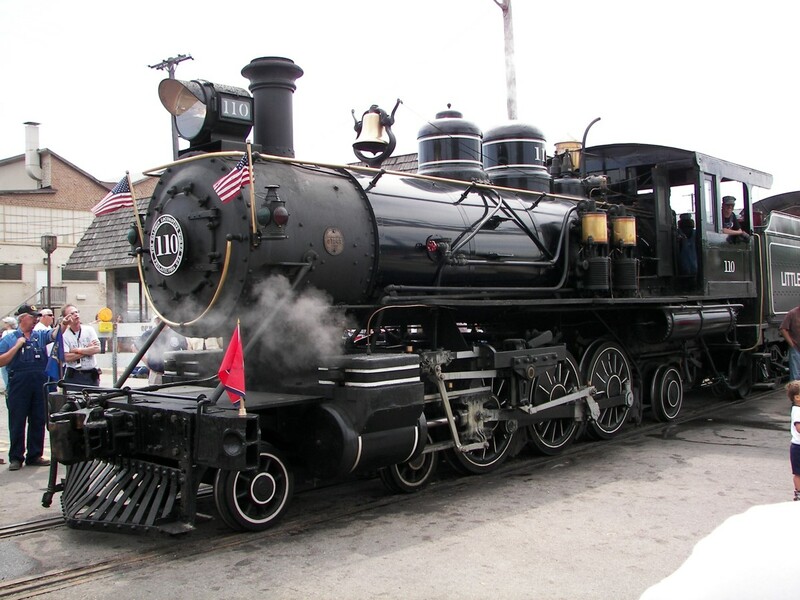 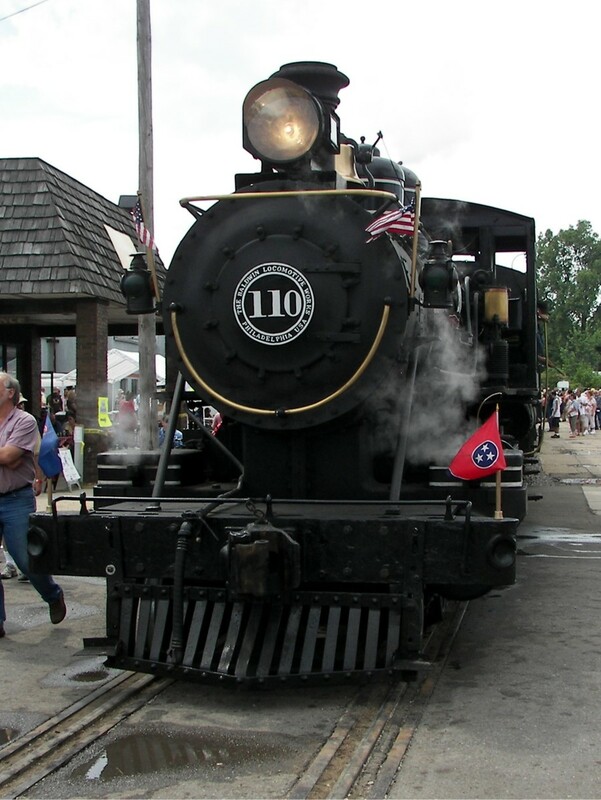 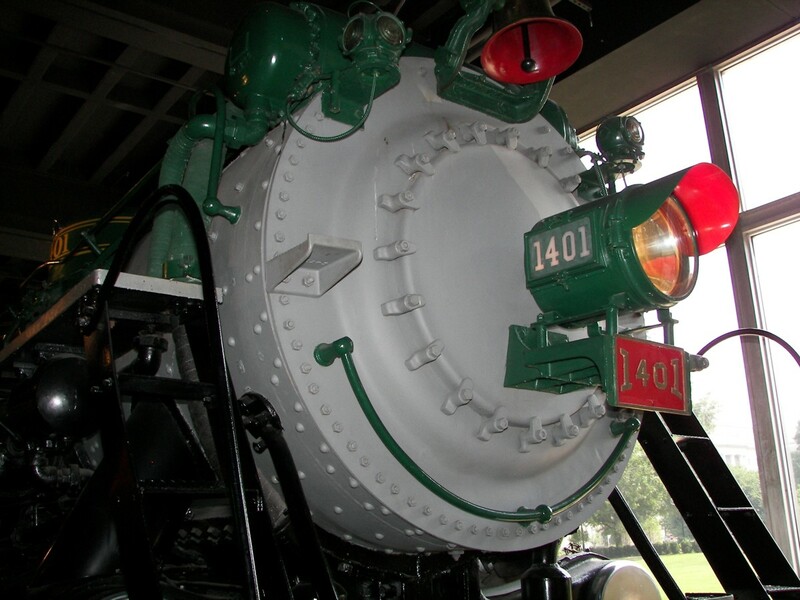 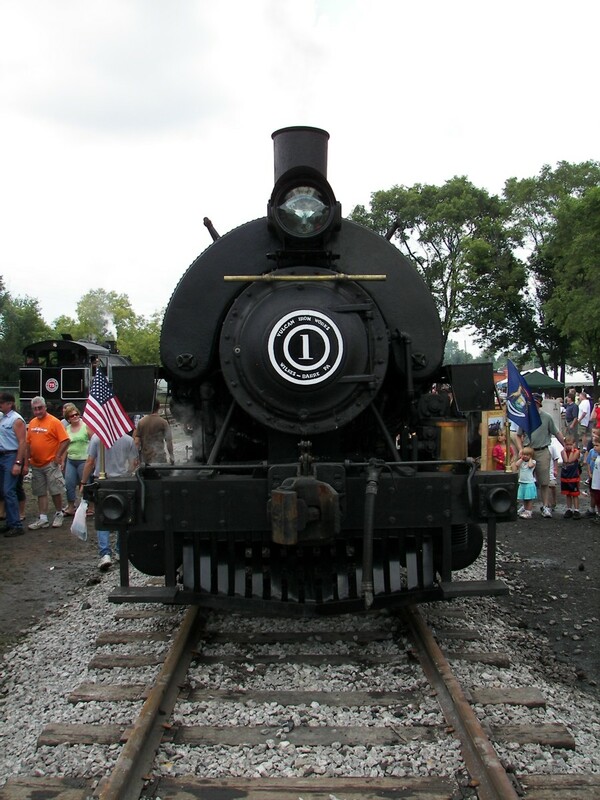 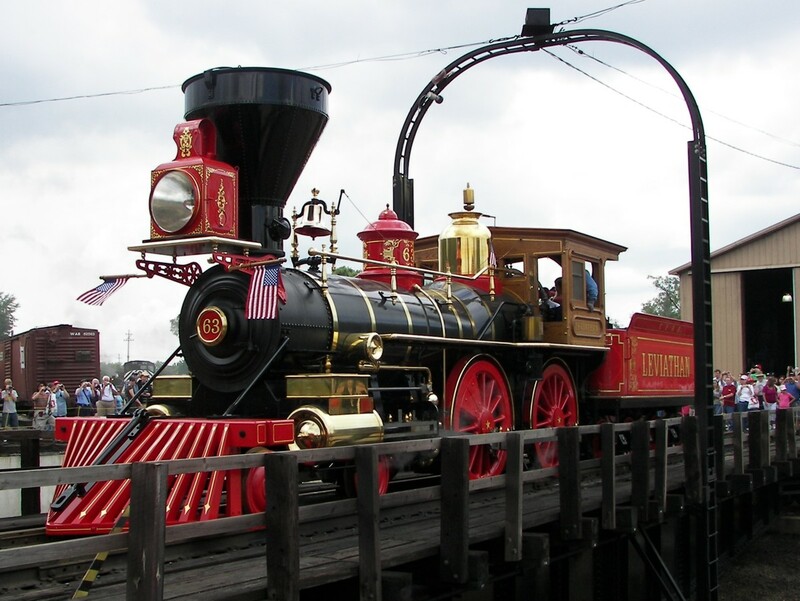 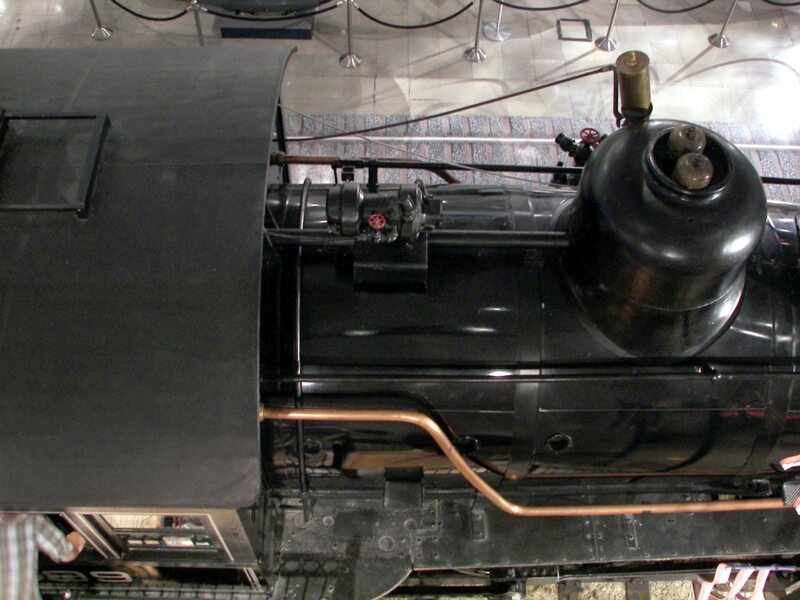 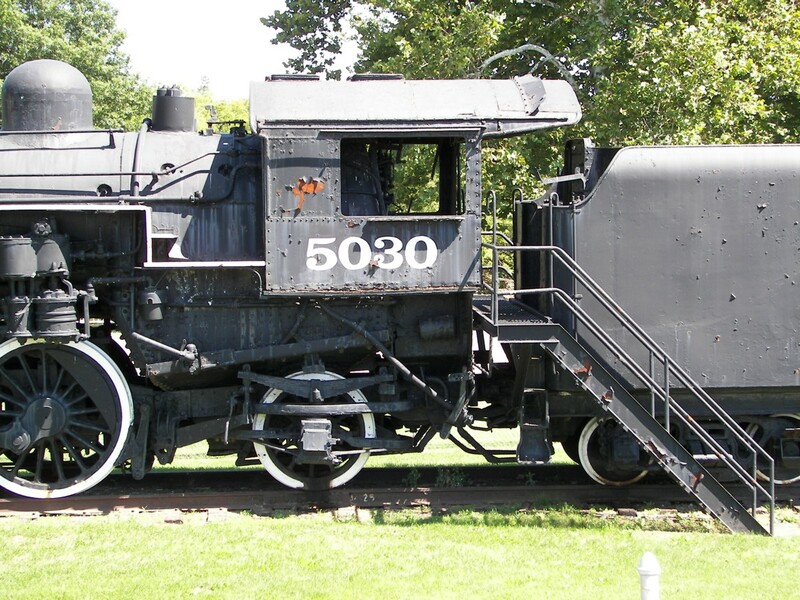 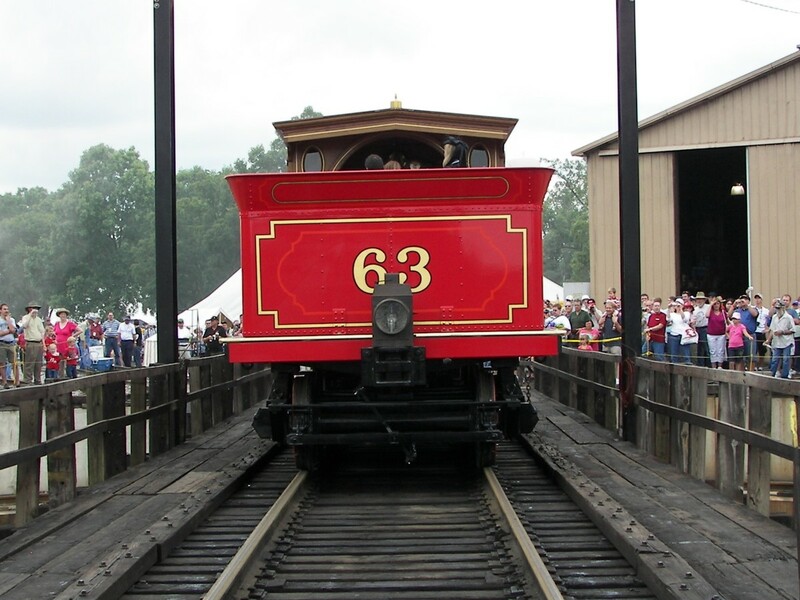 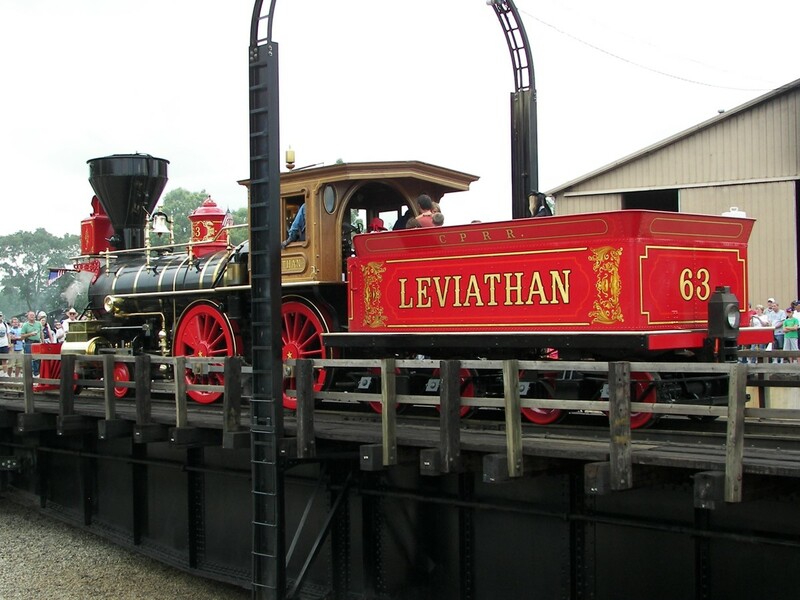 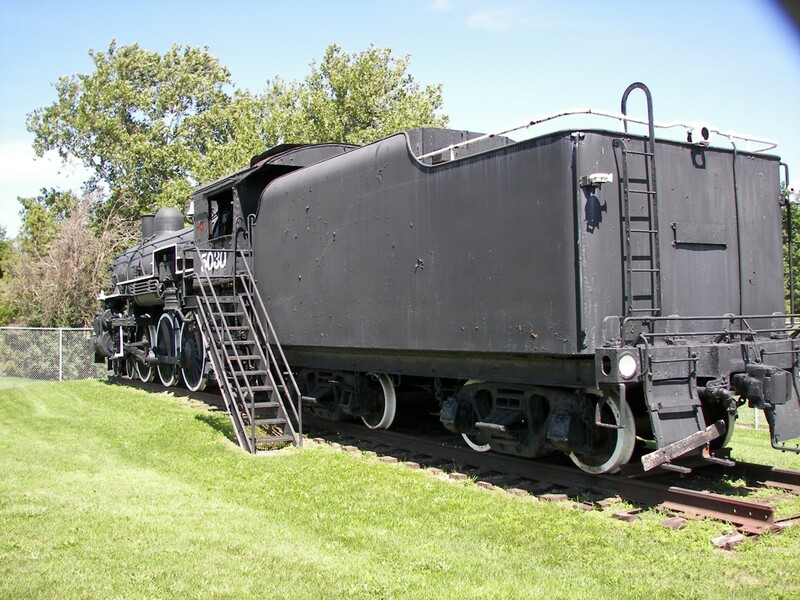 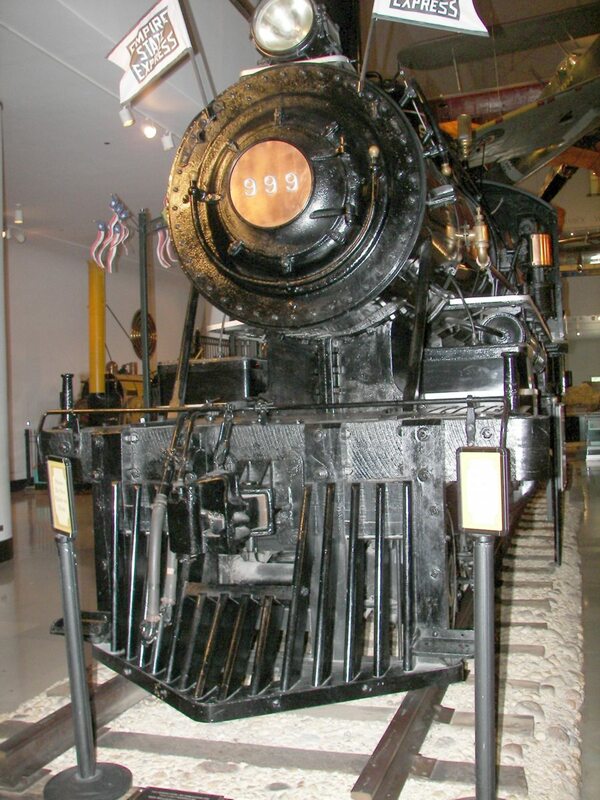 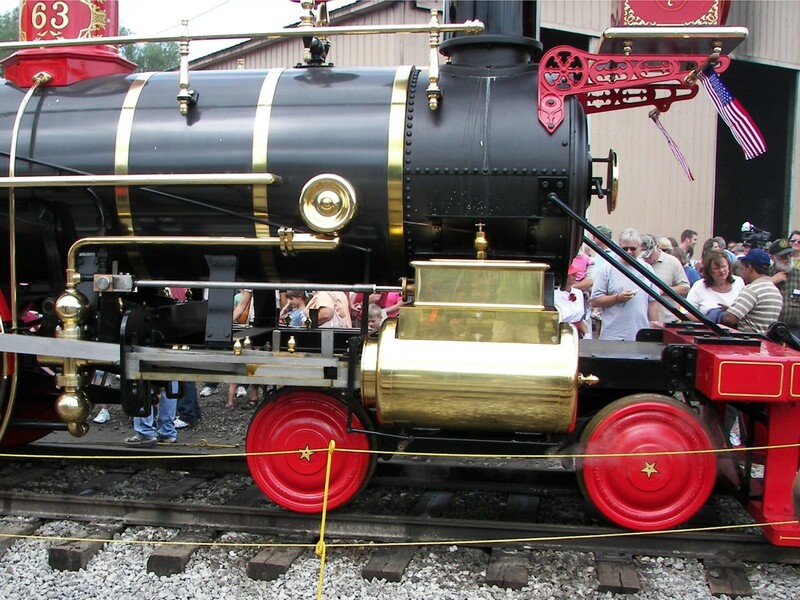 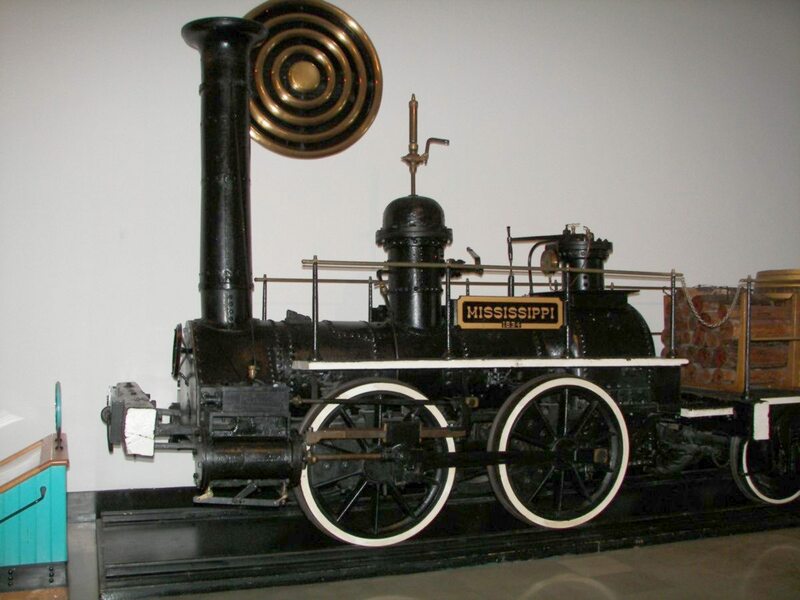 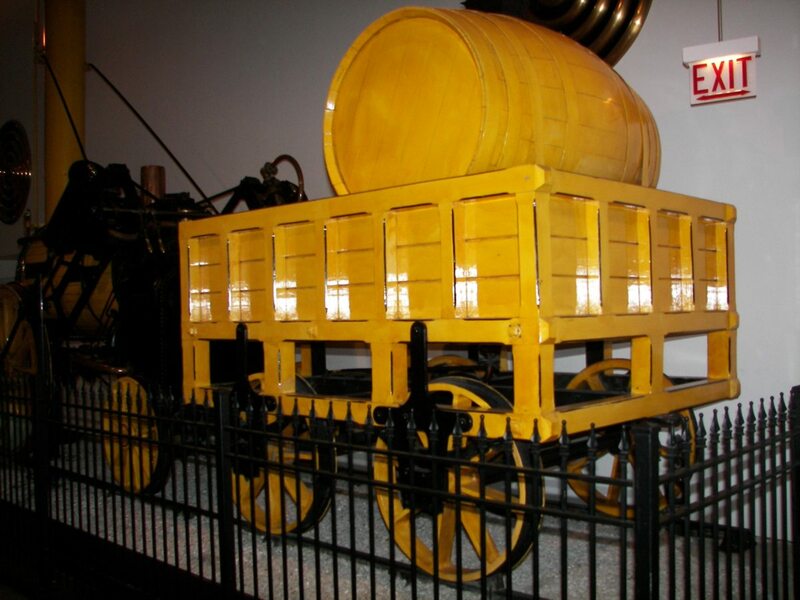 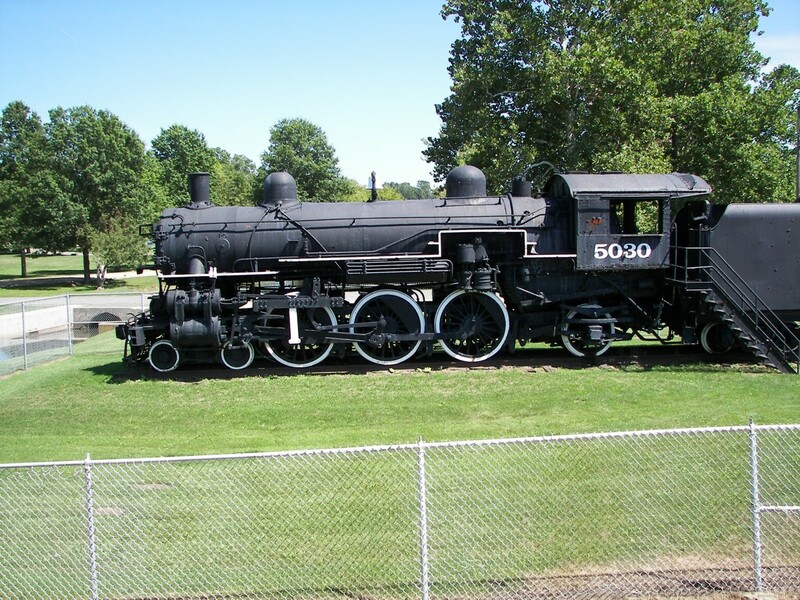 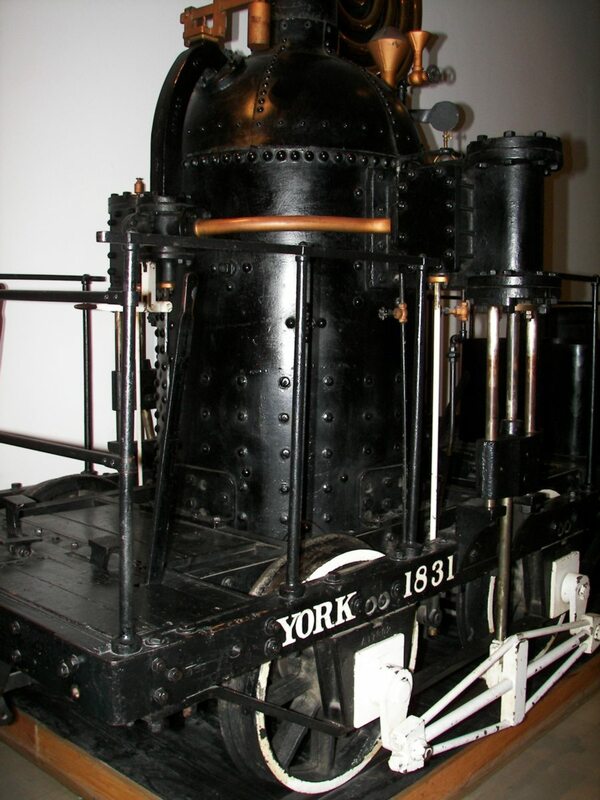 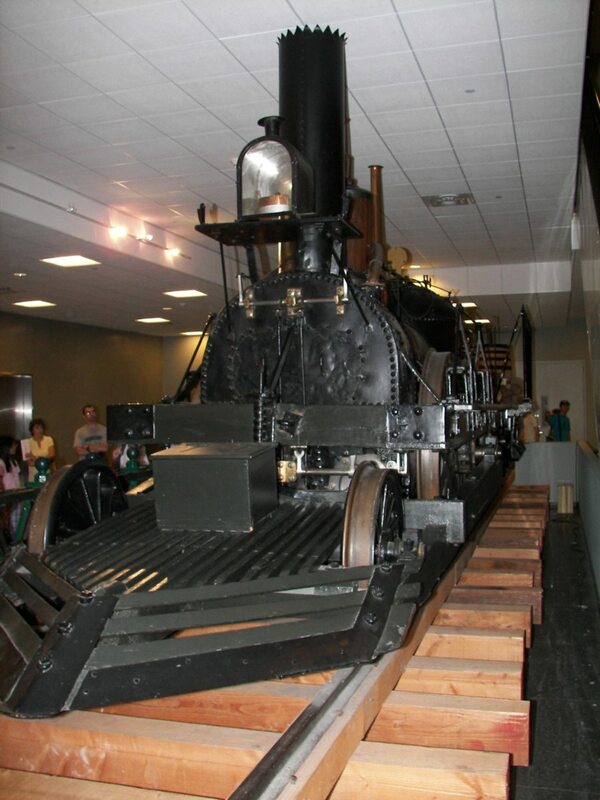 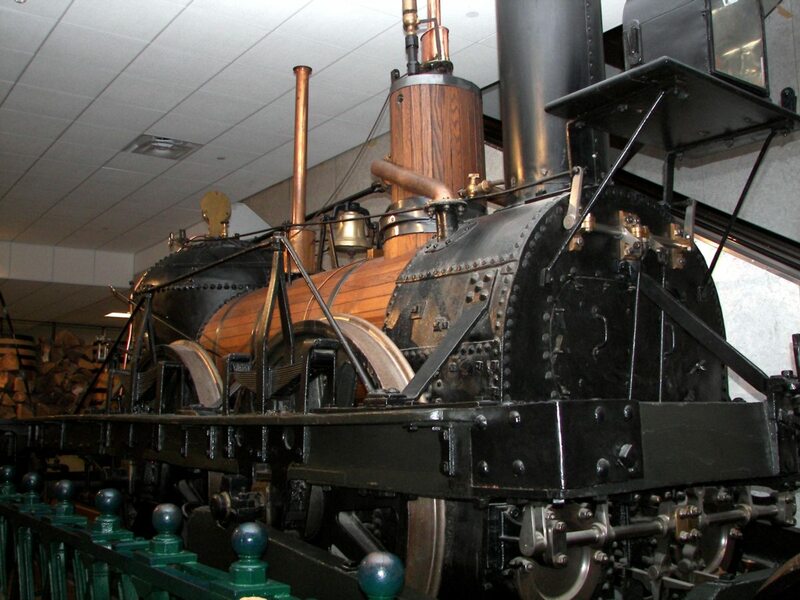 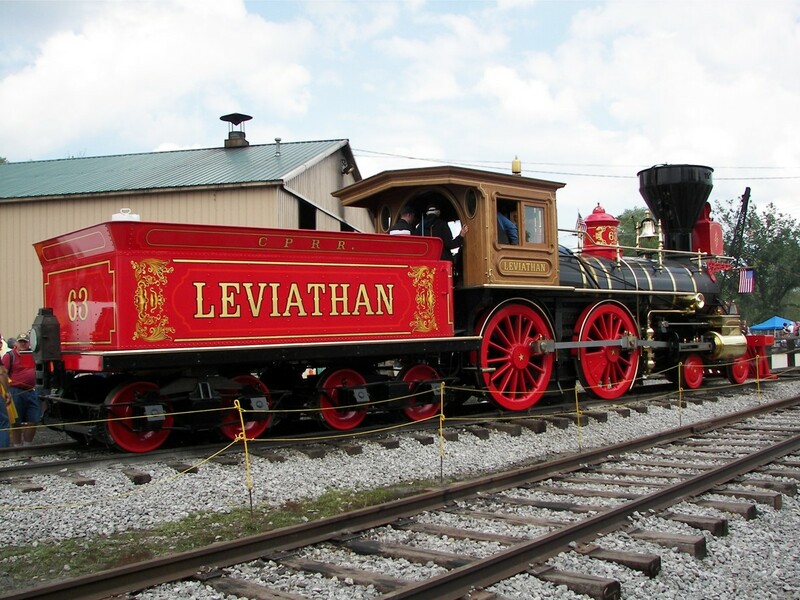 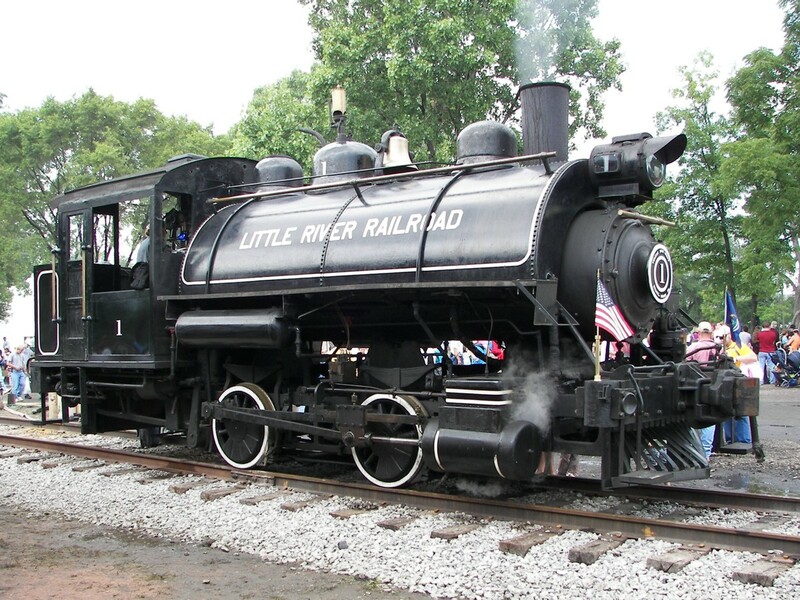 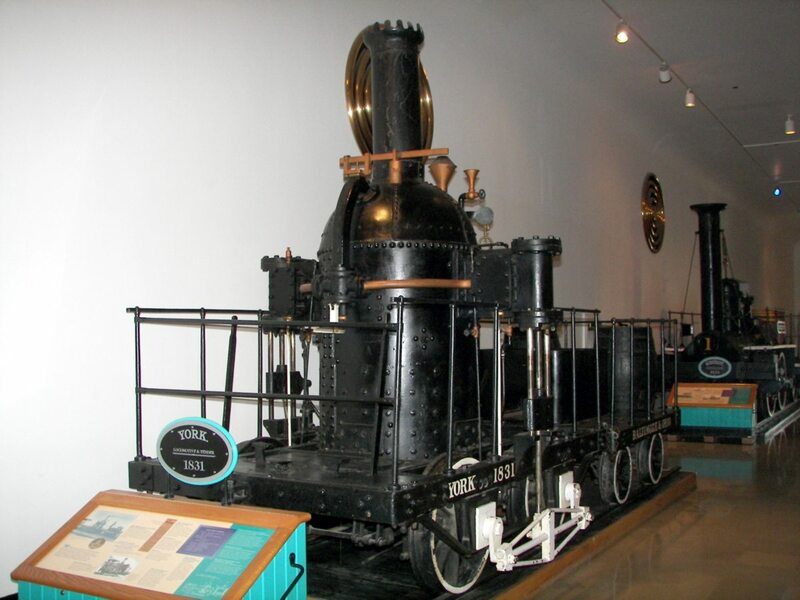 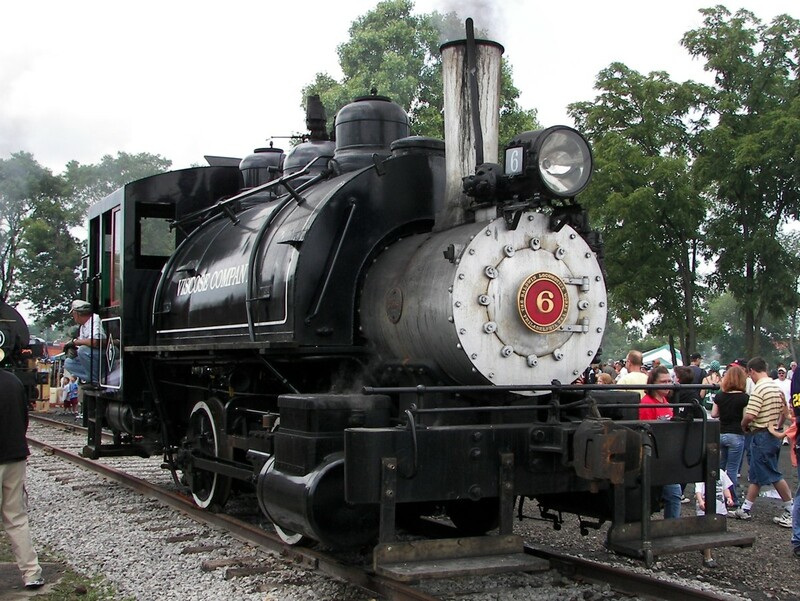 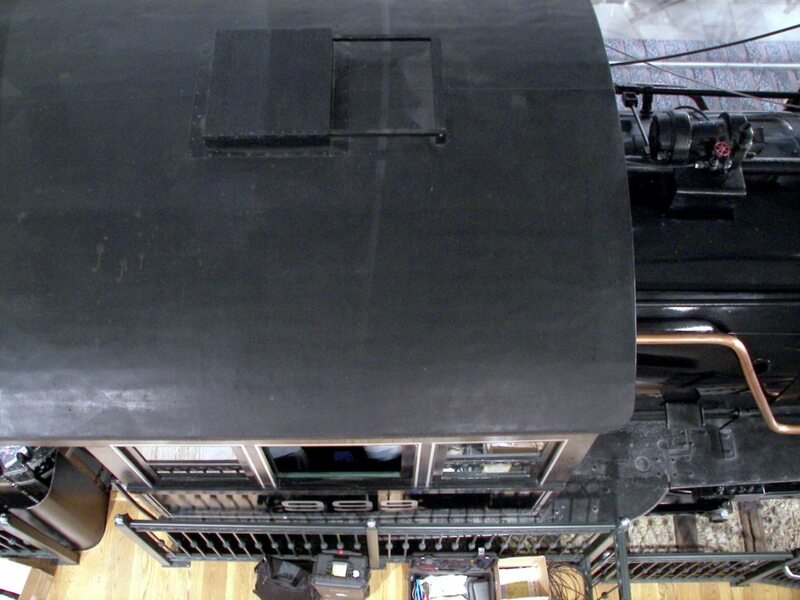 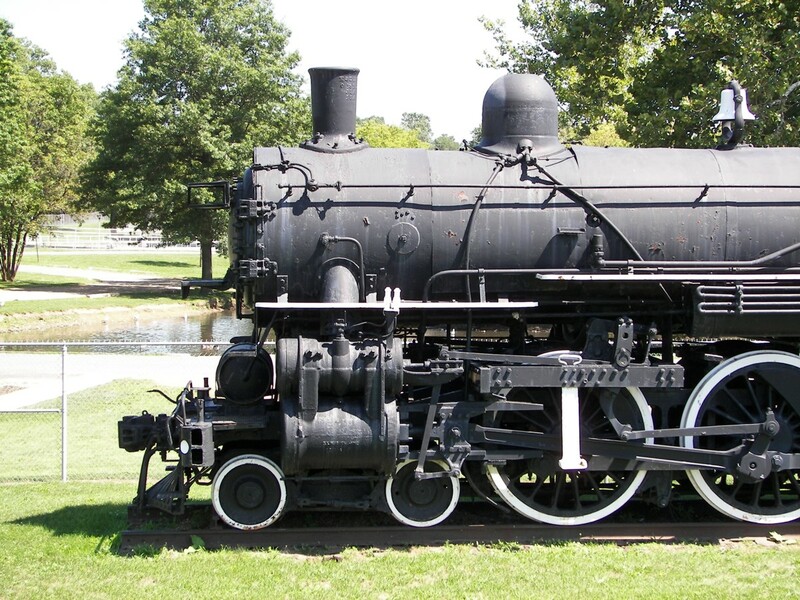 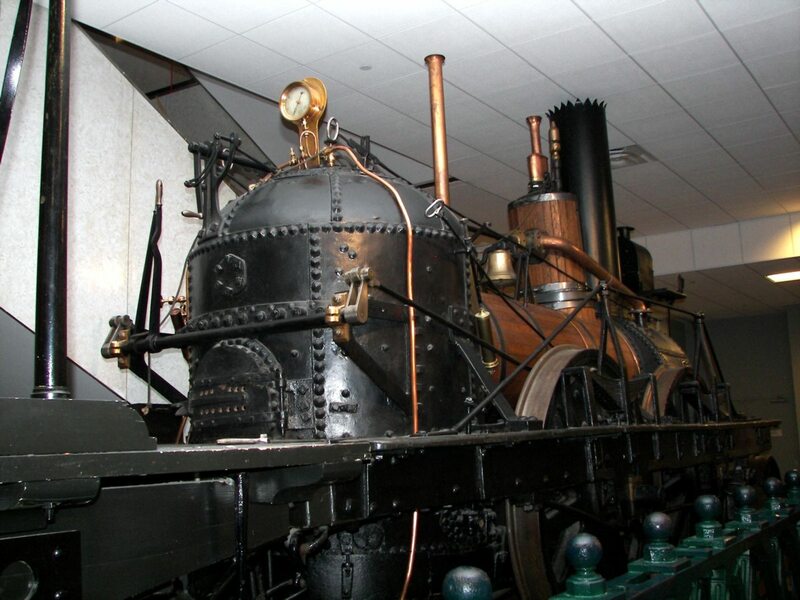 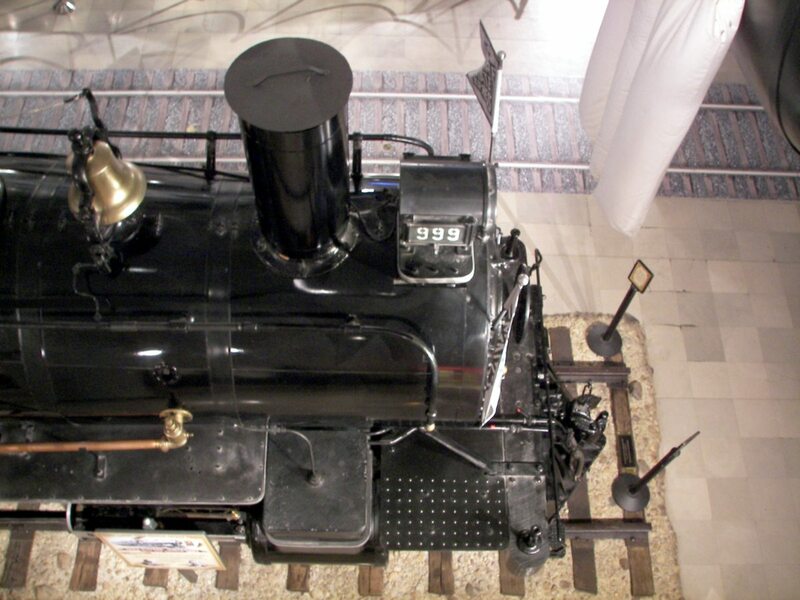 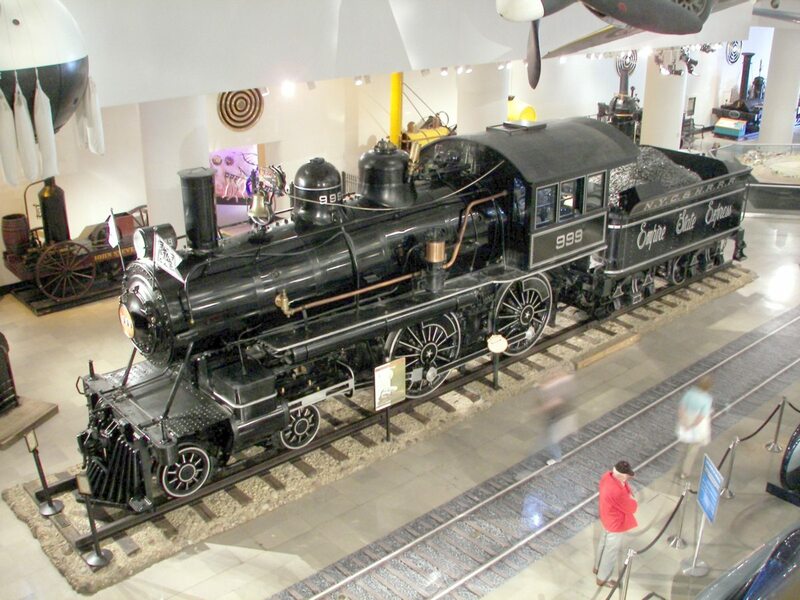 The locomotive is currently displayed in Jackson, Michigan. 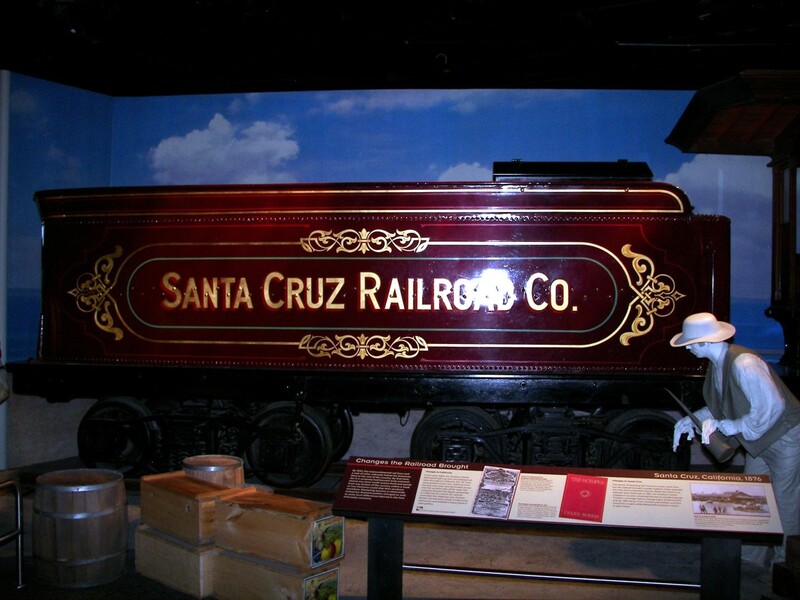 A great gift idea for model railroaders and train enthusiasts! 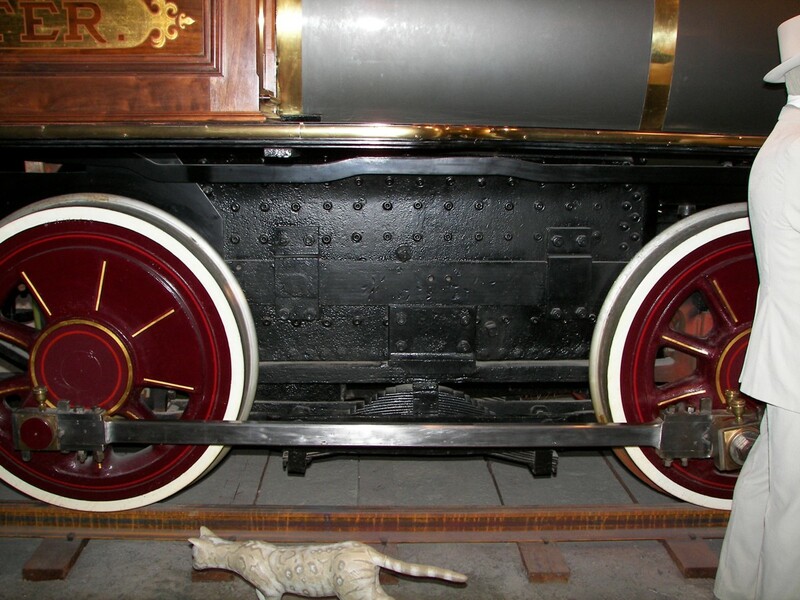 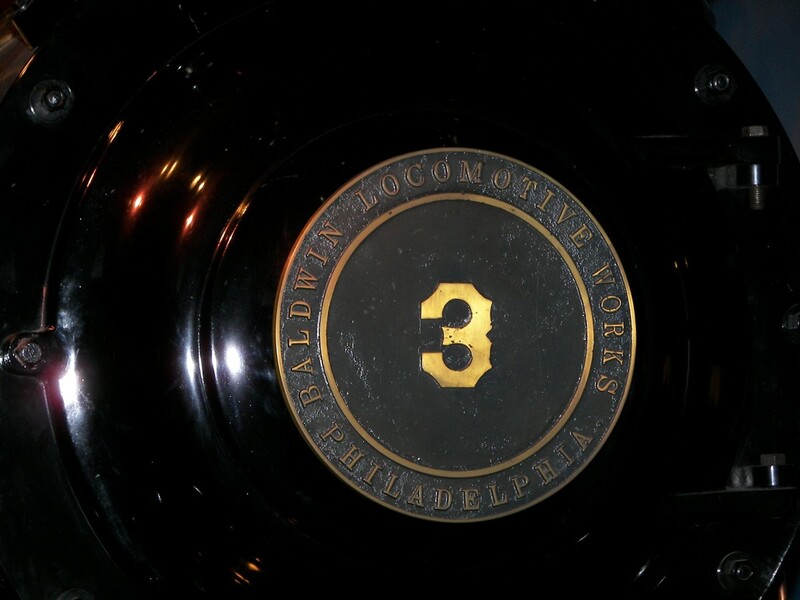 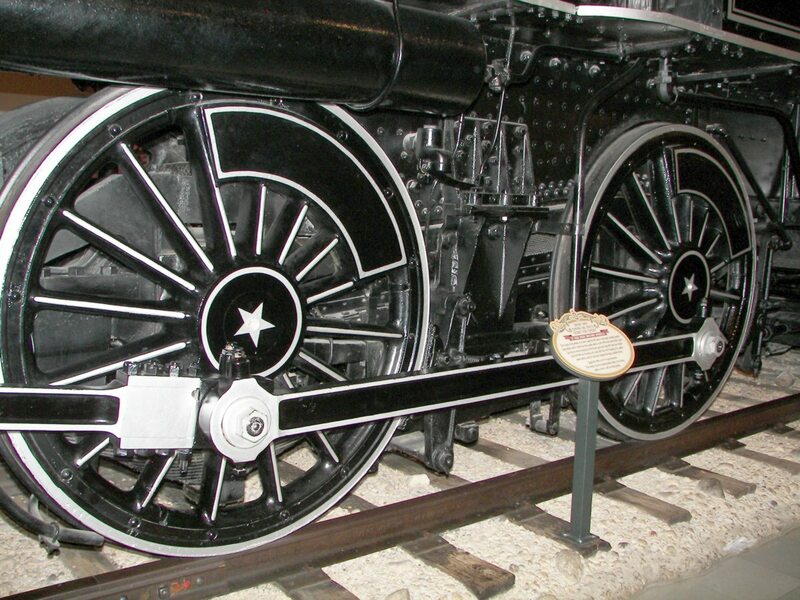 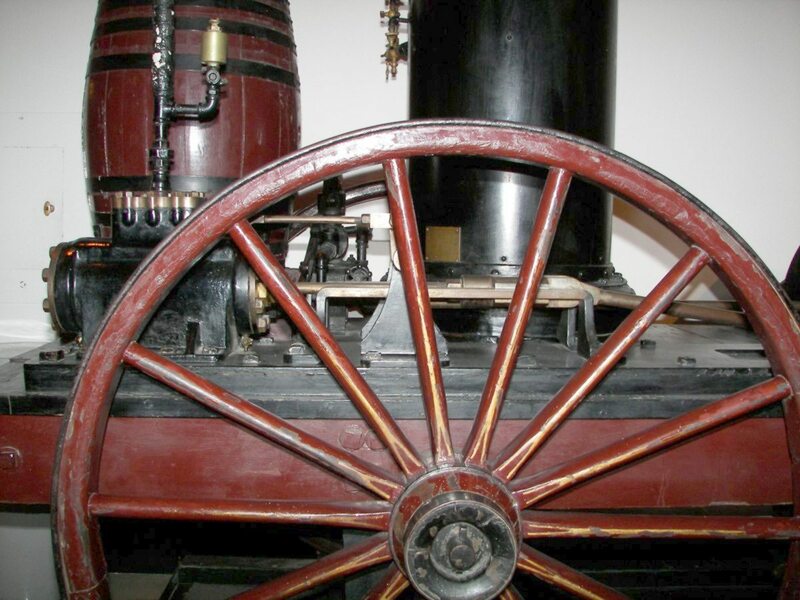 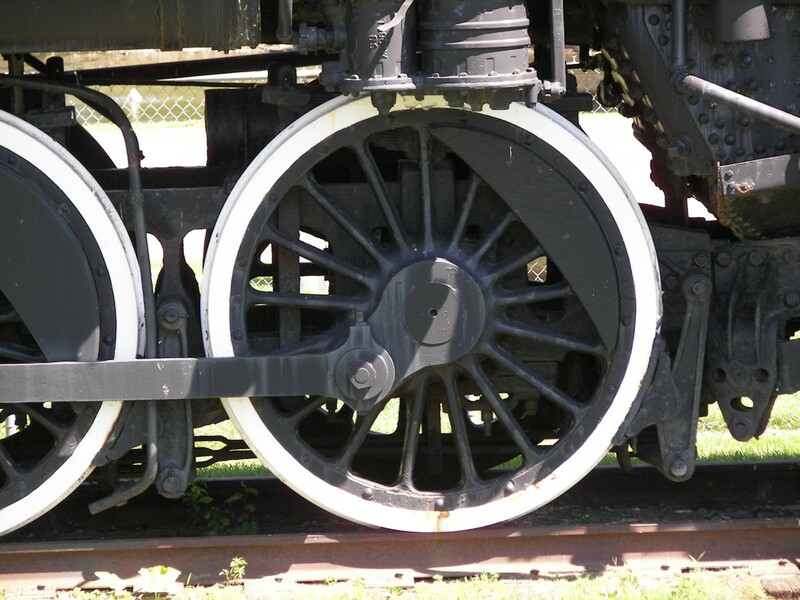 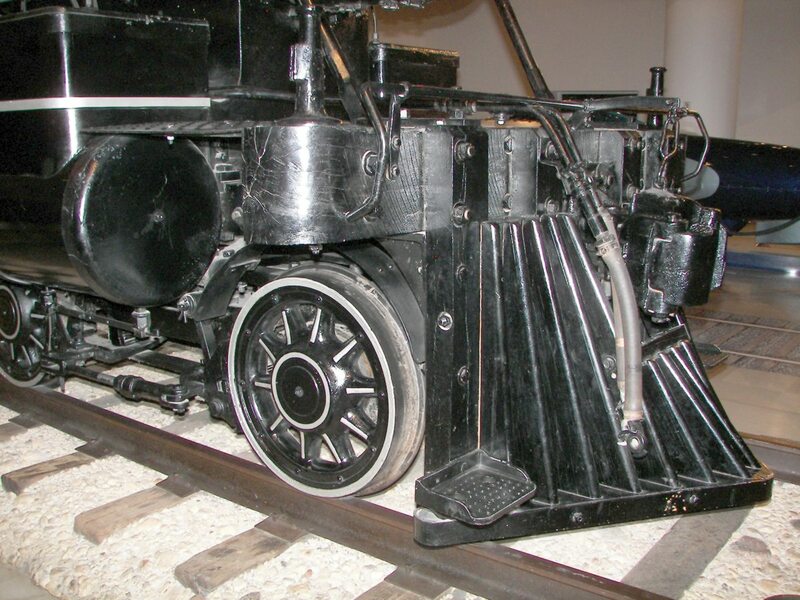 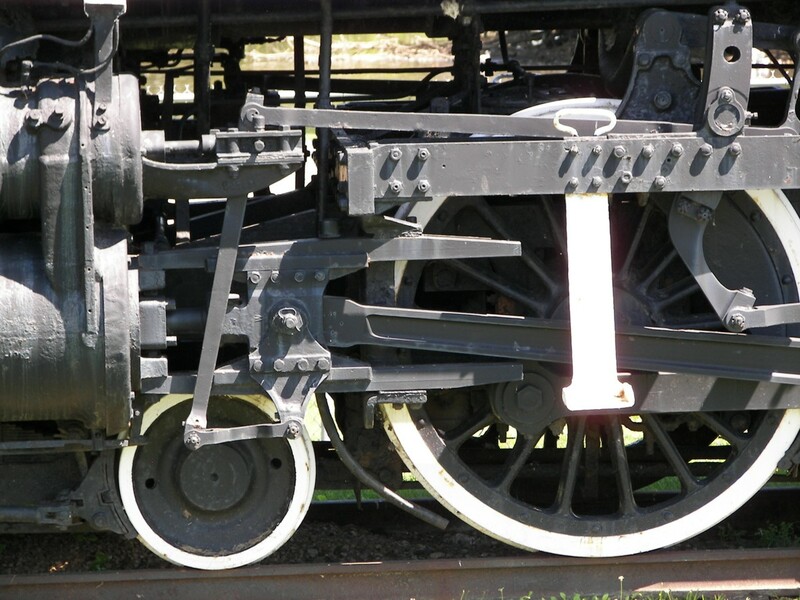 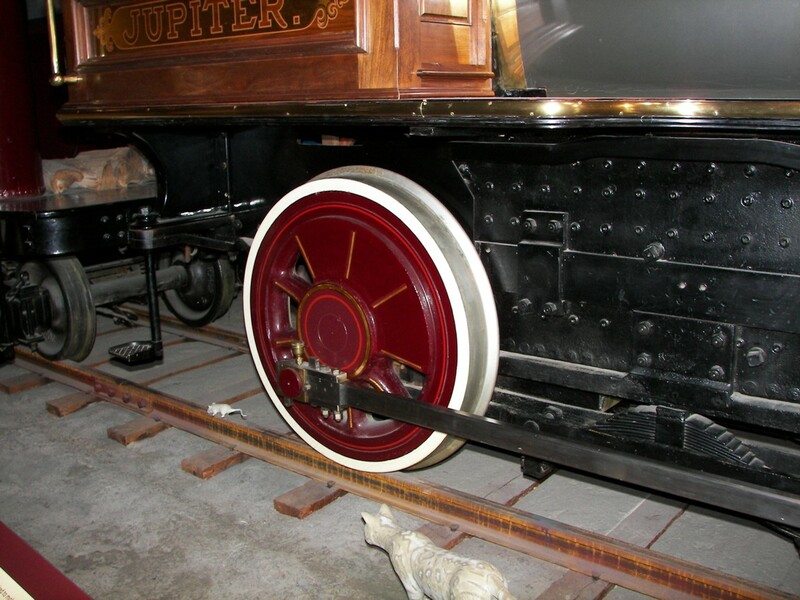 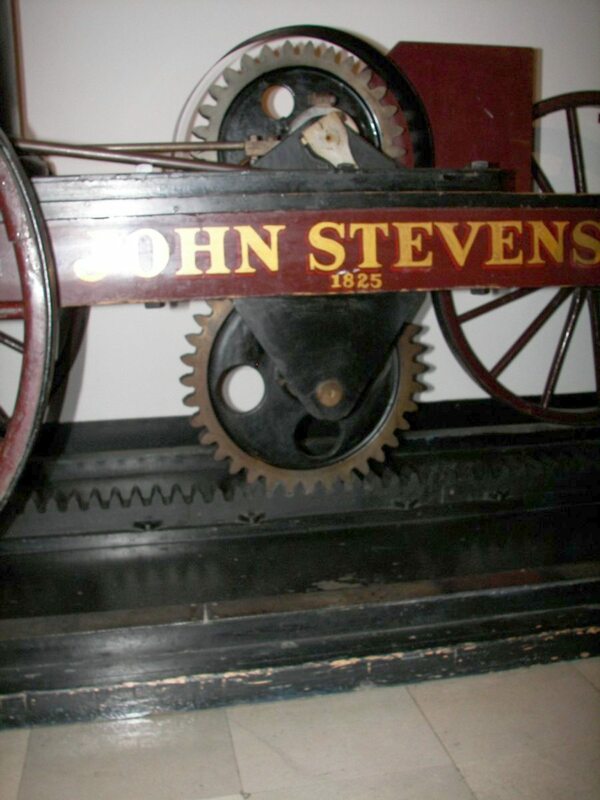 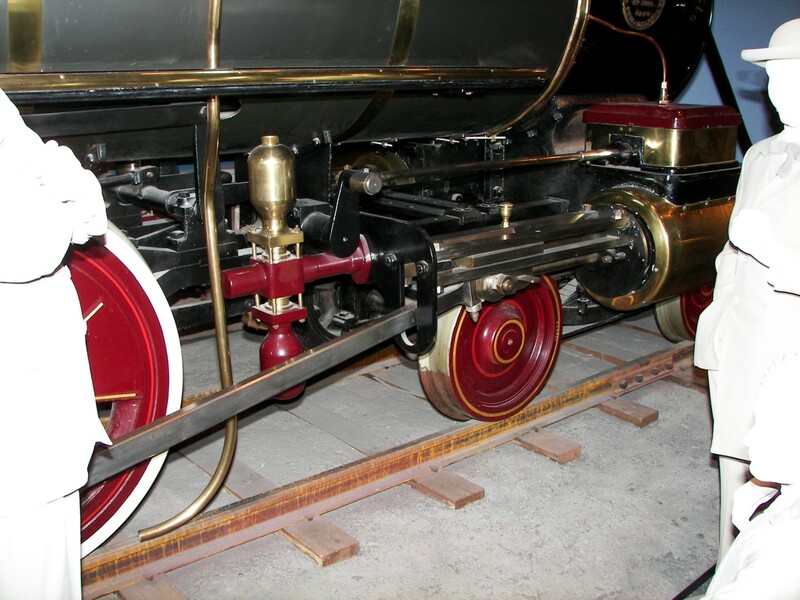 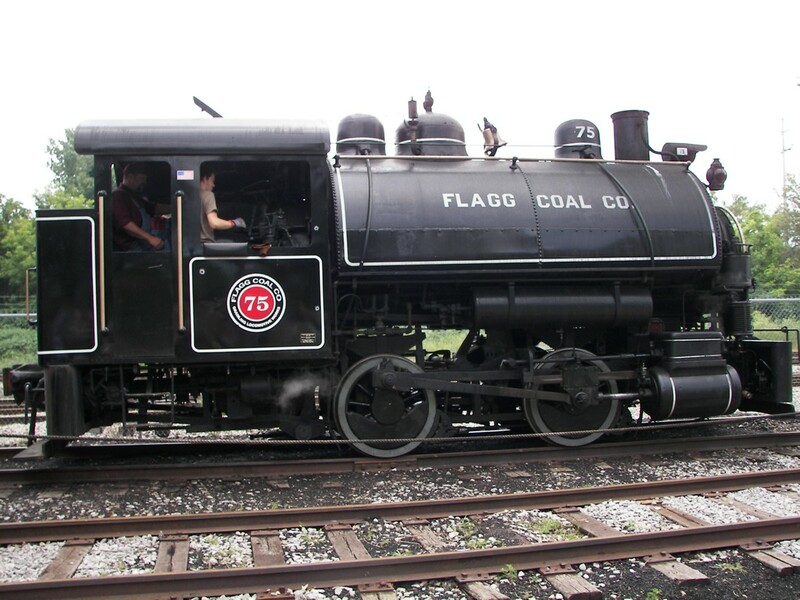 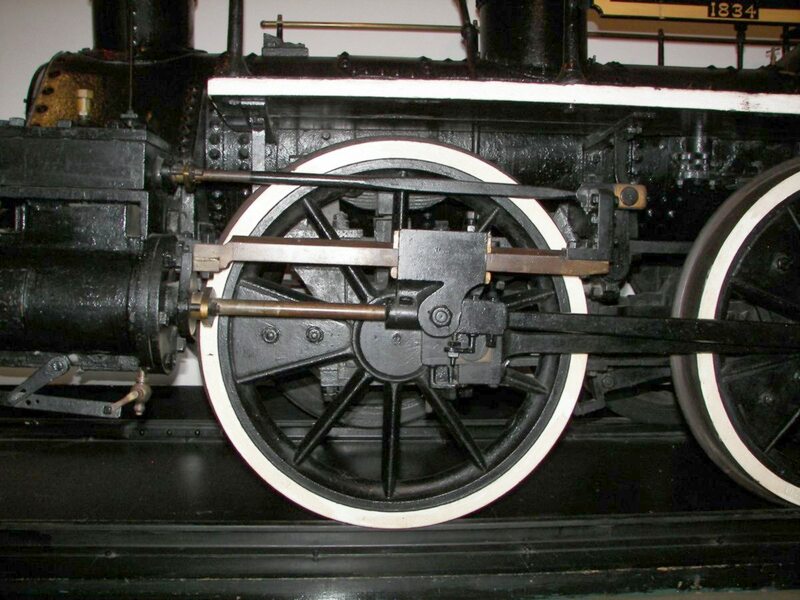 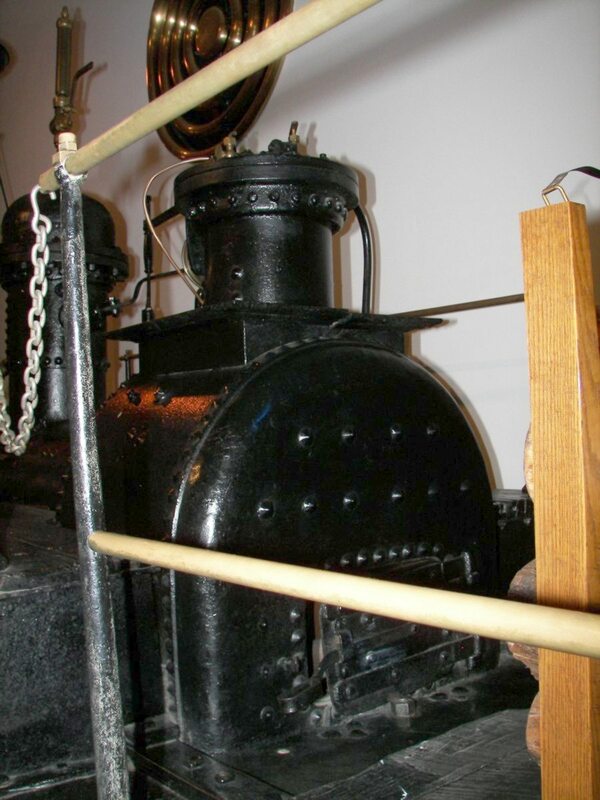 0-4-0 locomotives have four coupled drive wheels, and no lead or trailing wheels. 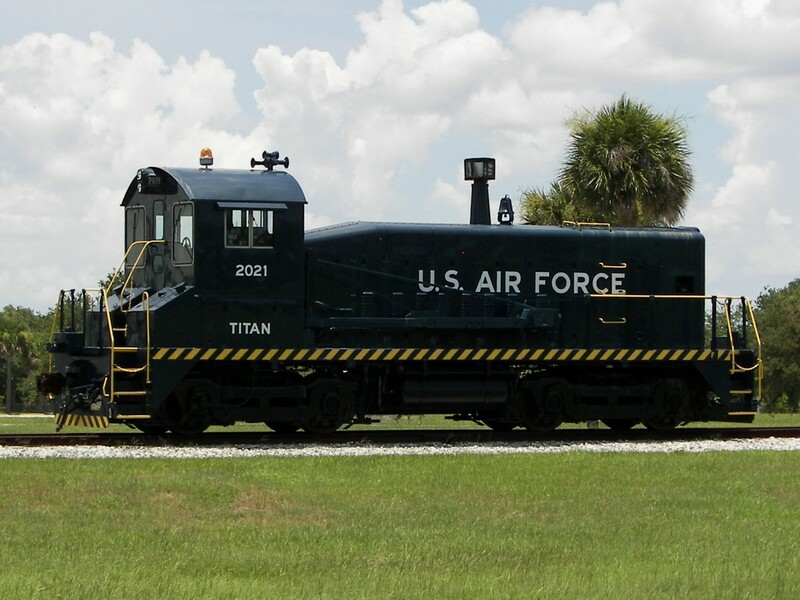 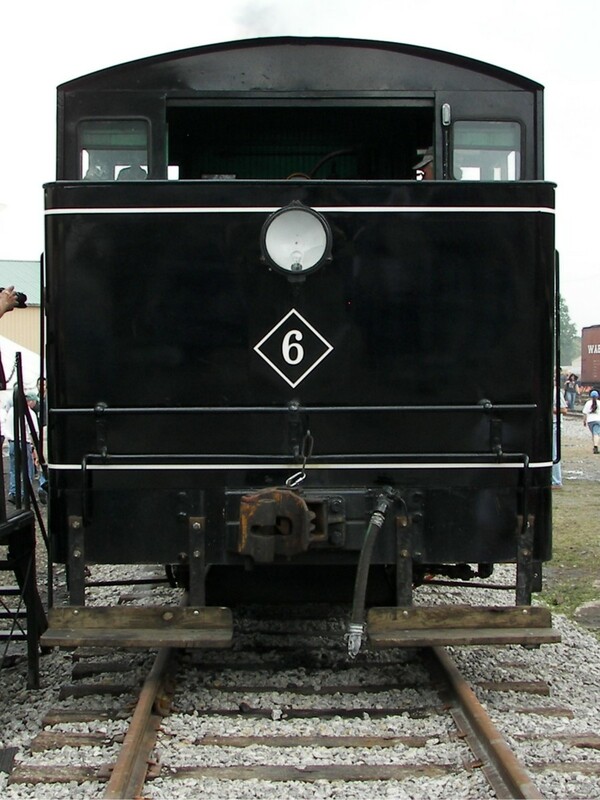 The "T" in the designation indicates that the unit is a "Tank" locomotive. 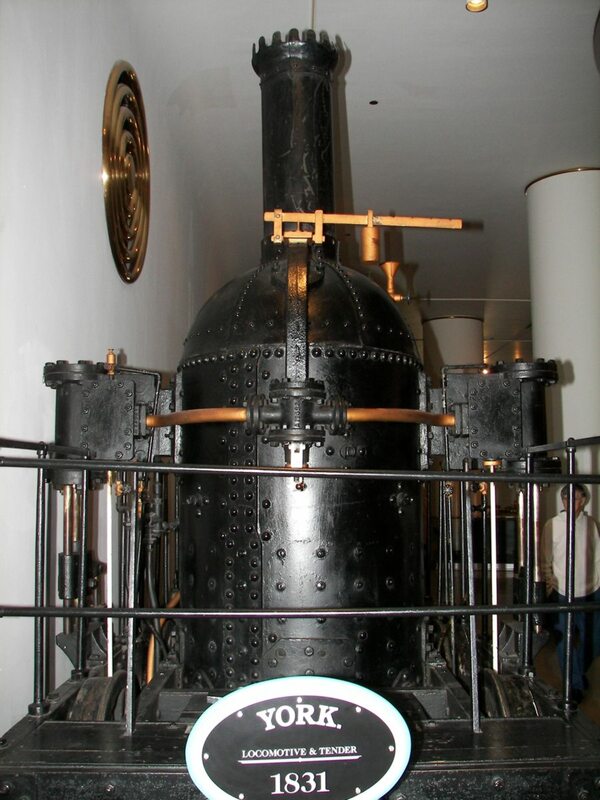 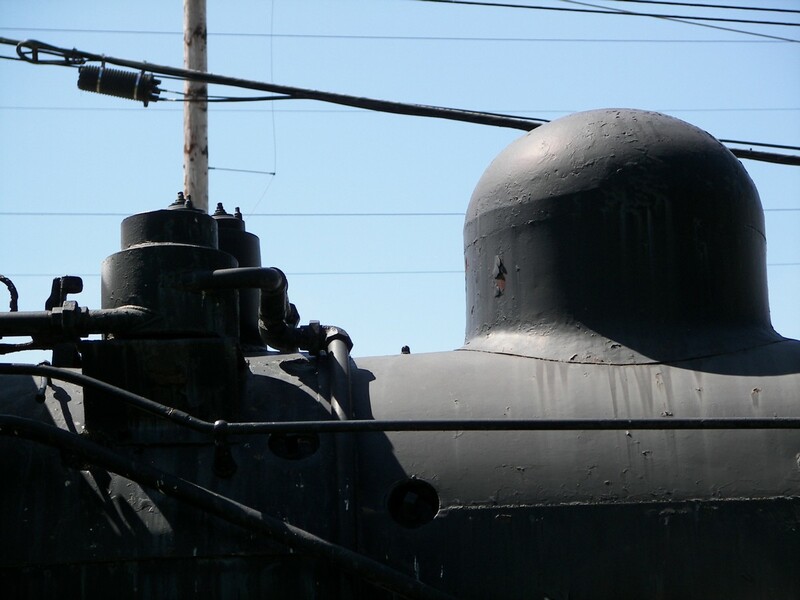 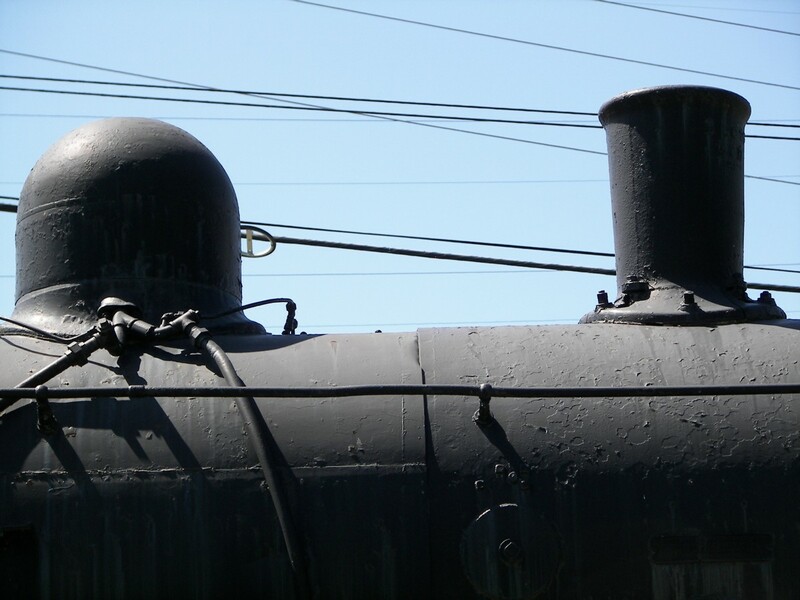 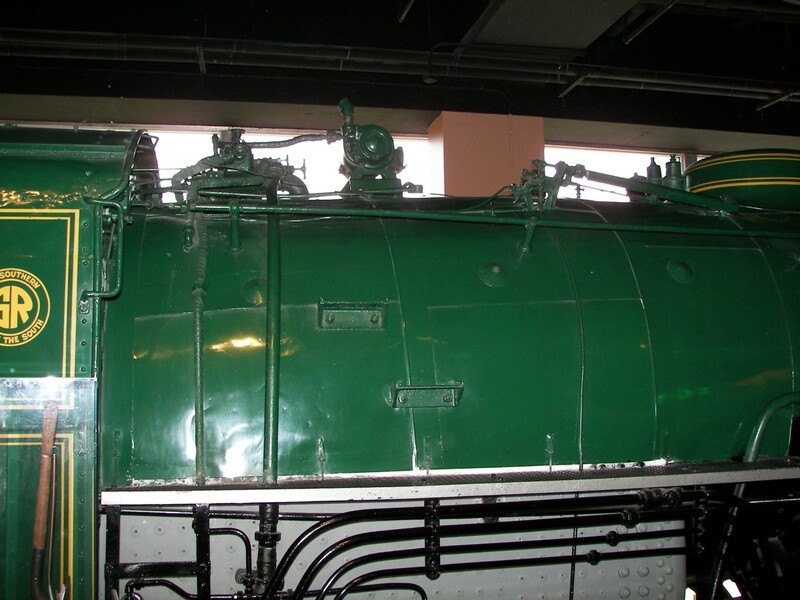 Tank locomotives do not use a tender, as the water and fuel are carried on the locomotive itself. 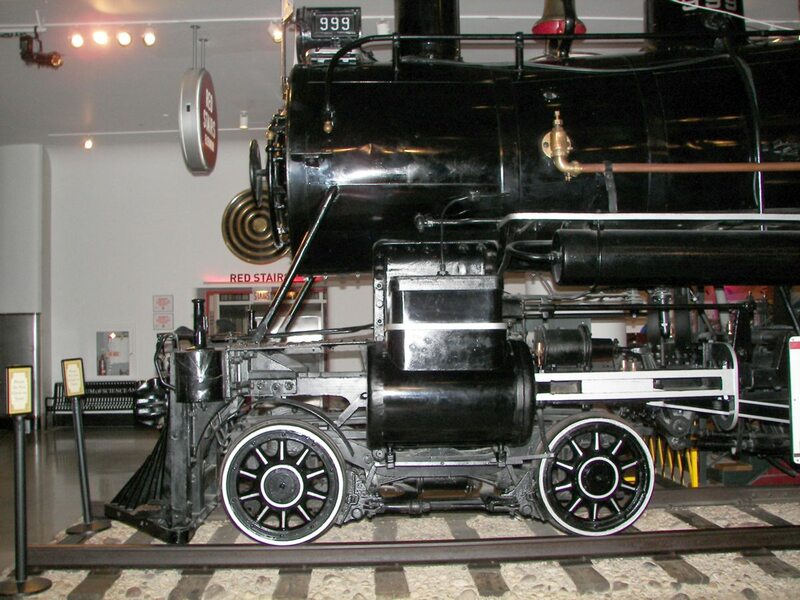 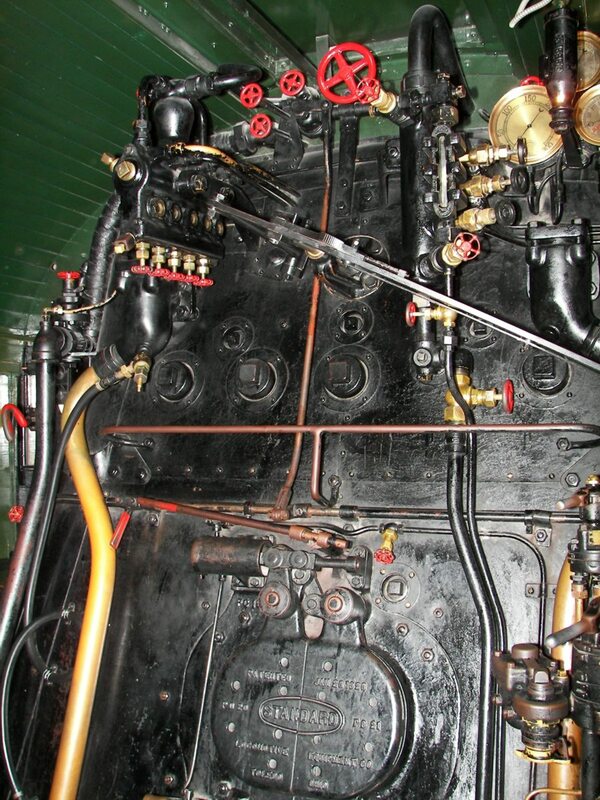 0-4-0T locomotives are optimized for use as switchers. 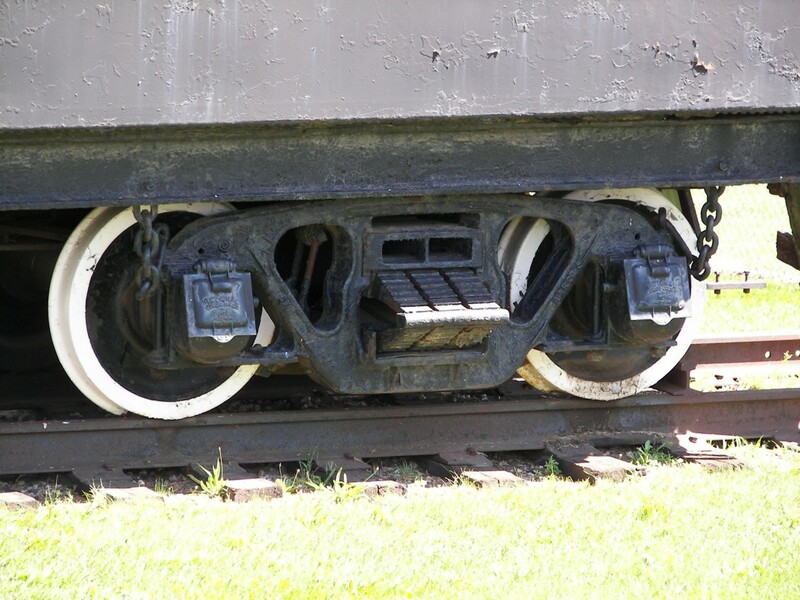 With all wheels being coupled drive wheels, all the locomotives weight can be used for traction. 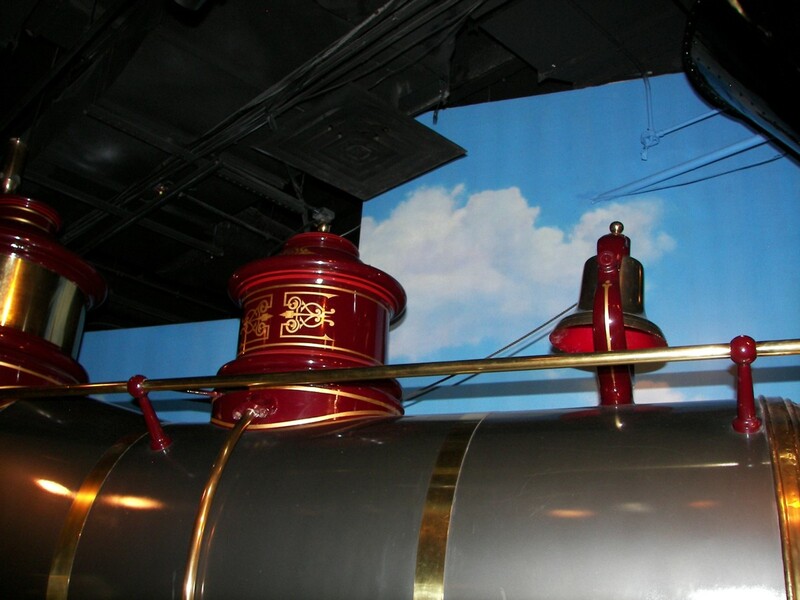 Without a tender, the locomotive can travel equally well in either direction. 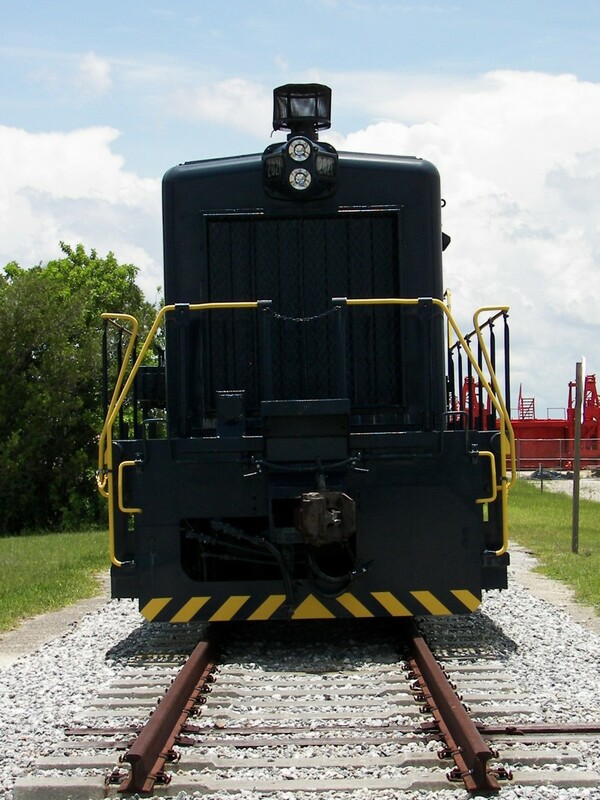 MP36PH-3S locomotives are manufactured by MotivePower. 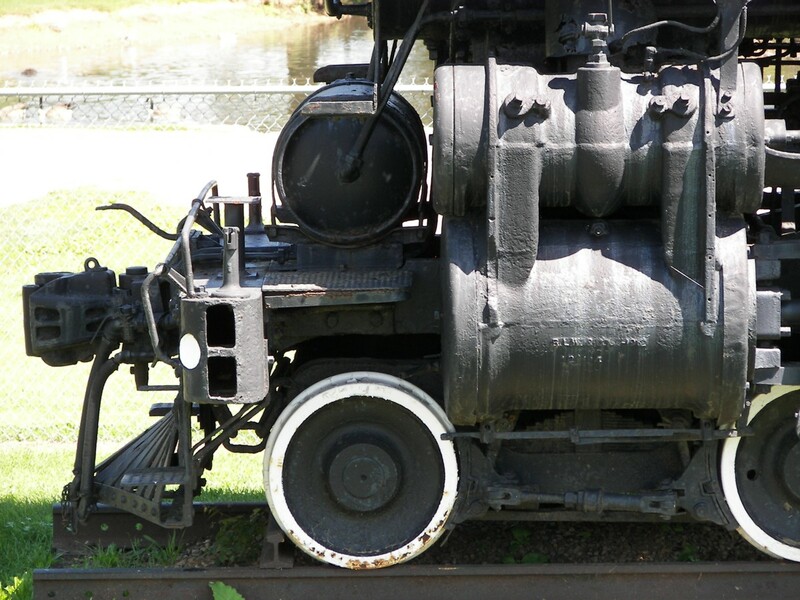 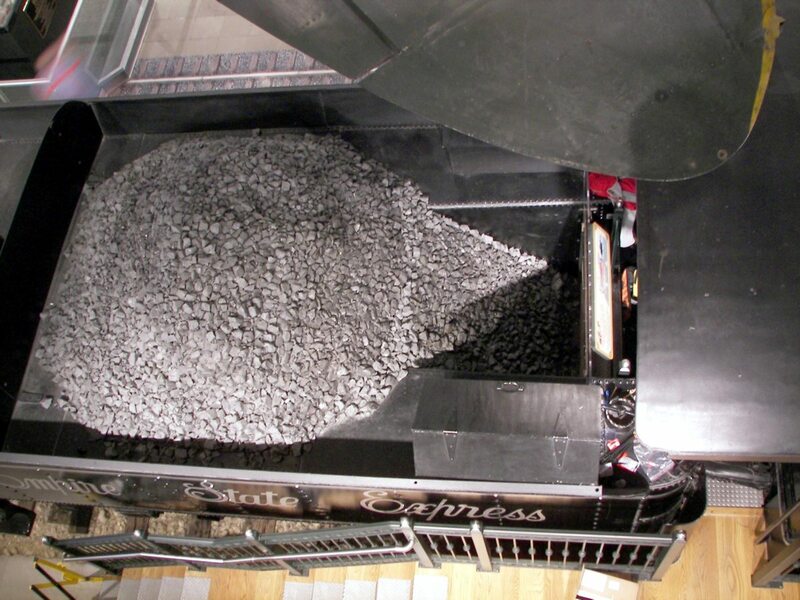 A 16 cylinder diesel engine provides traction power as well as HEP (Head End Power). 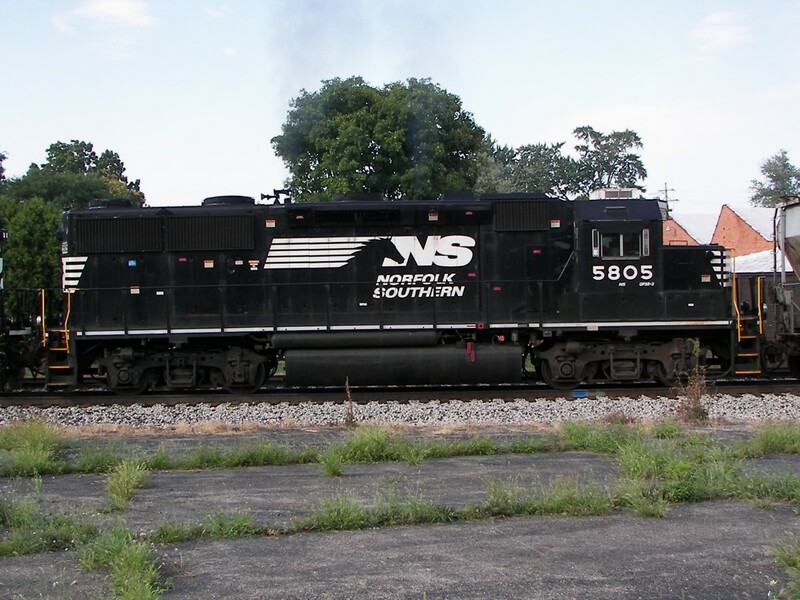 Of the 3600HP produced, 2930HP is available for traction. 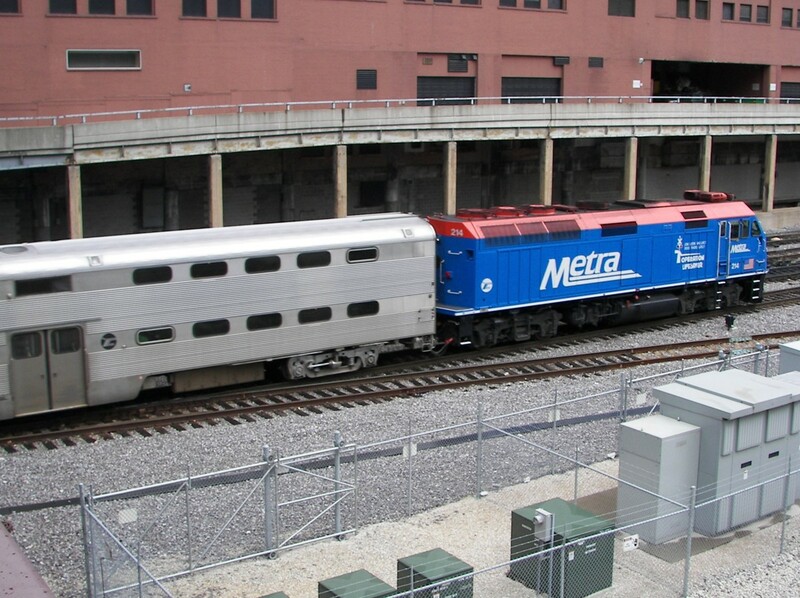 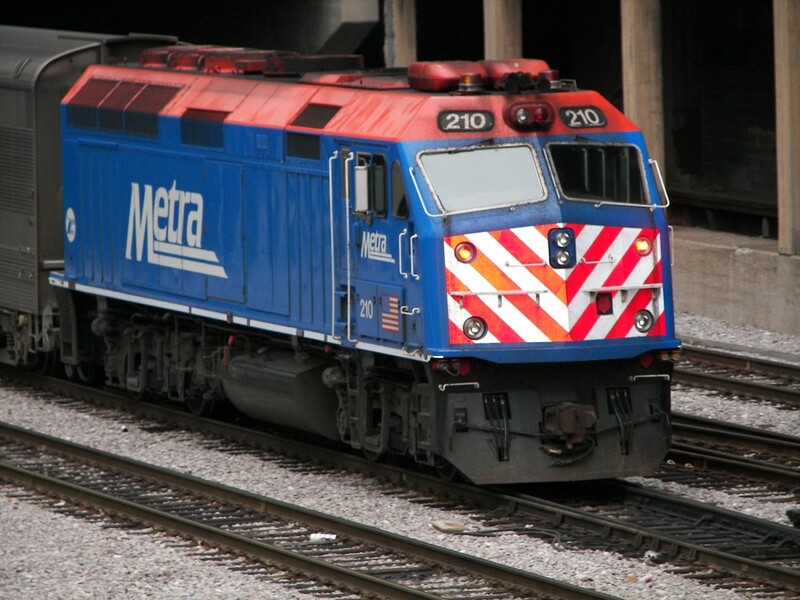 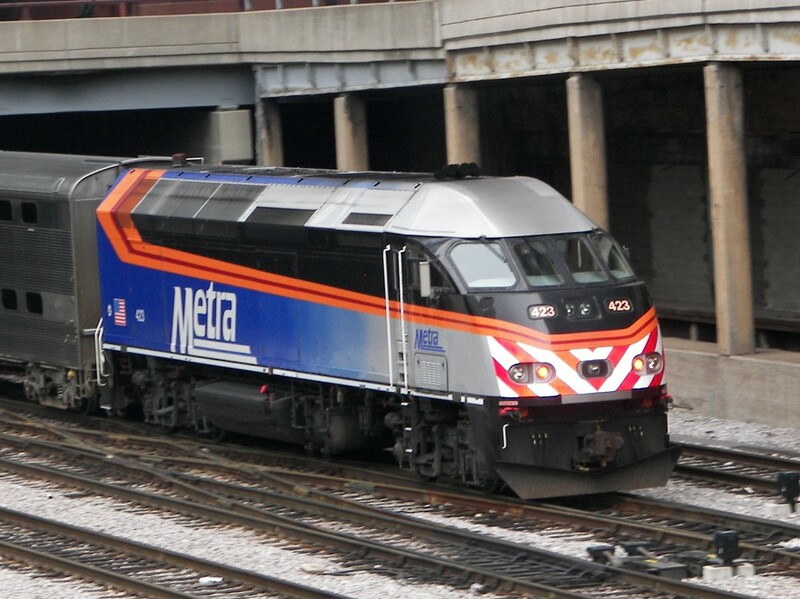 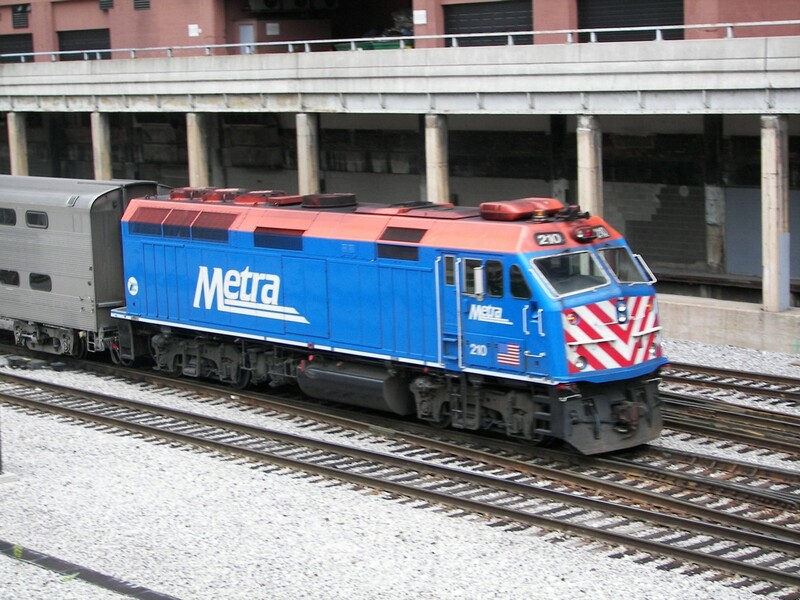 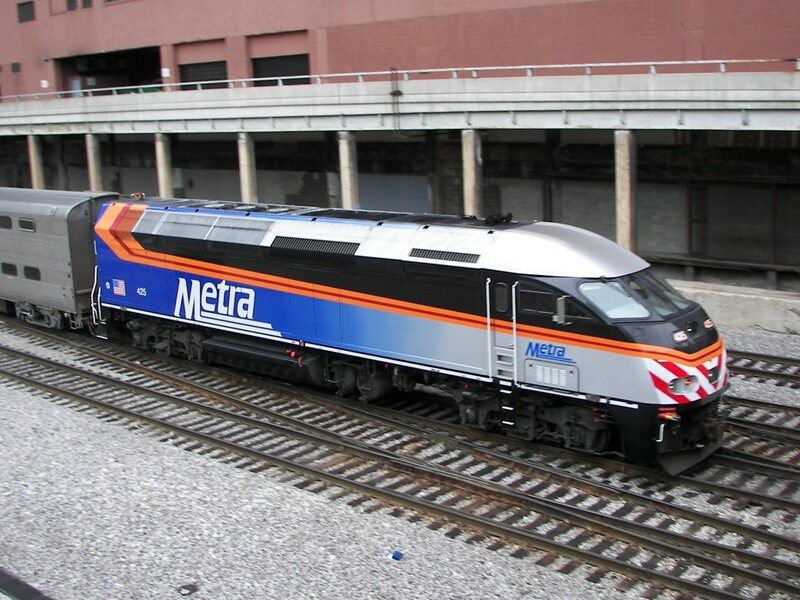 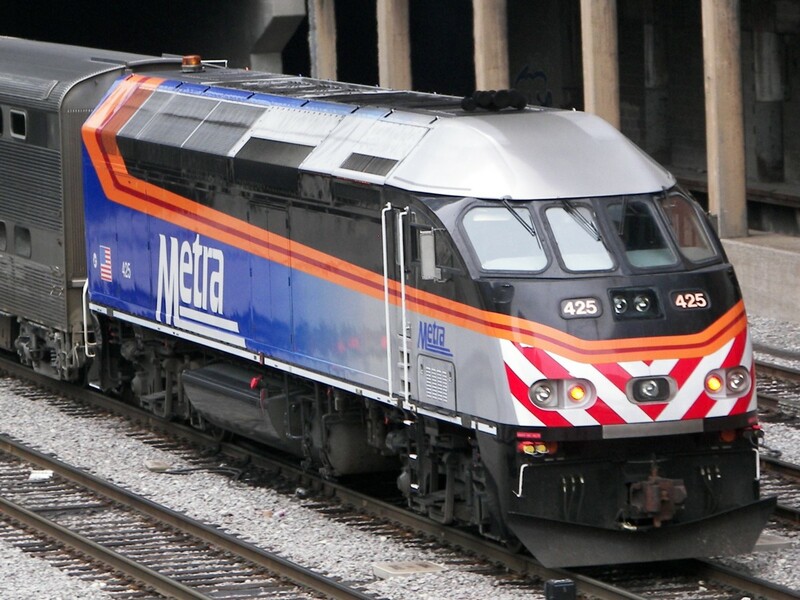 Chicago Metra purchased 27 of these units during 2003 and 2004. 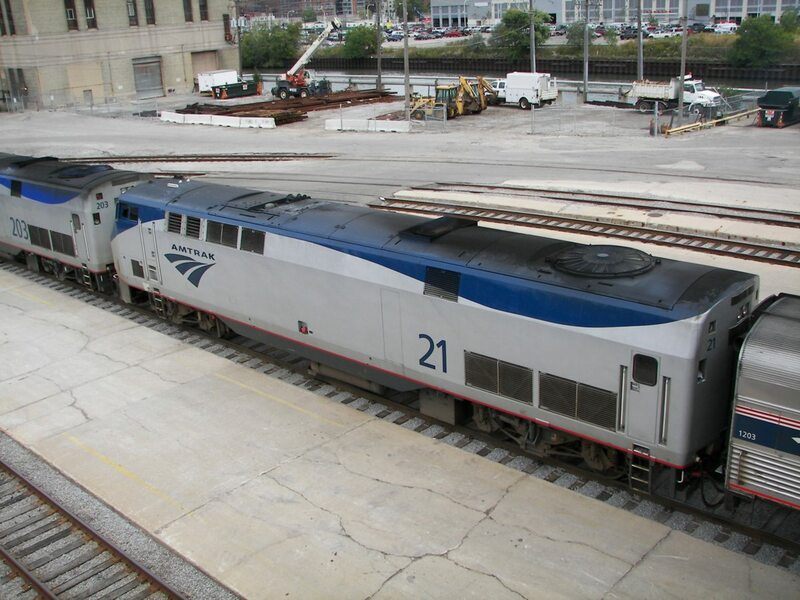 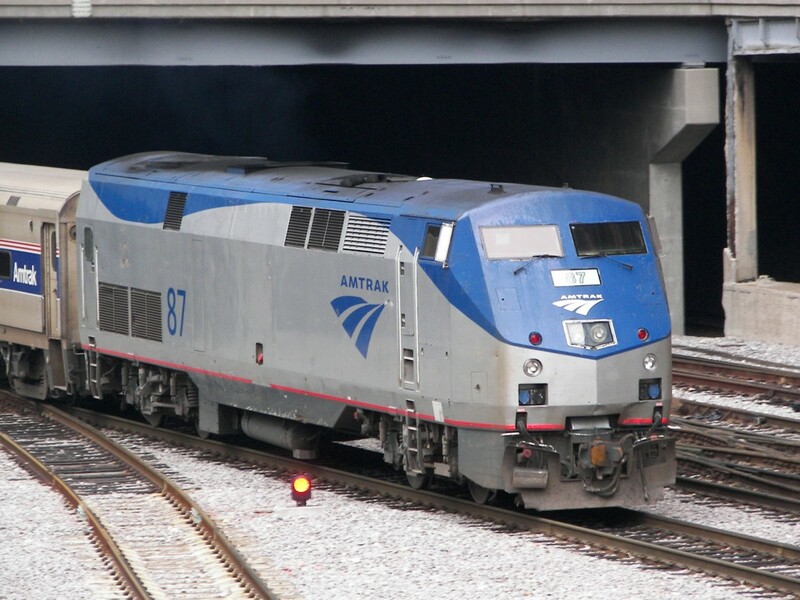 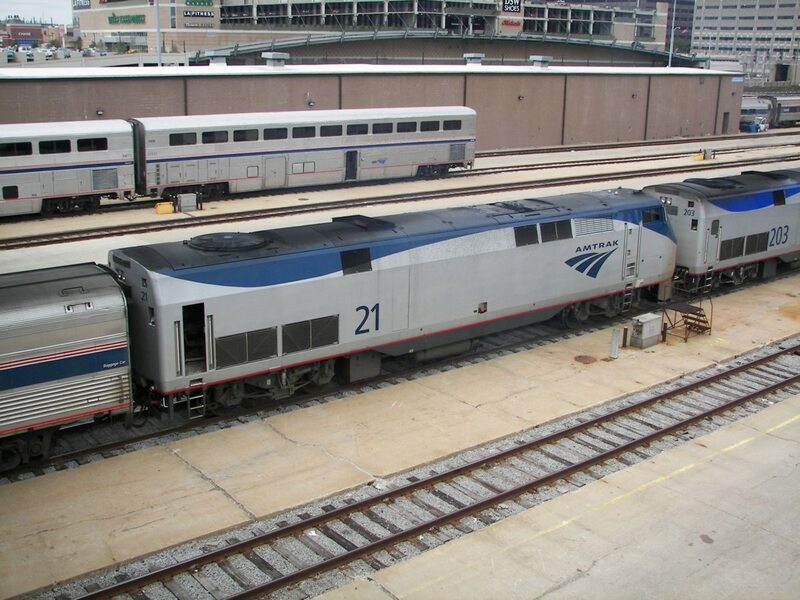 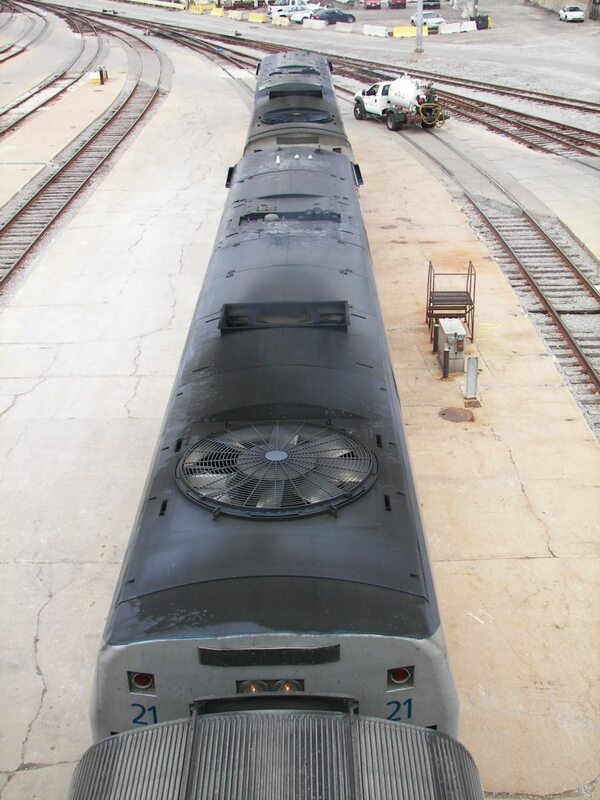 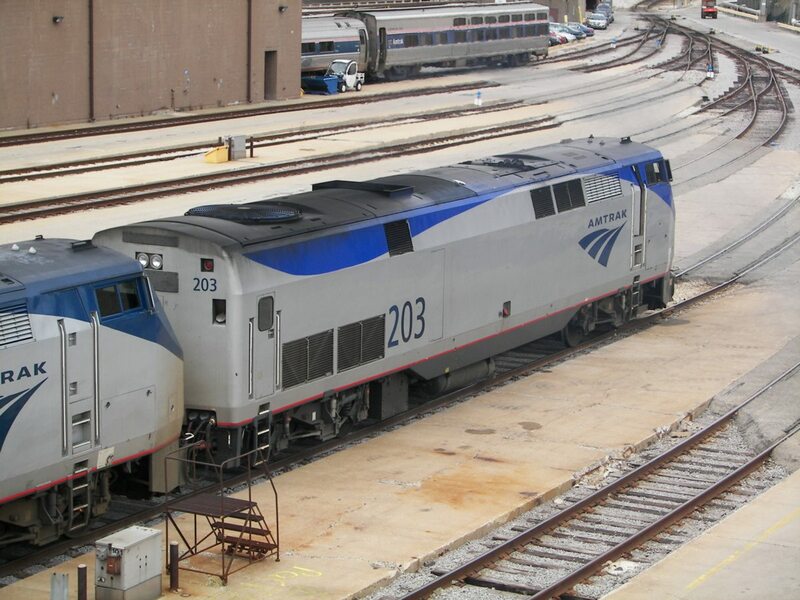 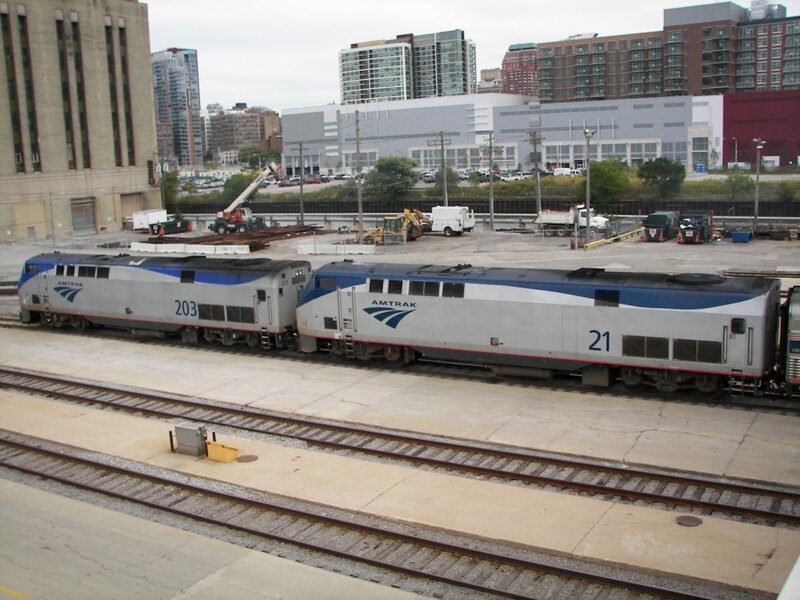 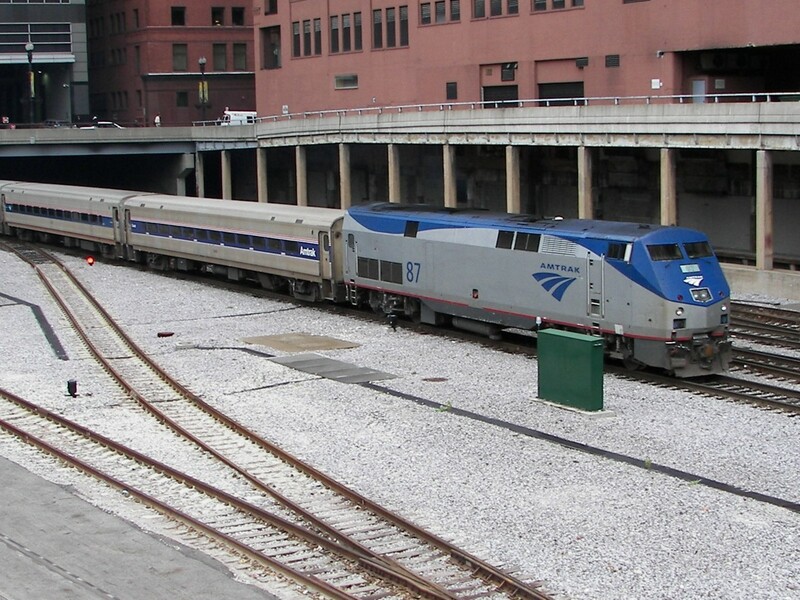 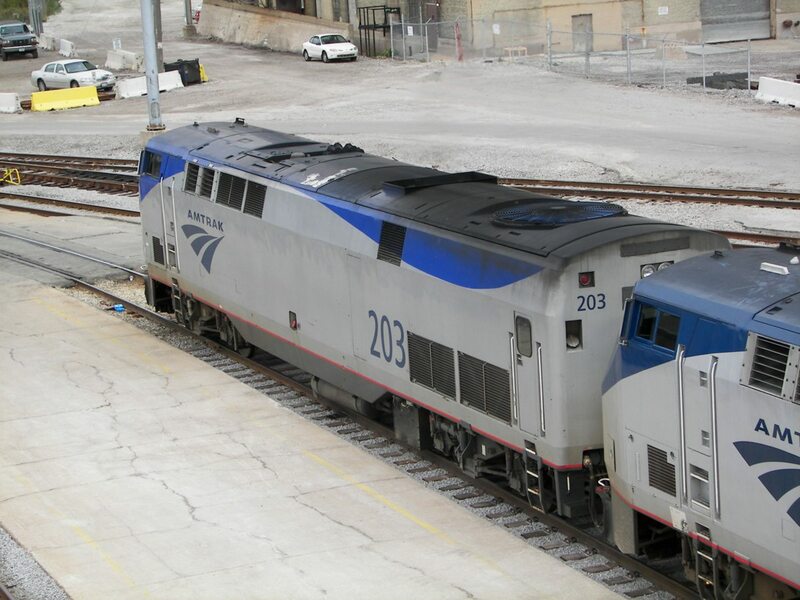 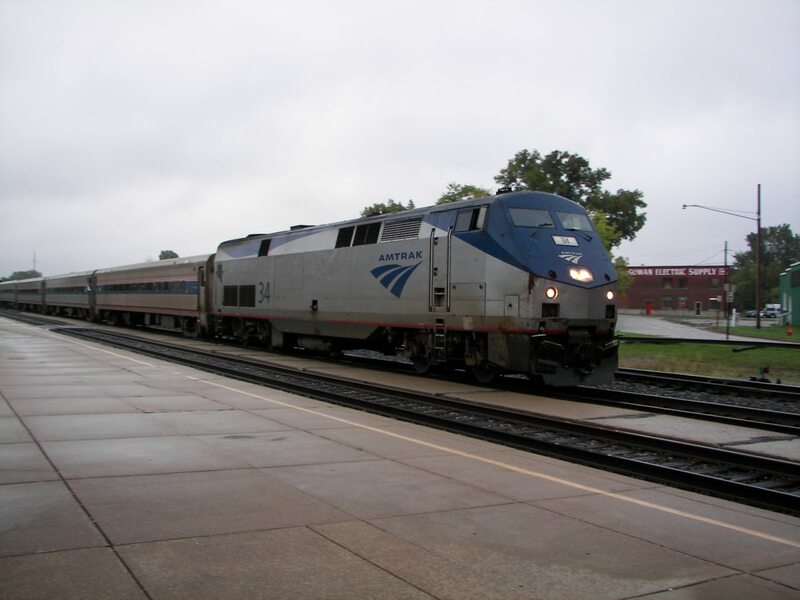 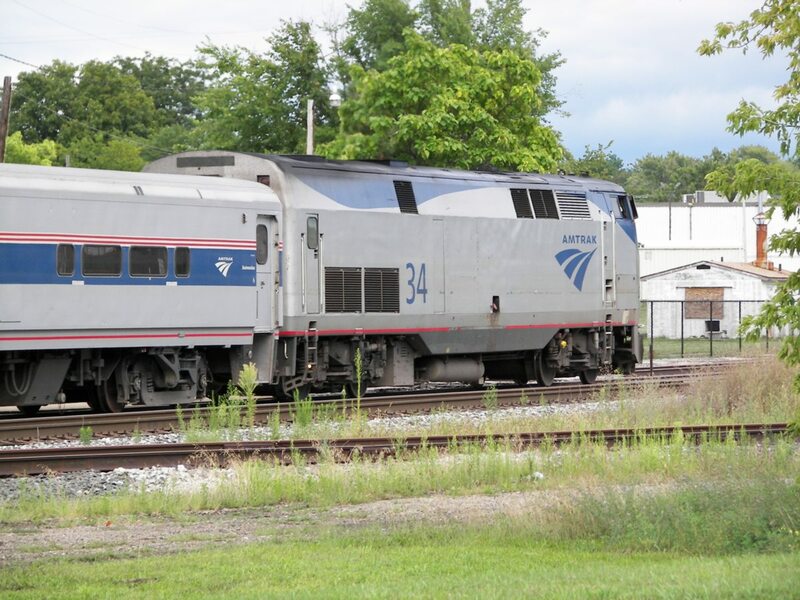 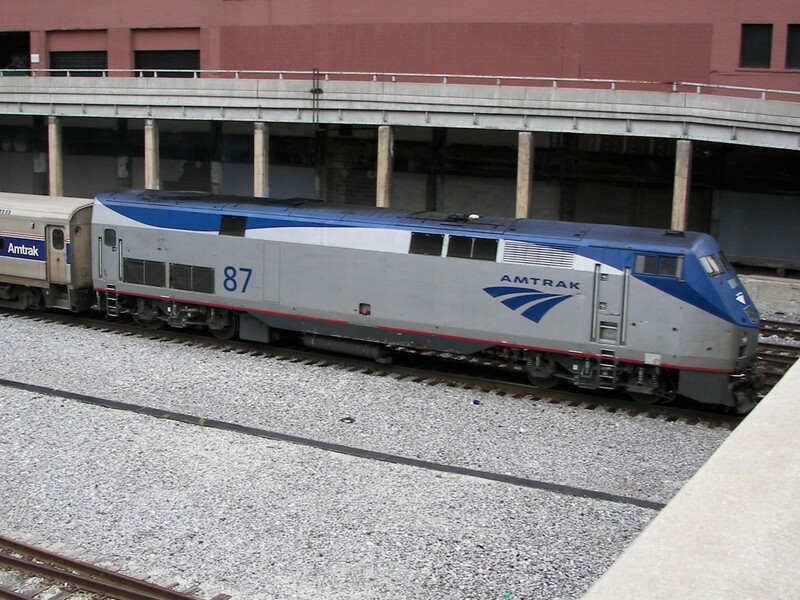 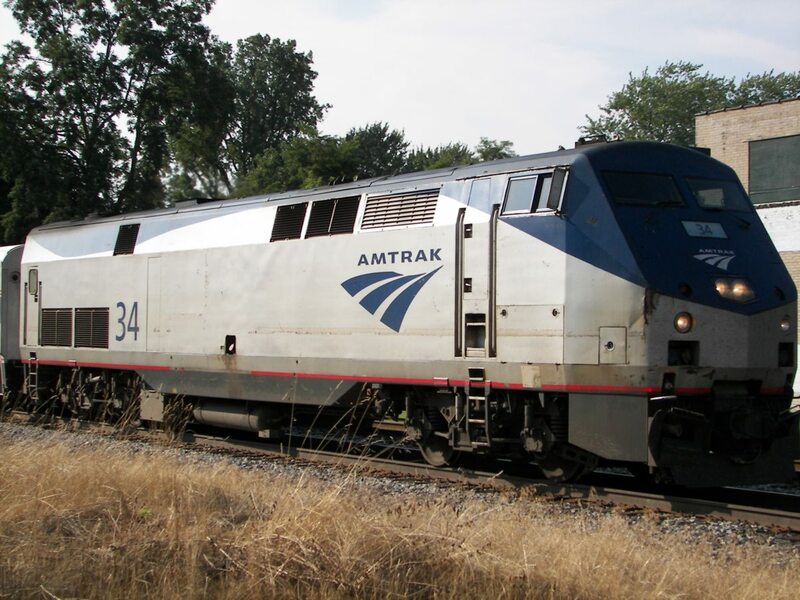 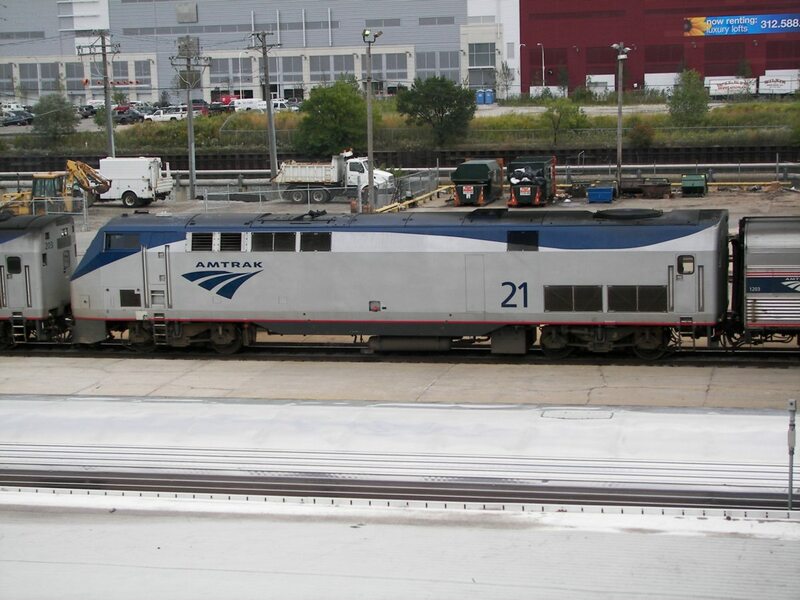 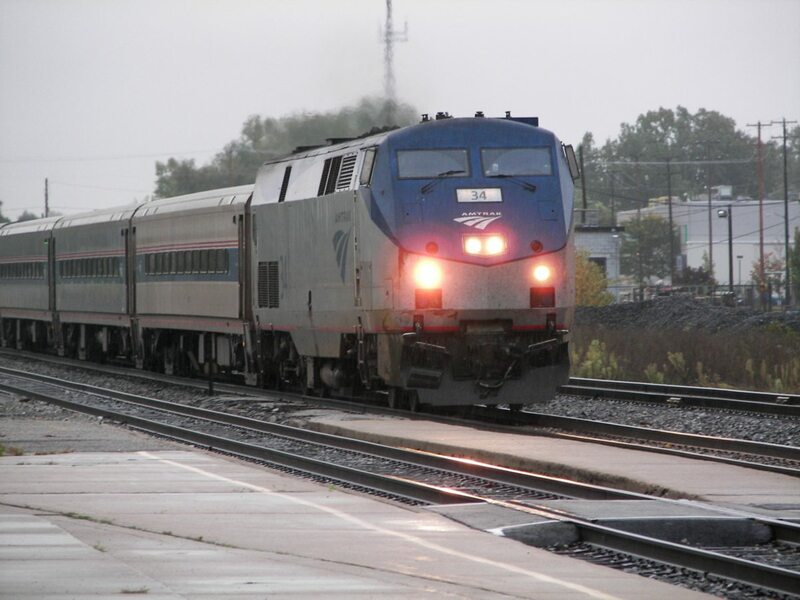 P-42 locomotives are used extensively by Amtrak and VIA. 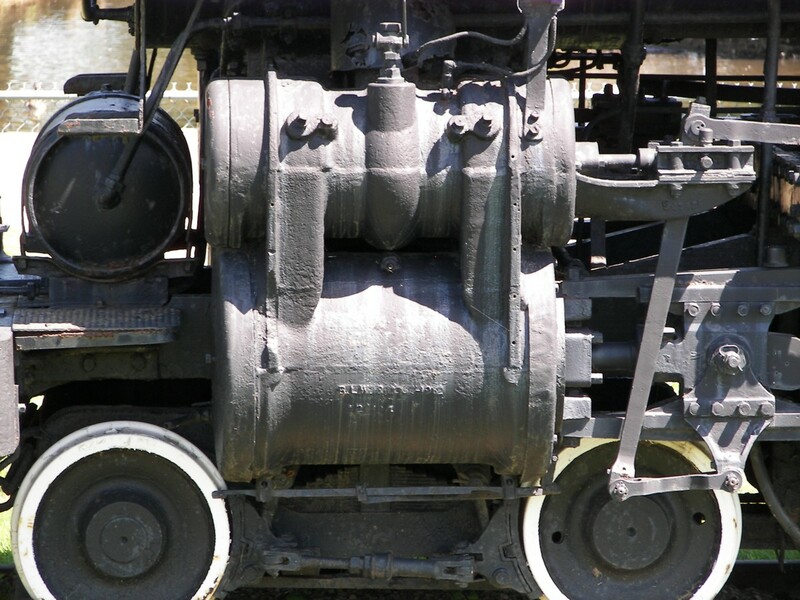 Built by General Electric, the P-42 is capable of speeds up to 110 mph. 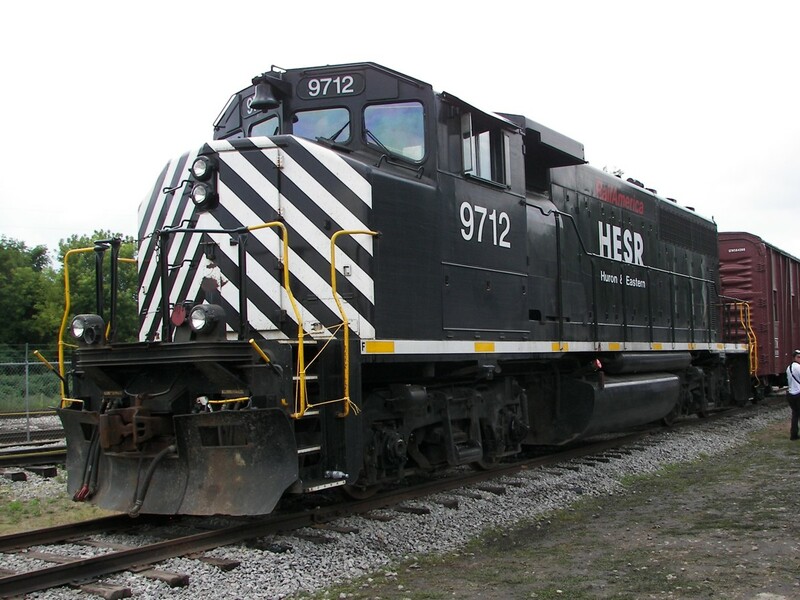 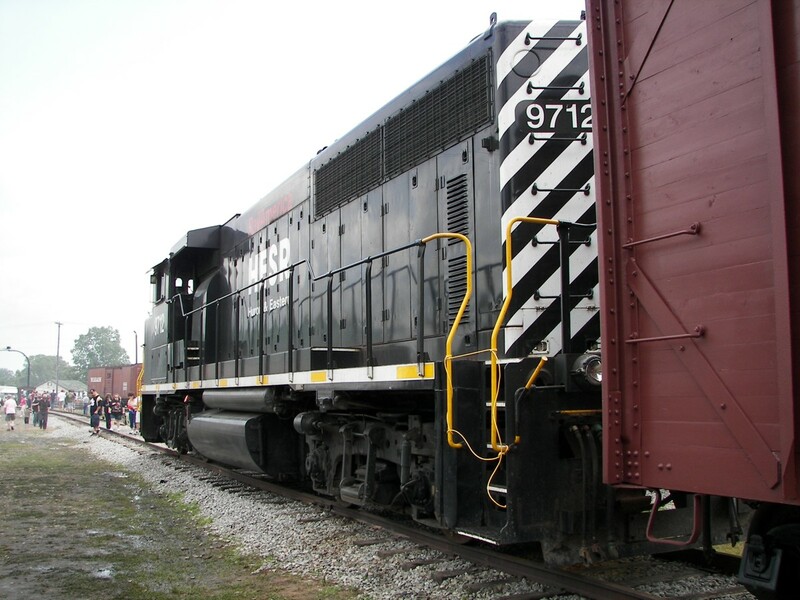 The EMD SW8 is a diesel switching locomotive manufactured by General Motors Electro-Motive Division (EMD) and General Motors Diesel (GMD). 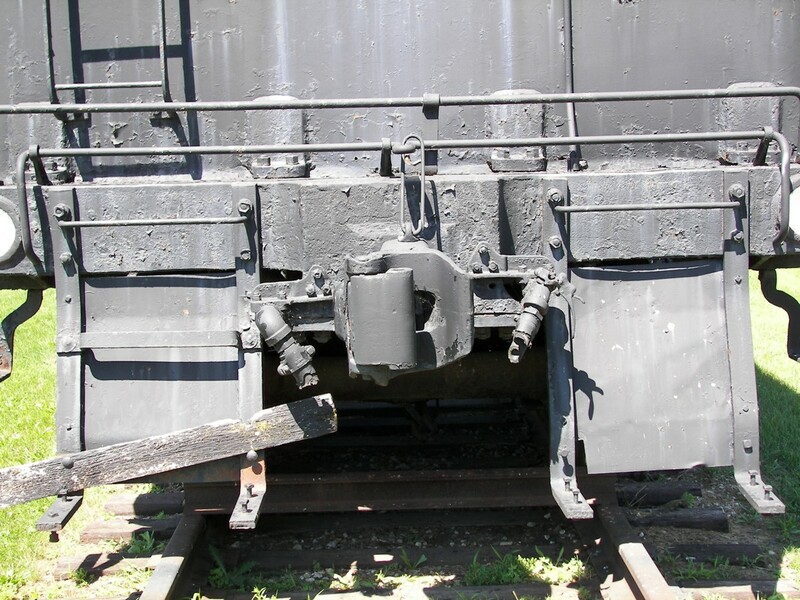 374 units were produced between 1950 and 1954. 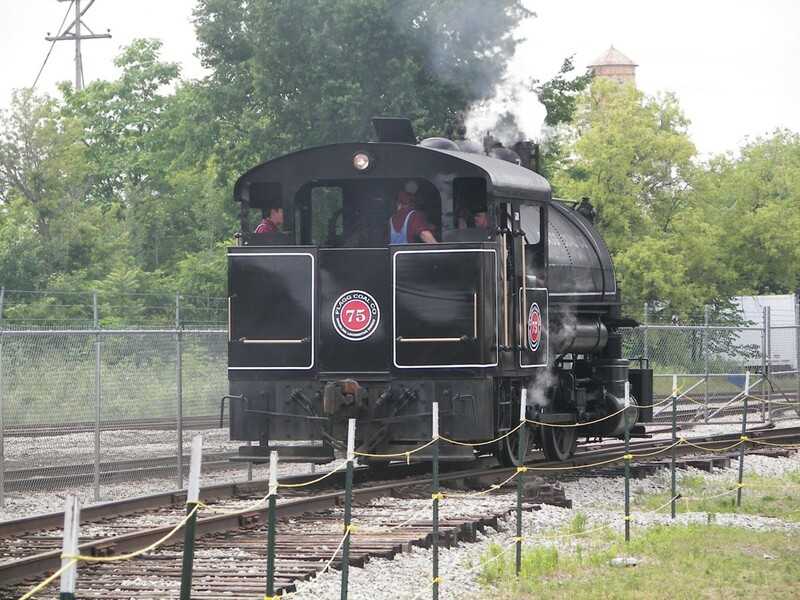 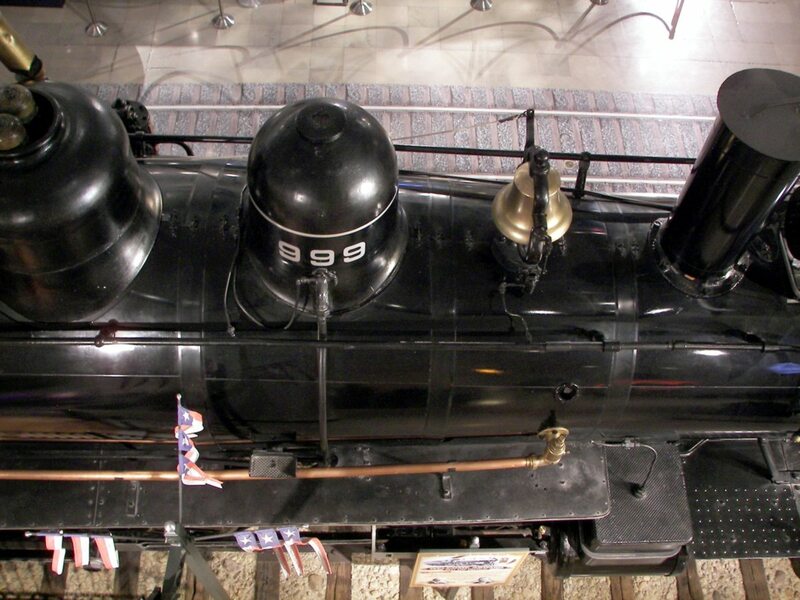 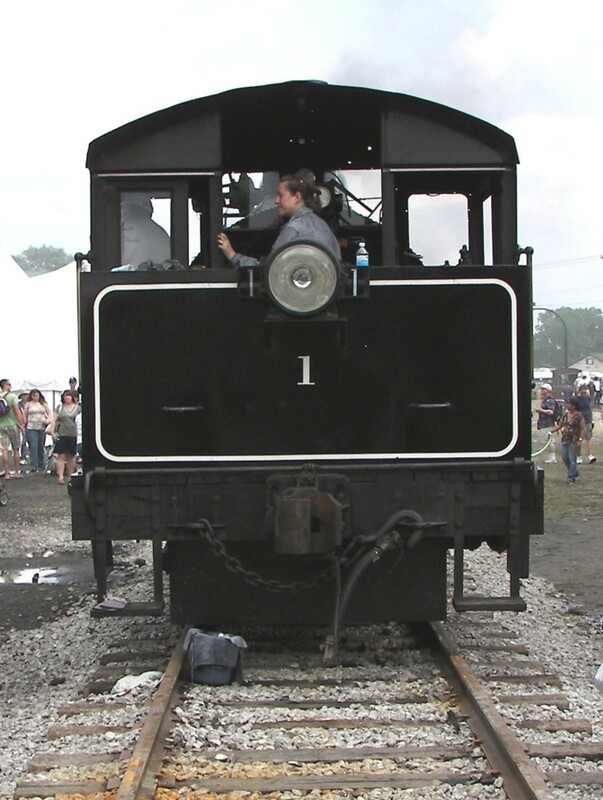 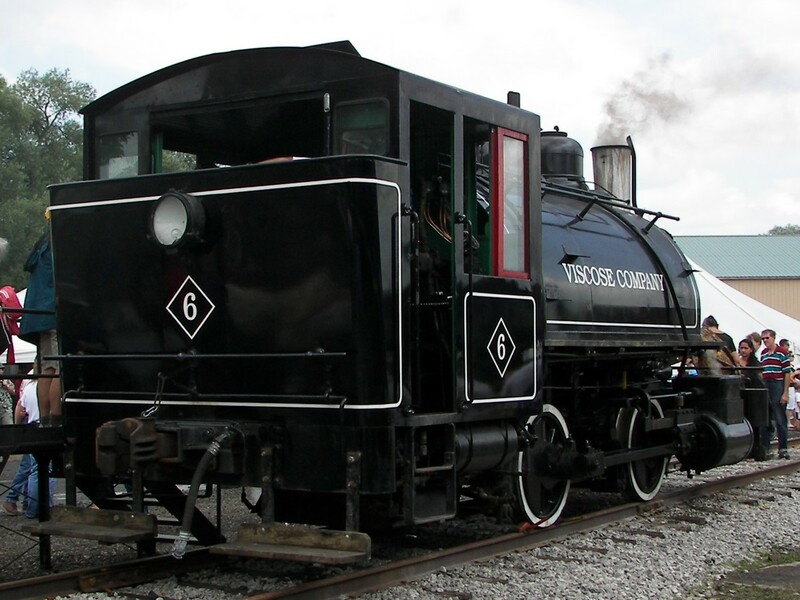 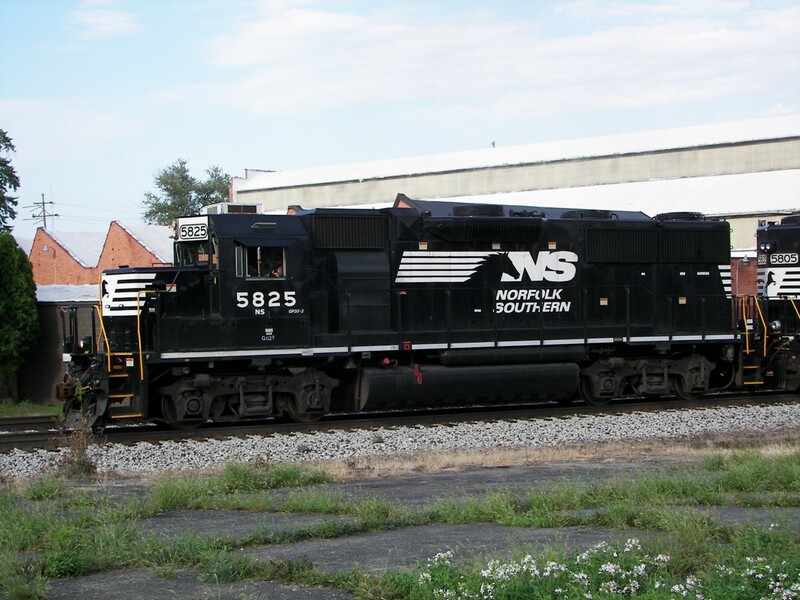 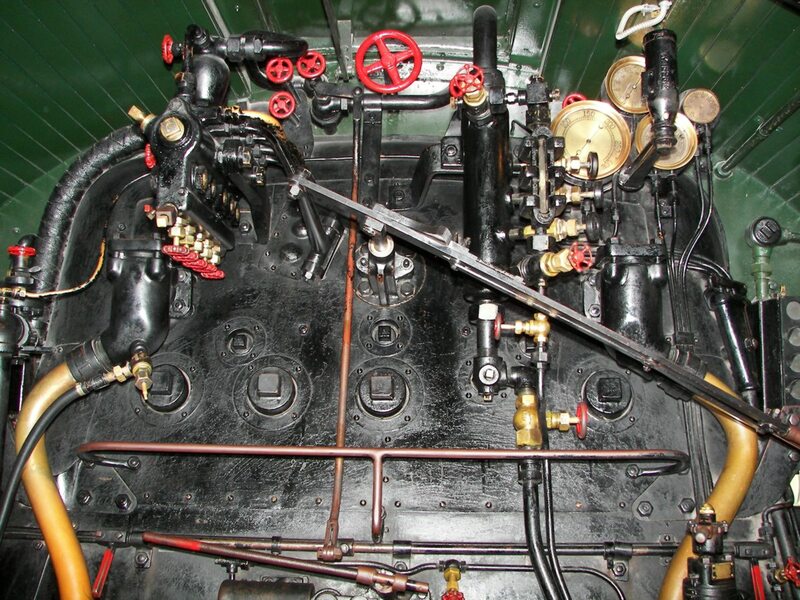 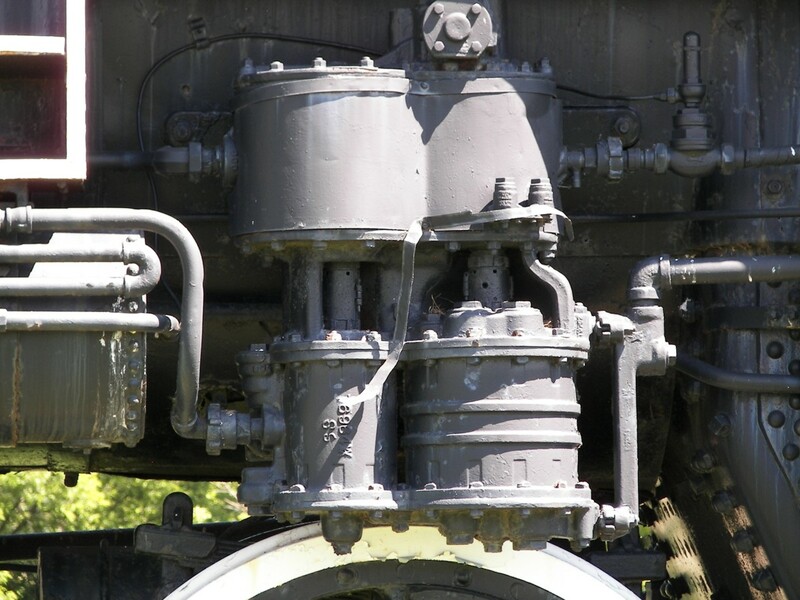 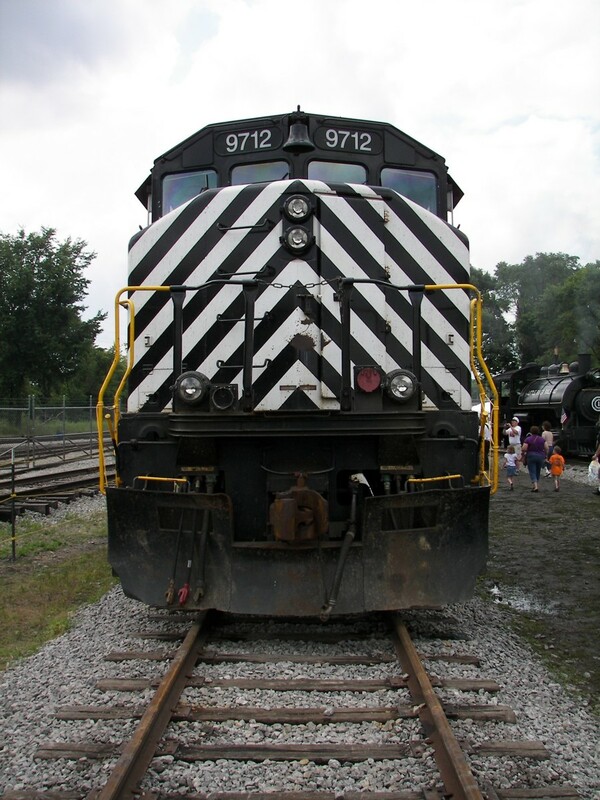 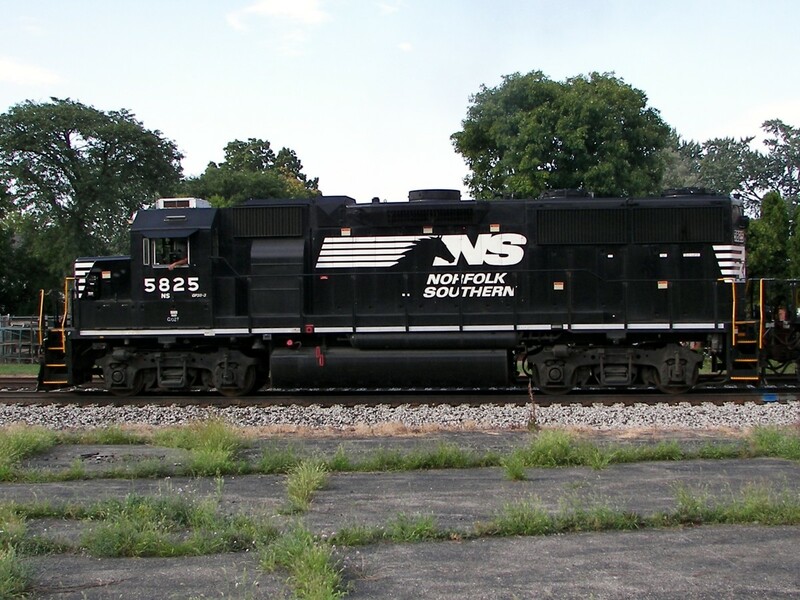 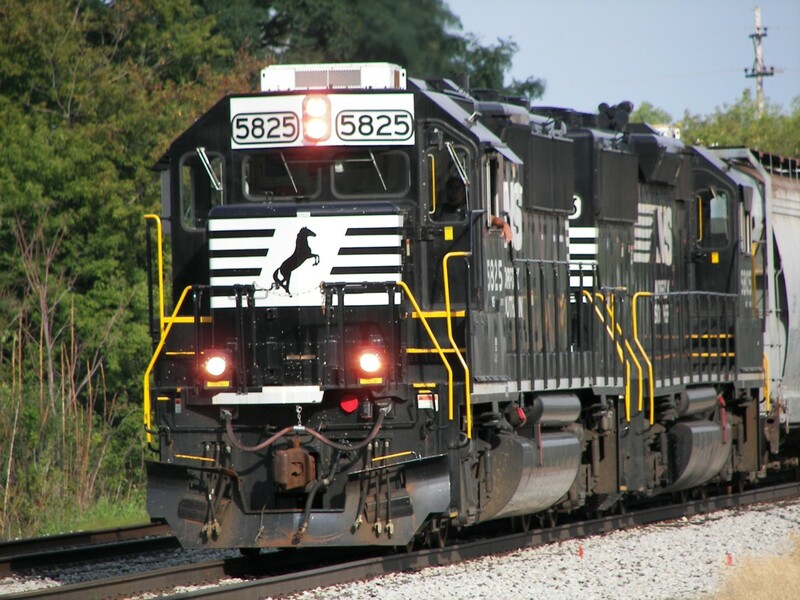 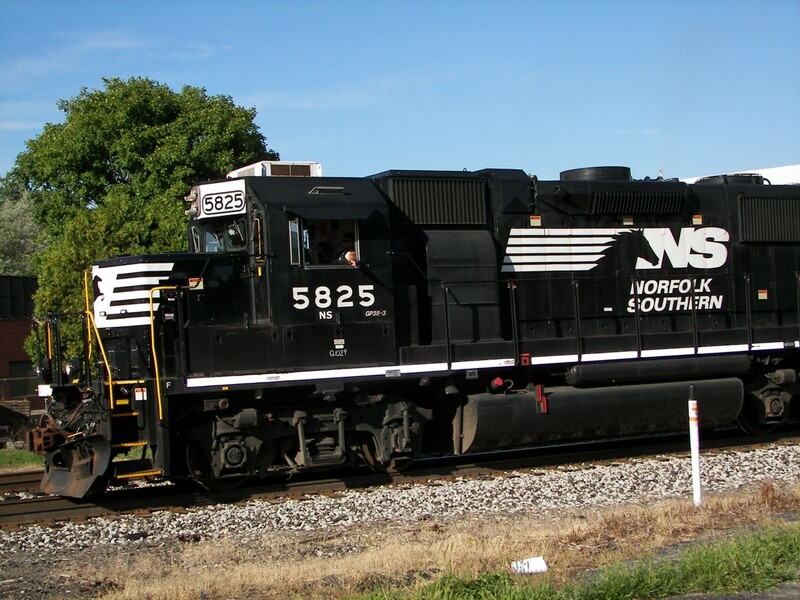 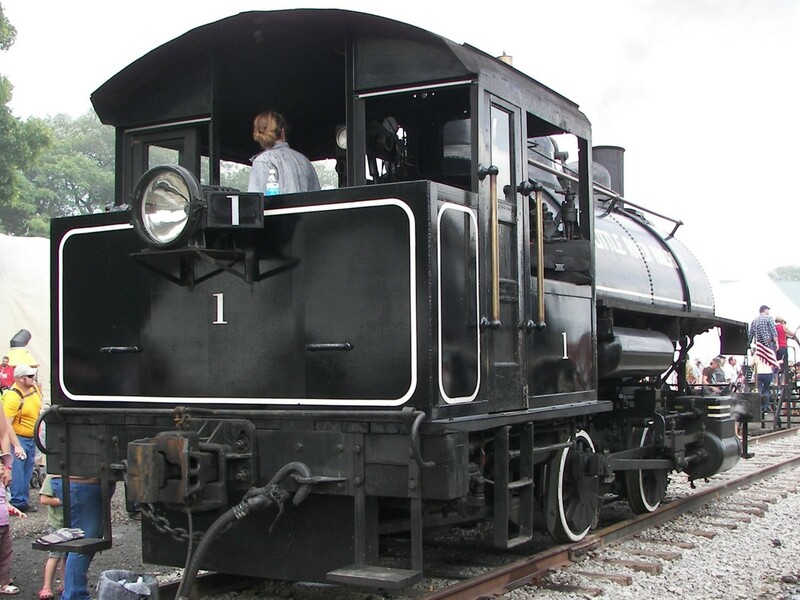 SW8 locomotives are powered by an eight cylinder diesel power-plant producing 800 horsepower. 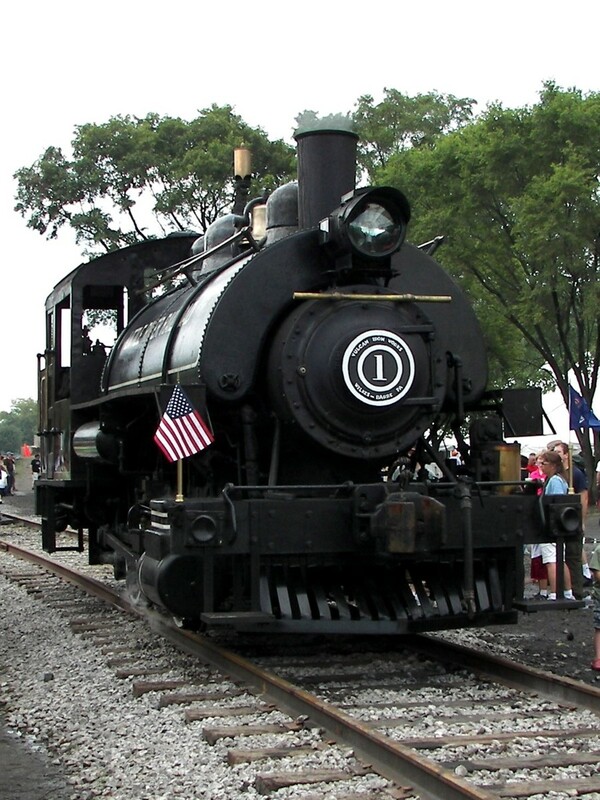 A variety of train designs available on t-shirts, sweatshirts, hats, and other products. 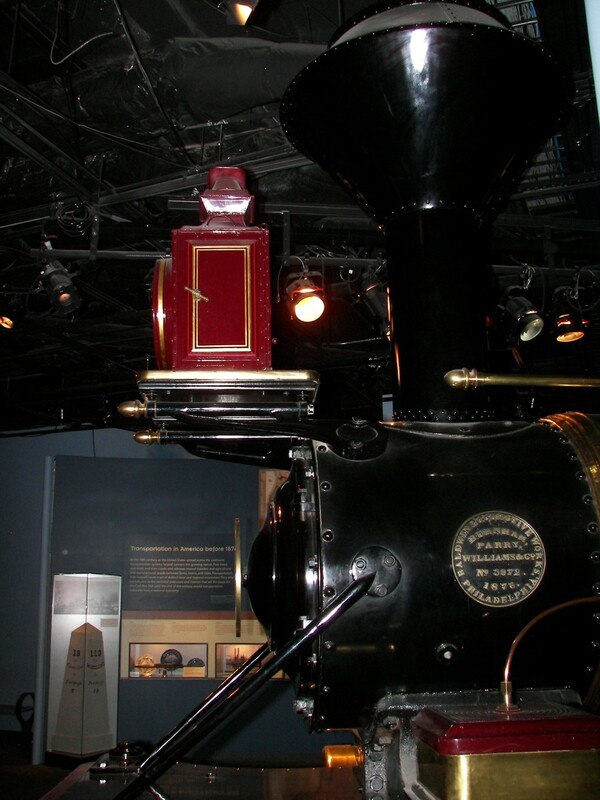 Great gift ideas for railroad workers, model railroaders, and railfans. 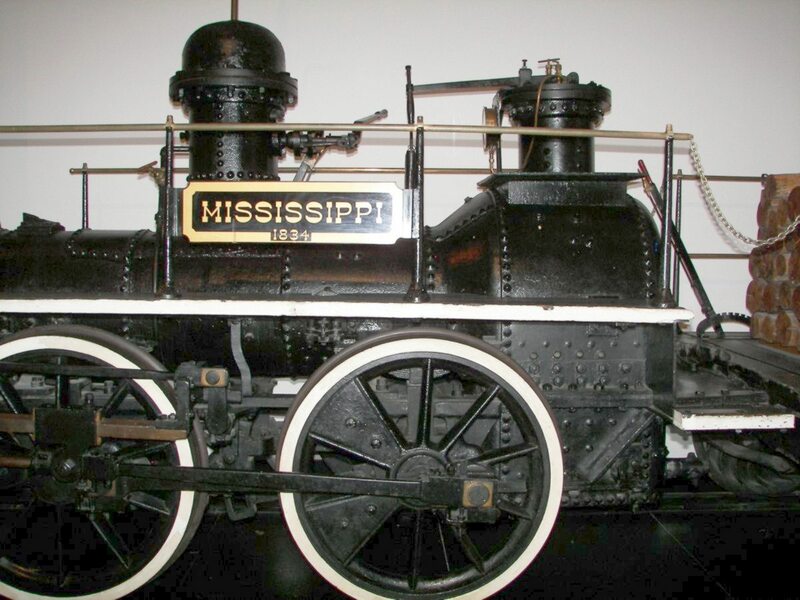 Find dozens of railroad themed gifts at History and Science T-shirts and Gifts. 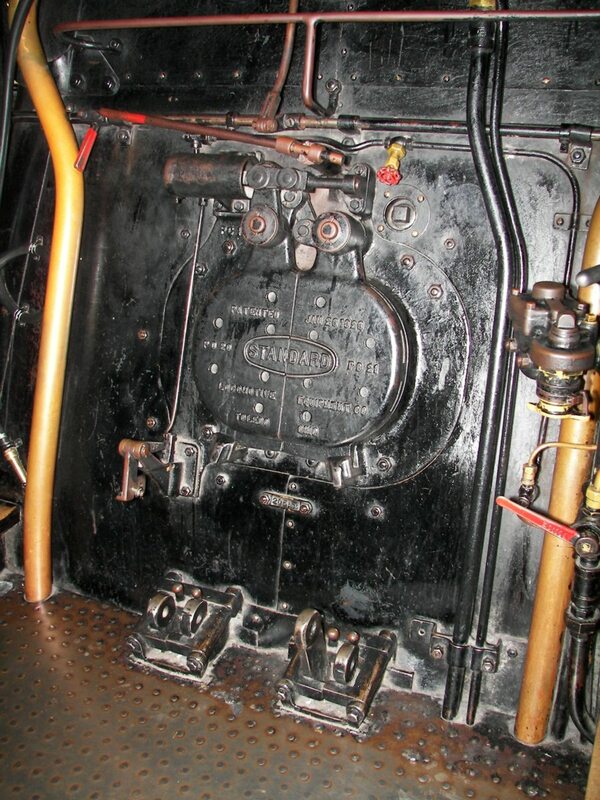 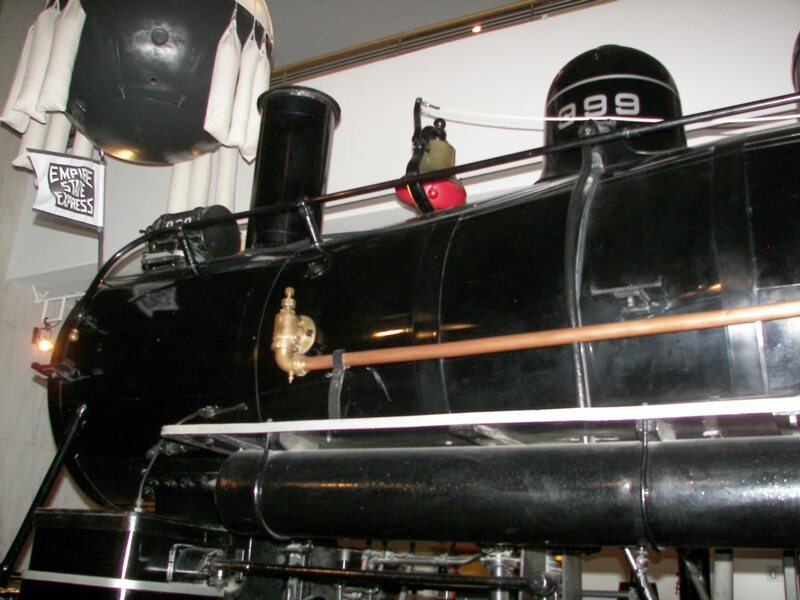 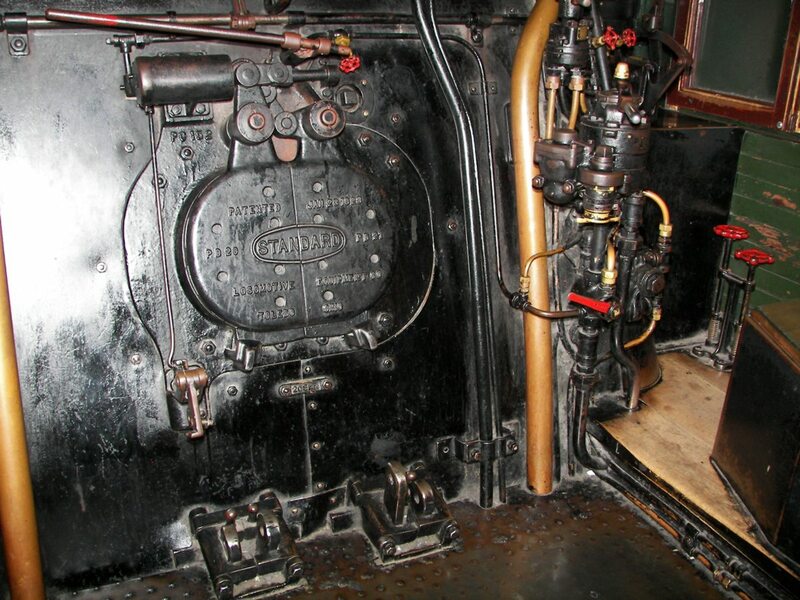 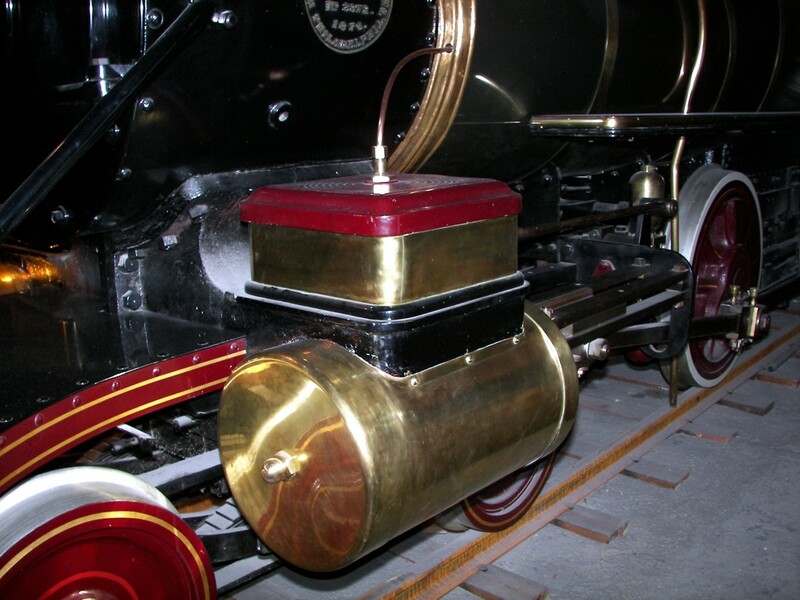 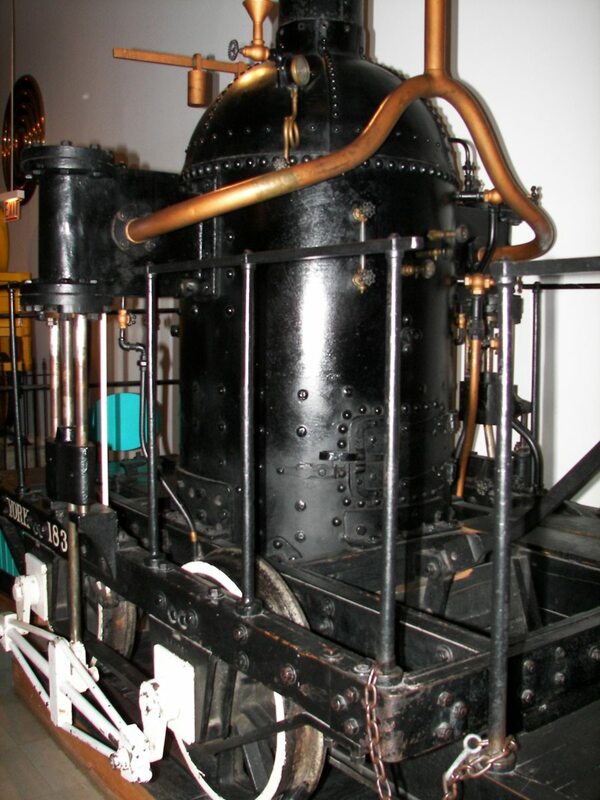 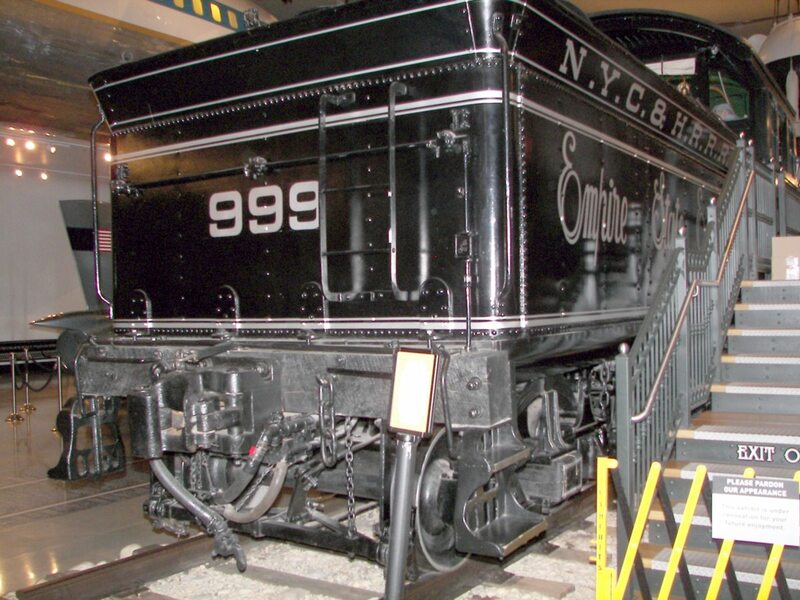 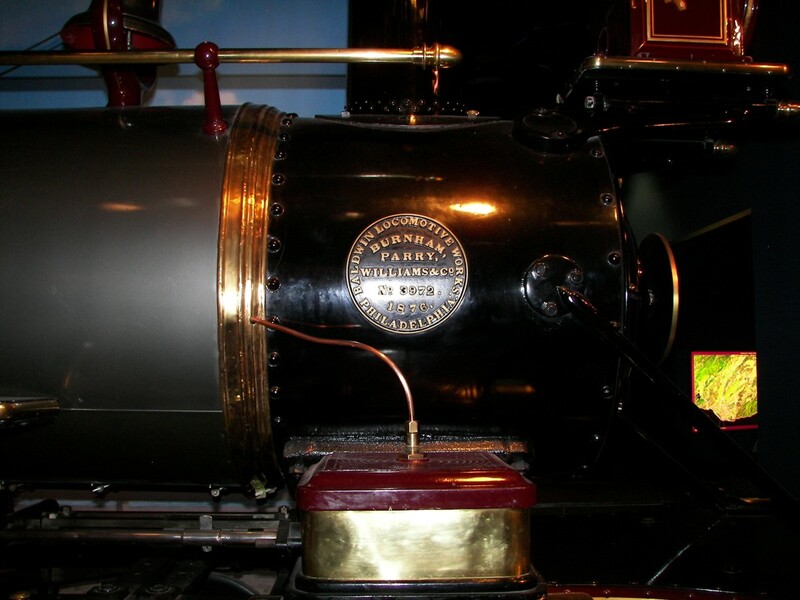 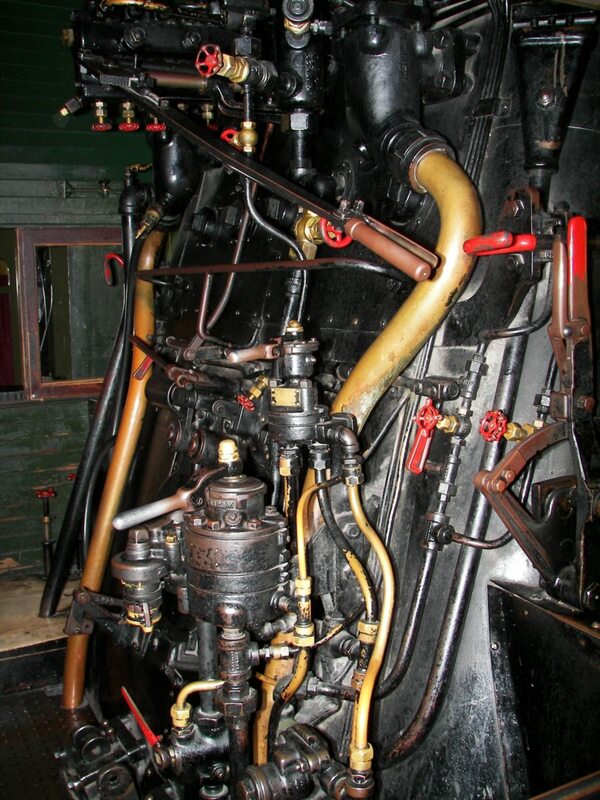 Whyte notation was developed by Frederick Whyte and is one of the most common systems for classifying steam locomotives. 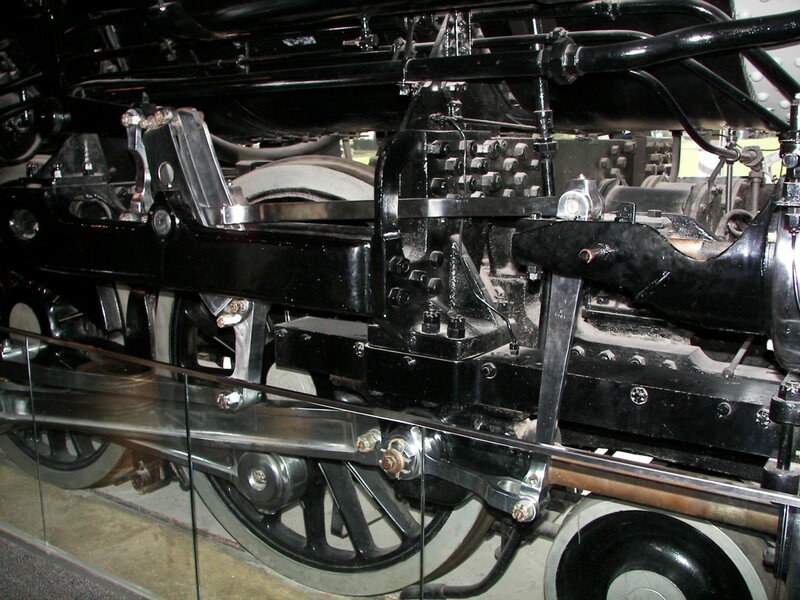 The system used a series of numbers, separated by dashes, counting the number of wheels. 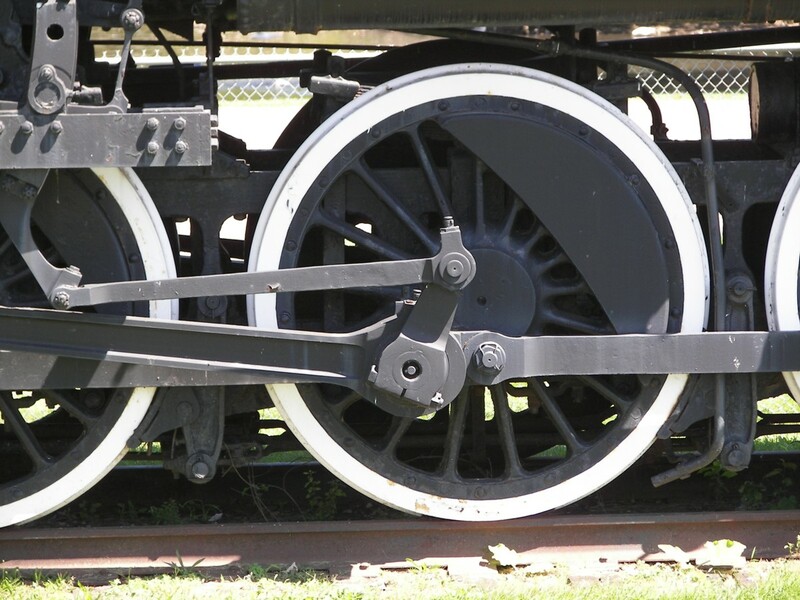 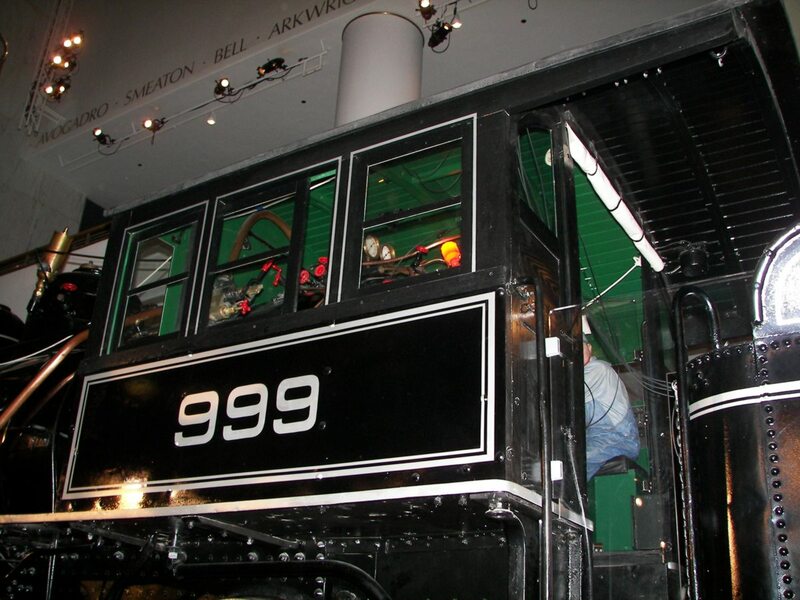 The first digit counted the number of lead wheels, the middle numbers counted coupled drive wheels, the final number counted trailing wheels.